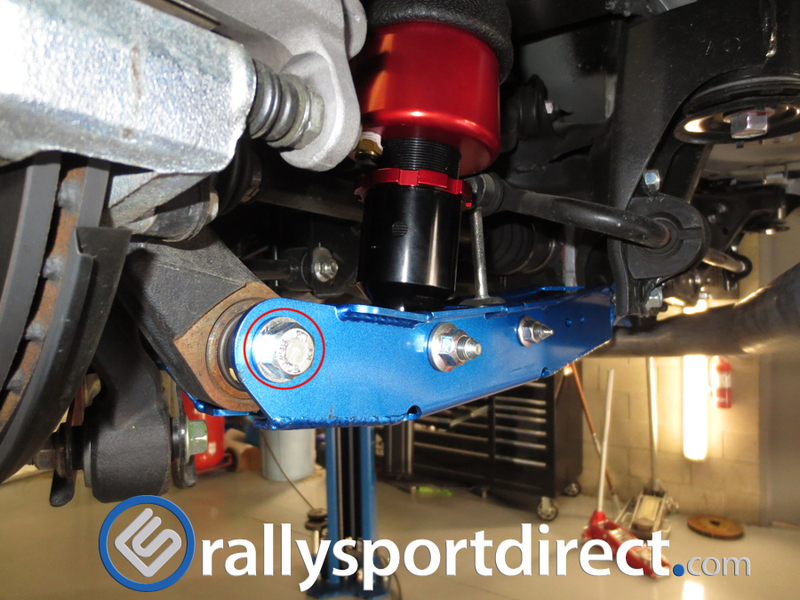 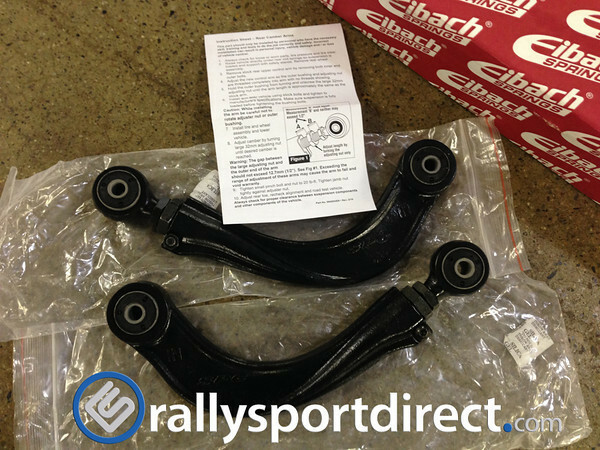 Last week I installed a set of the Eibach rear camber arms. 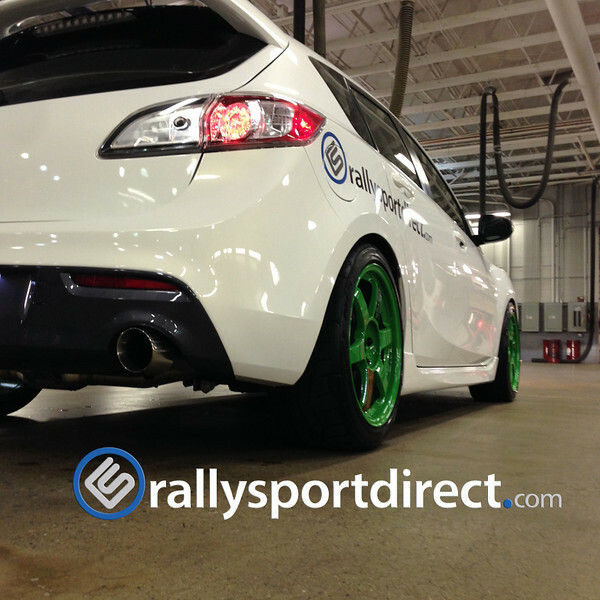 Since installing coilovers and lowering Yurtle a decent mount I’ve been running close to -2.7* of camber in the rear. 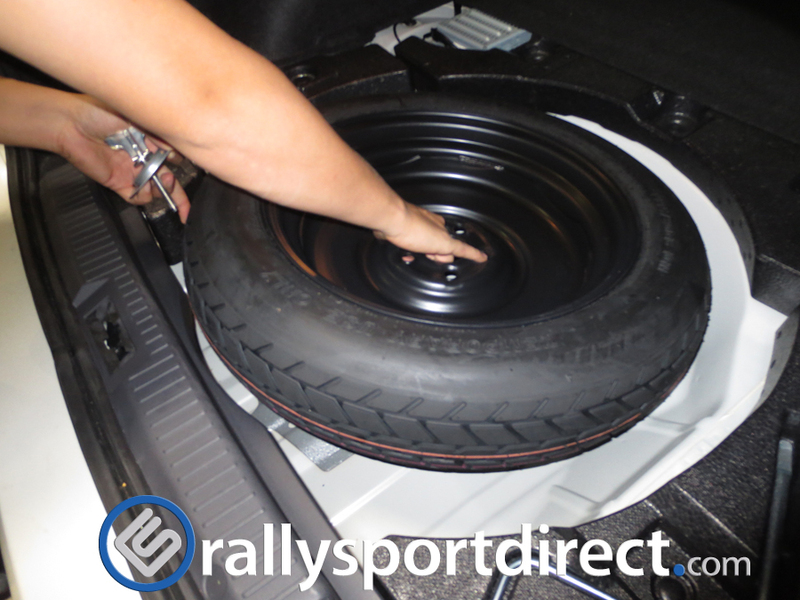 With winter coming up quick I need to switch to a winter / all-season tire and don’t want them wearing unevenly. 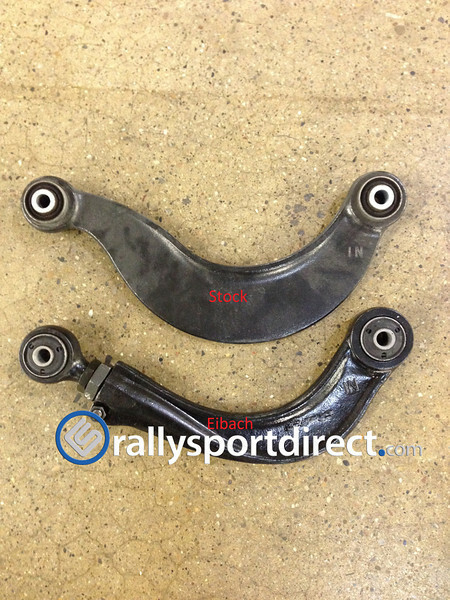 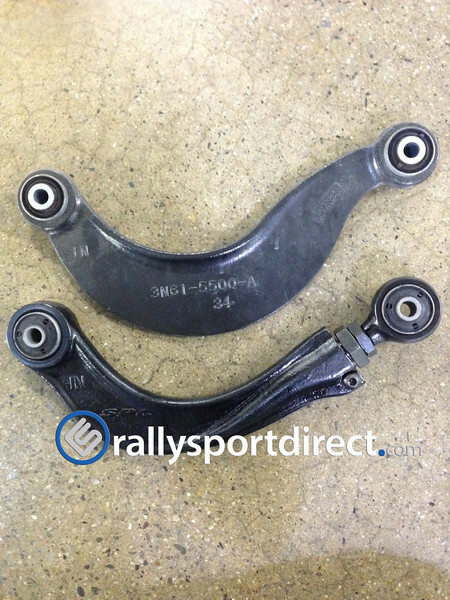 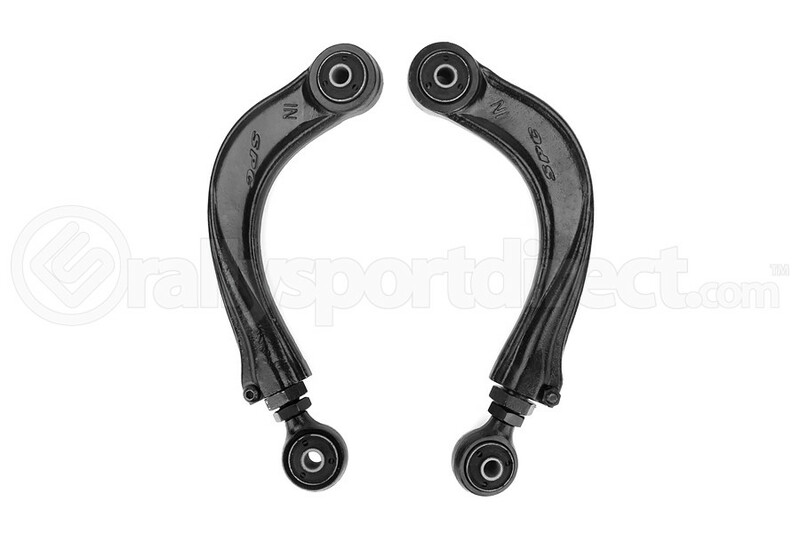 The factory rear upper arms are nice units but they do not have any adjustment so to be able to correct the alignment these Eibach arms were exactly what I needed with their adjustment range of up to +5* to -1.5*. 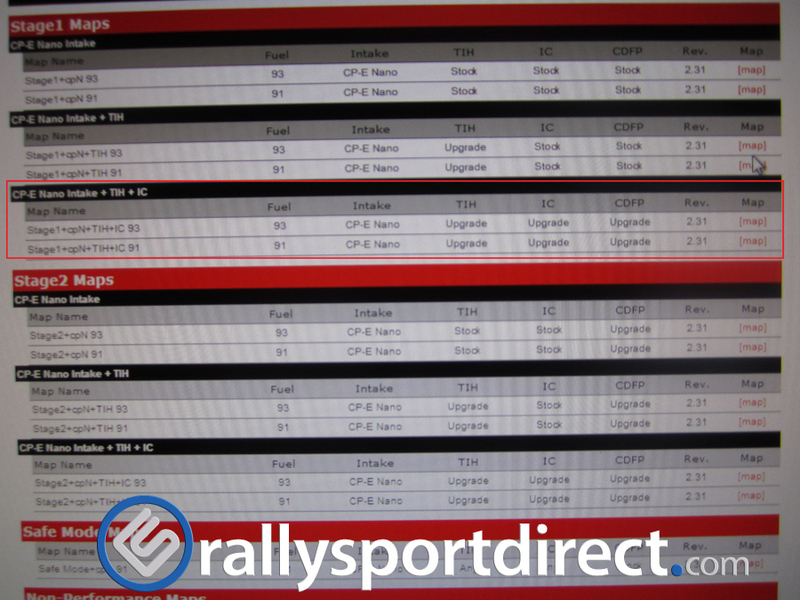 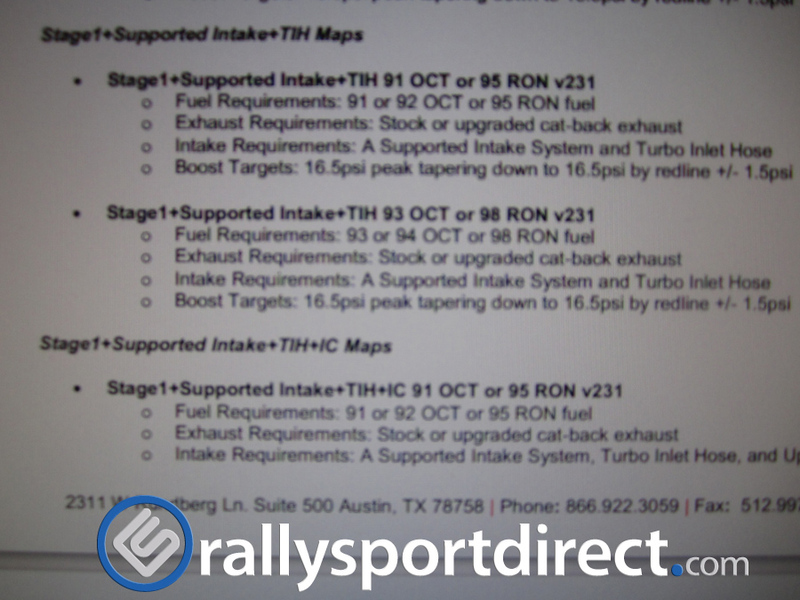 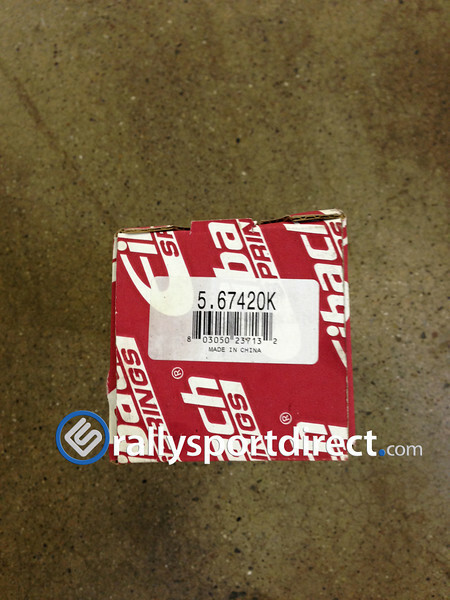 Lets take a look at what Eibach includes. 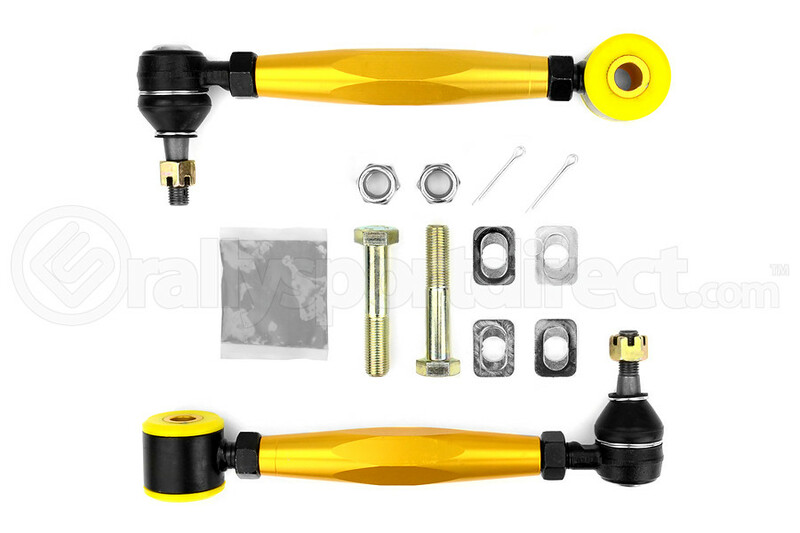 Let’s get to work! 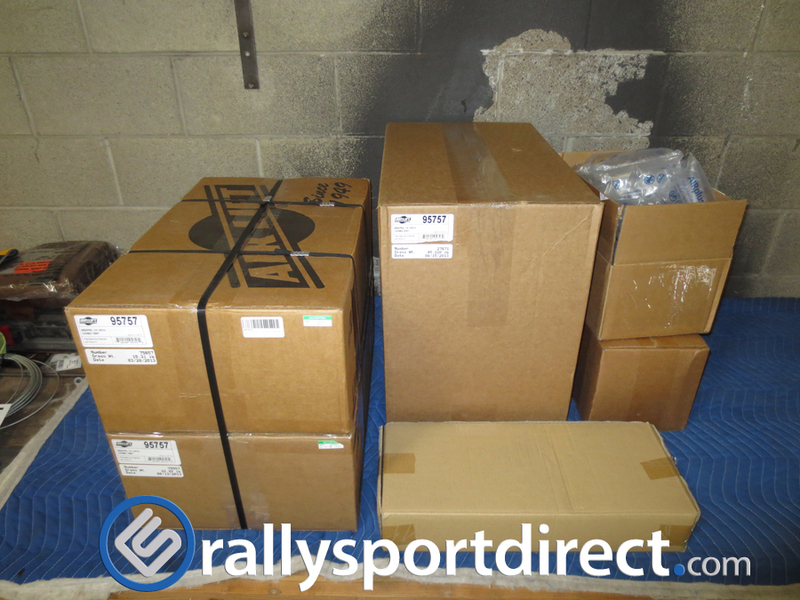 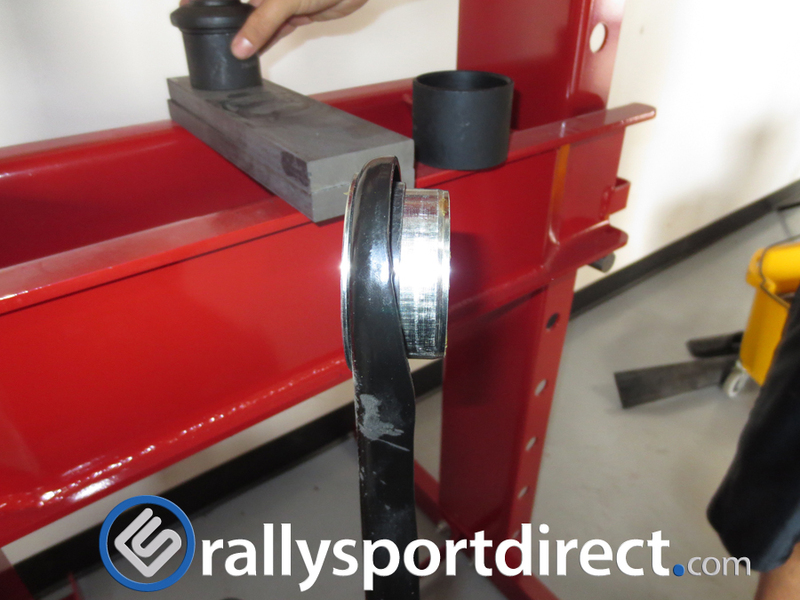 You’ll want to get your car either on a lift or on jack stands before you start on this project. 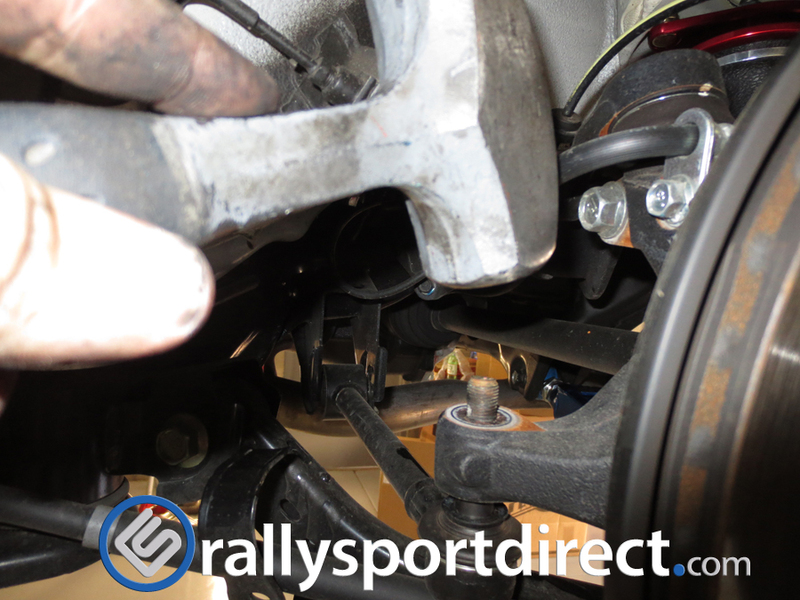 Now that it’s in the air, we can pull both rear wheels off to reach all the necessary bolts. 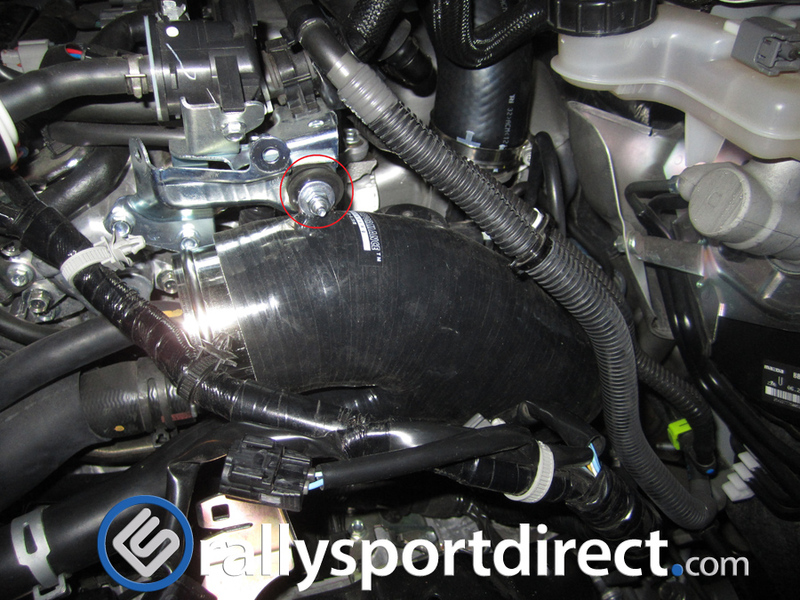 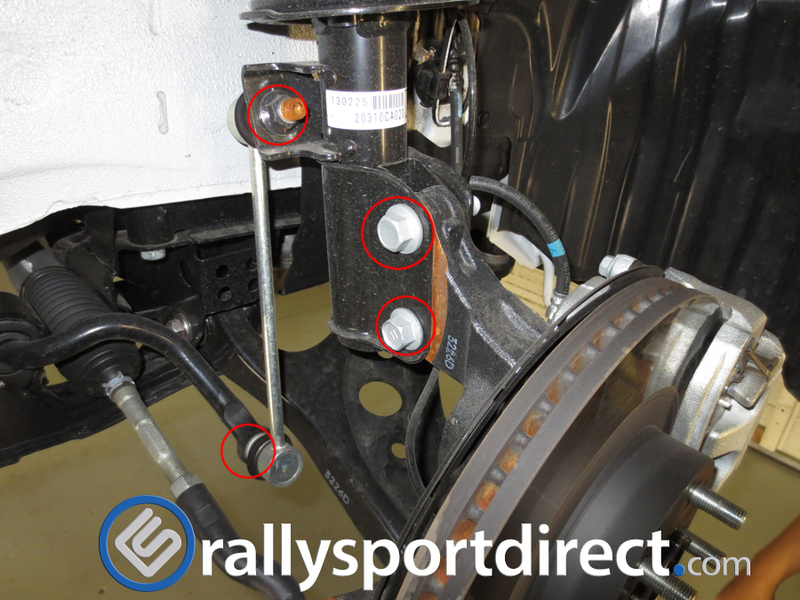 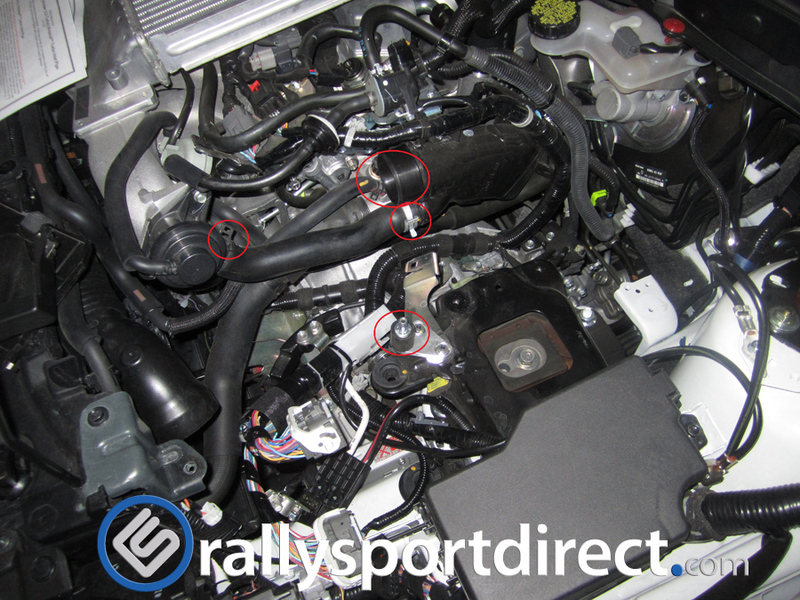 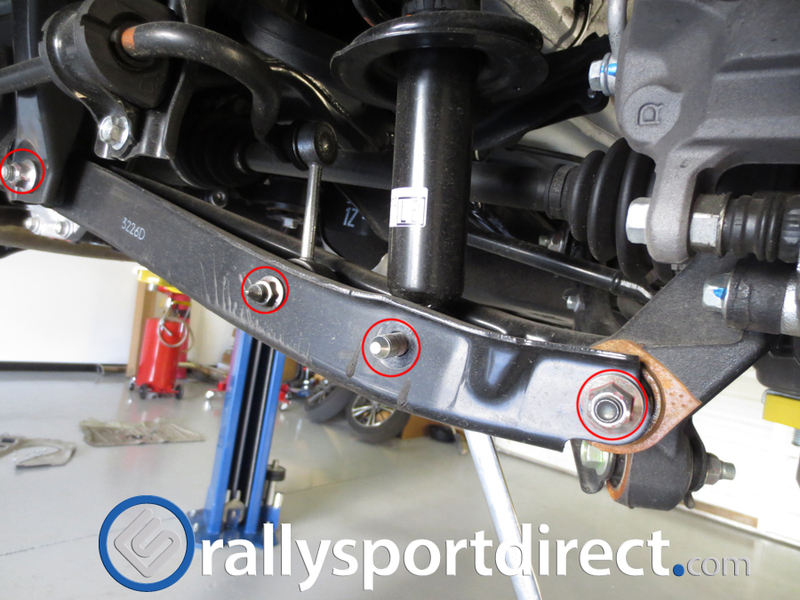 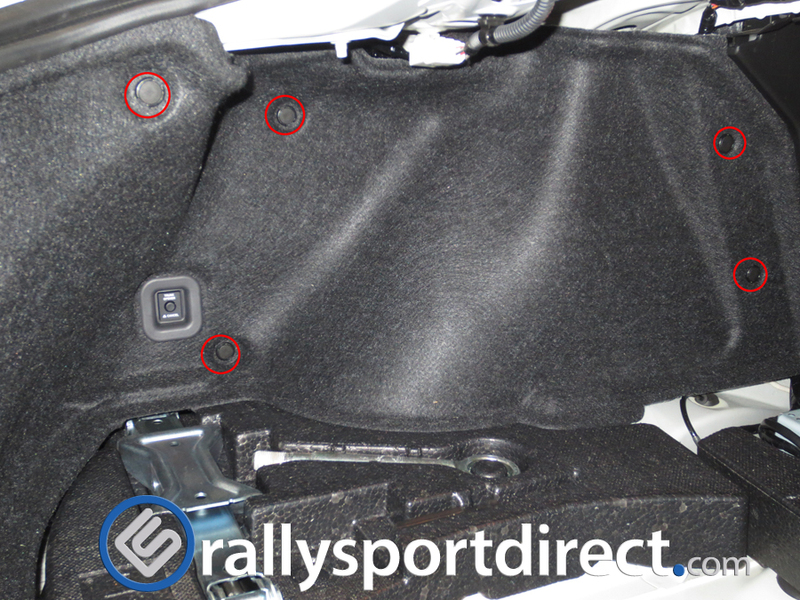 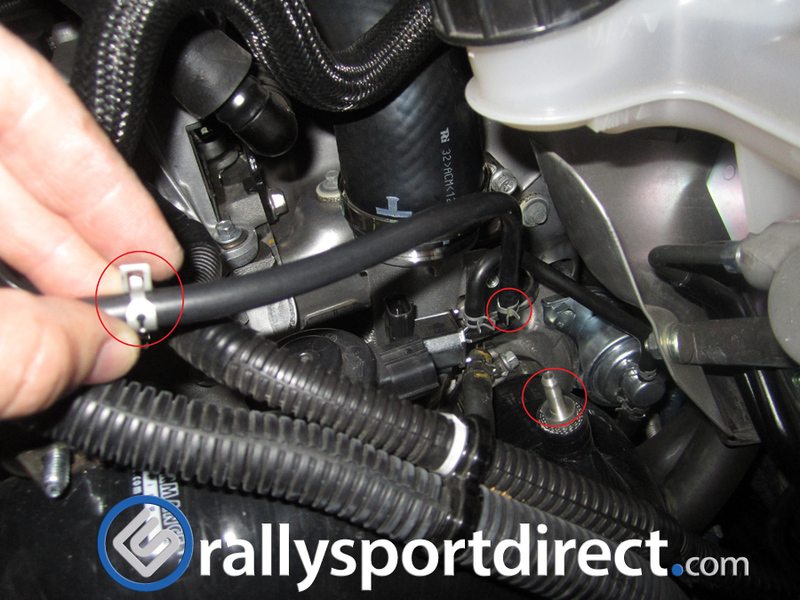 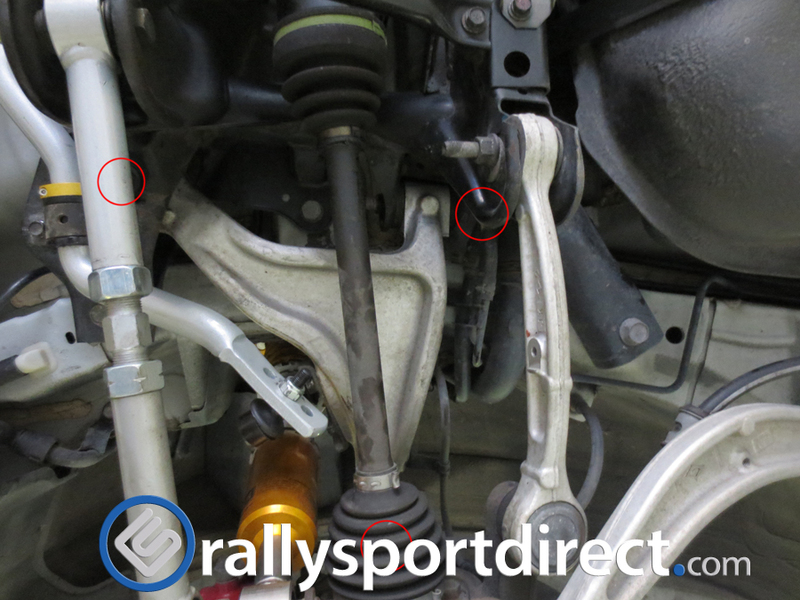 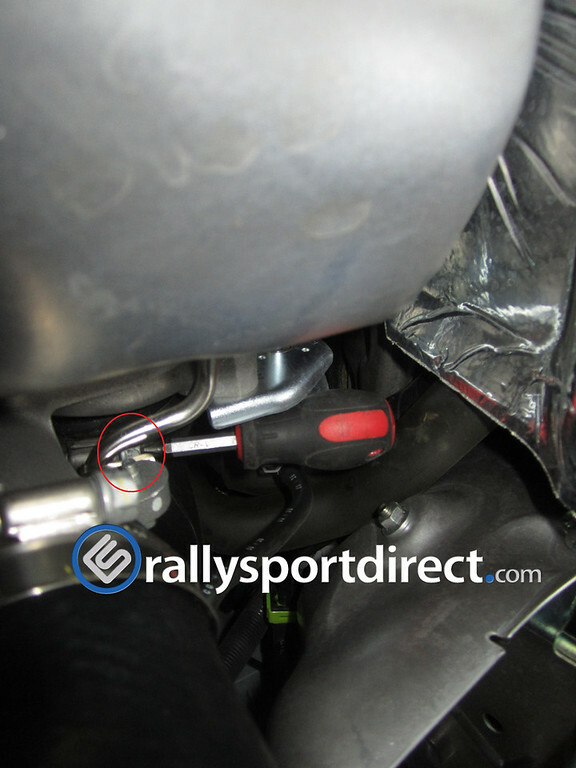 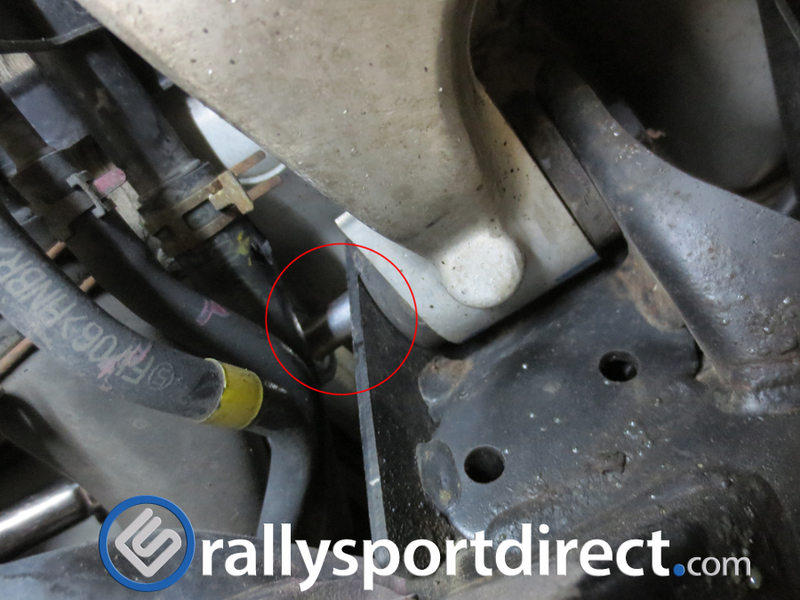 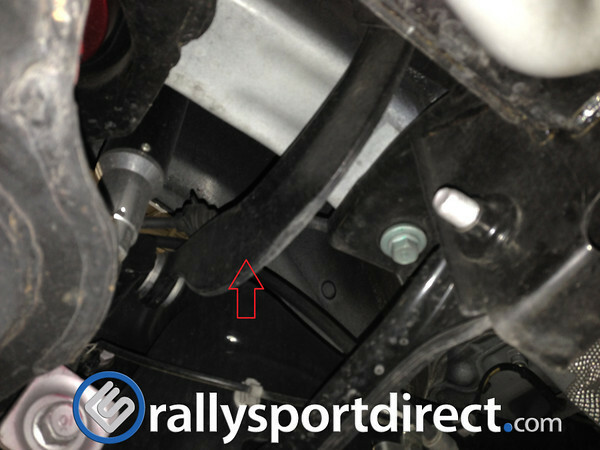 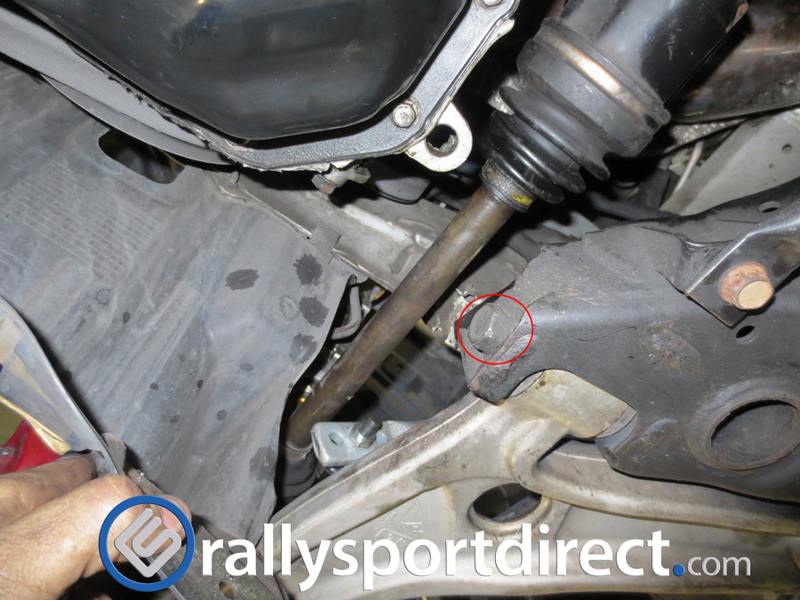 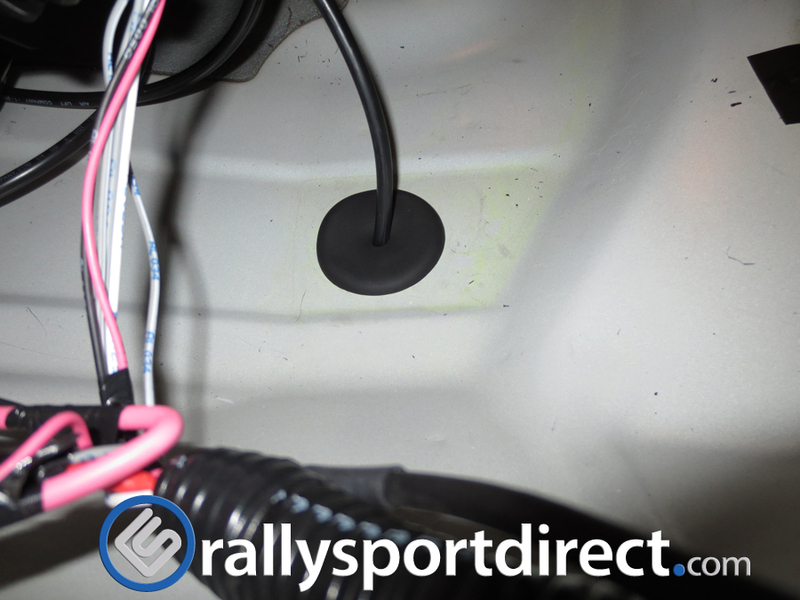 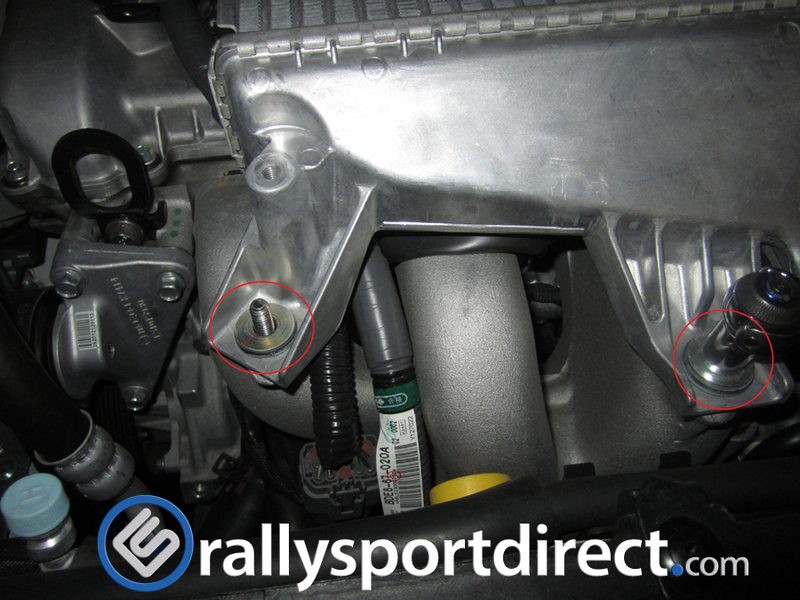 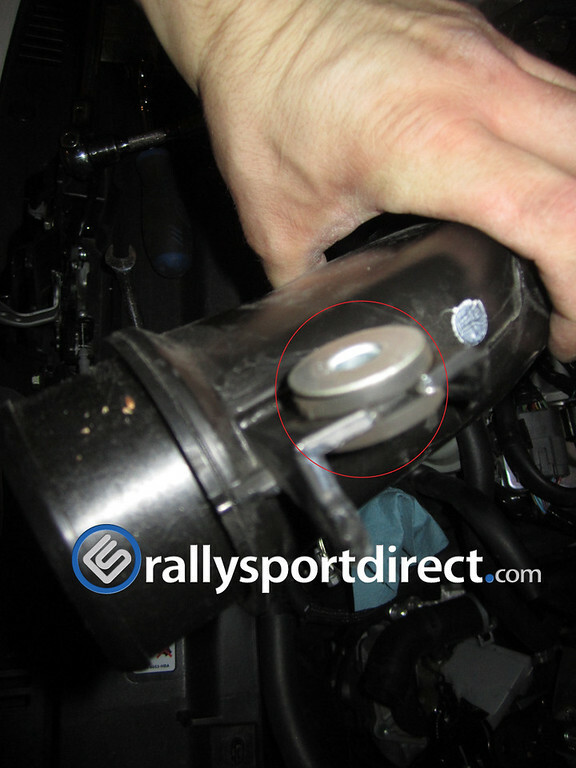 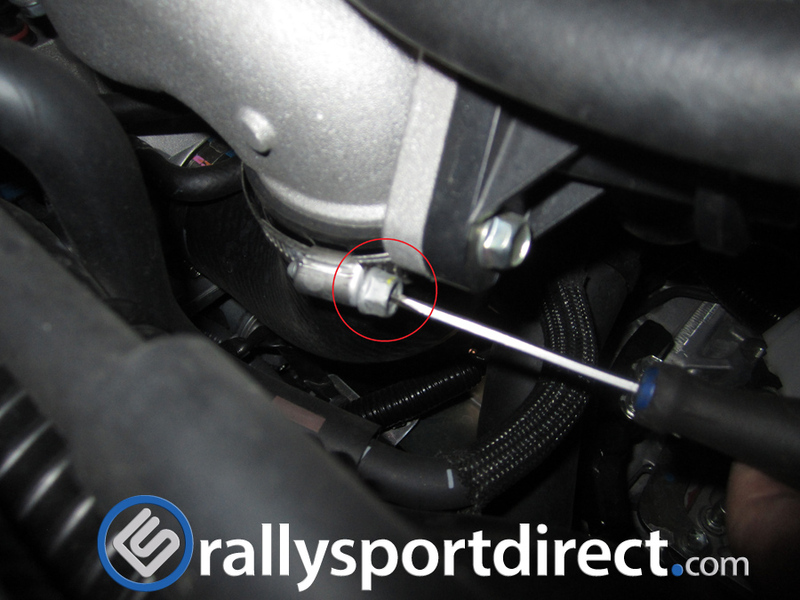 Starting on the drivers side the arrow in the picture below is pointing at the stock upper arm and the circled bolt is the first 17mm you will need to remove. 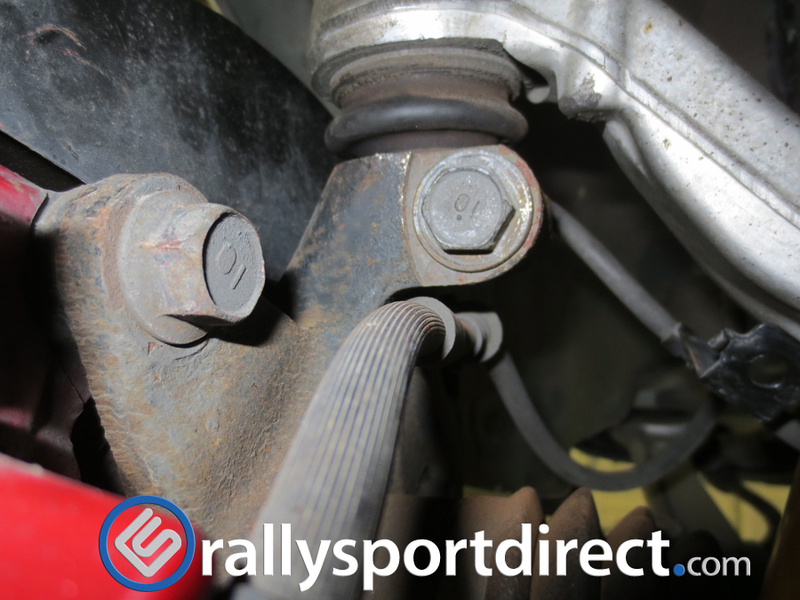 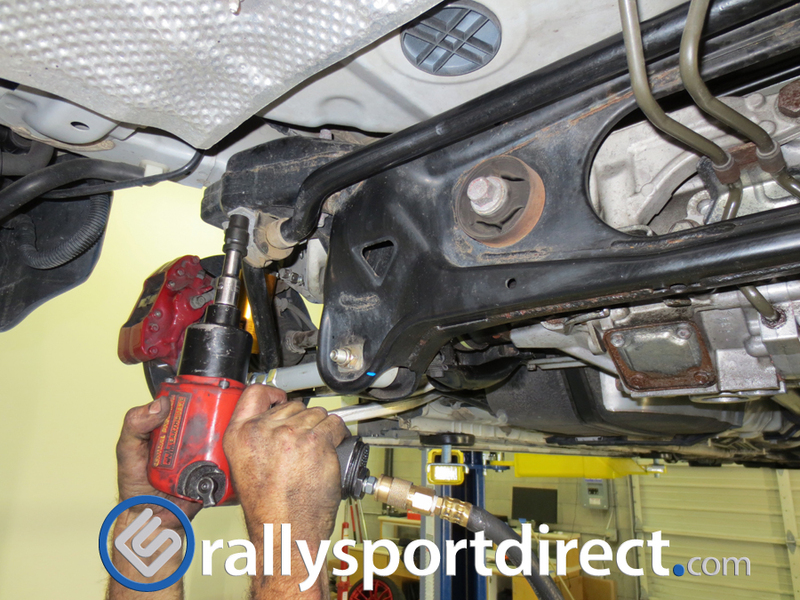 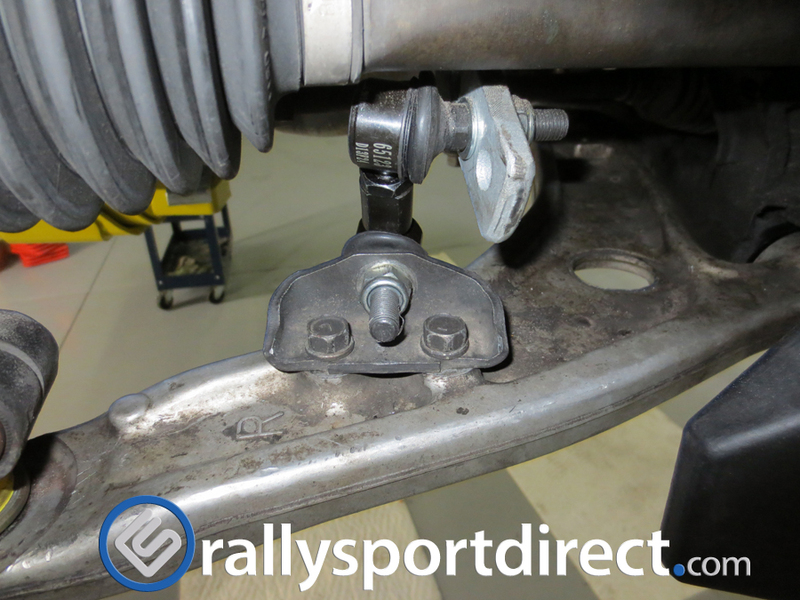 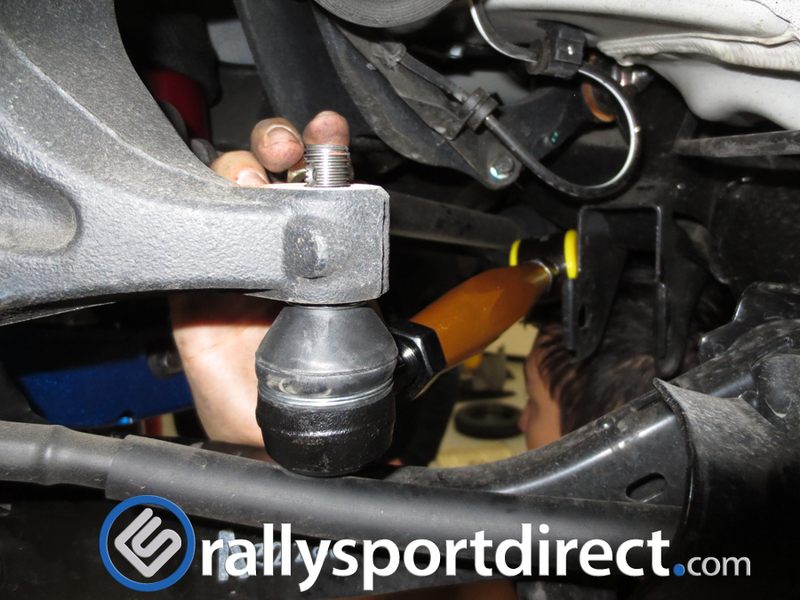 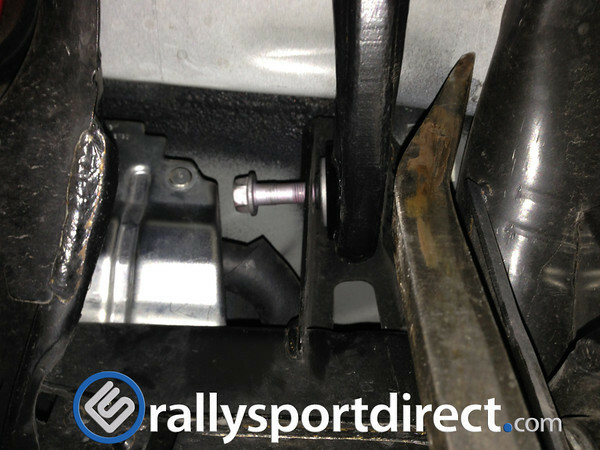 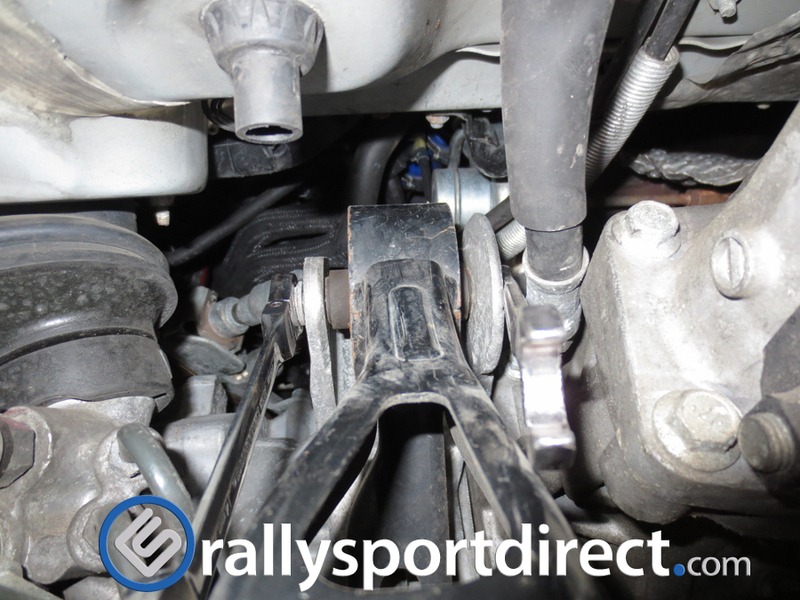 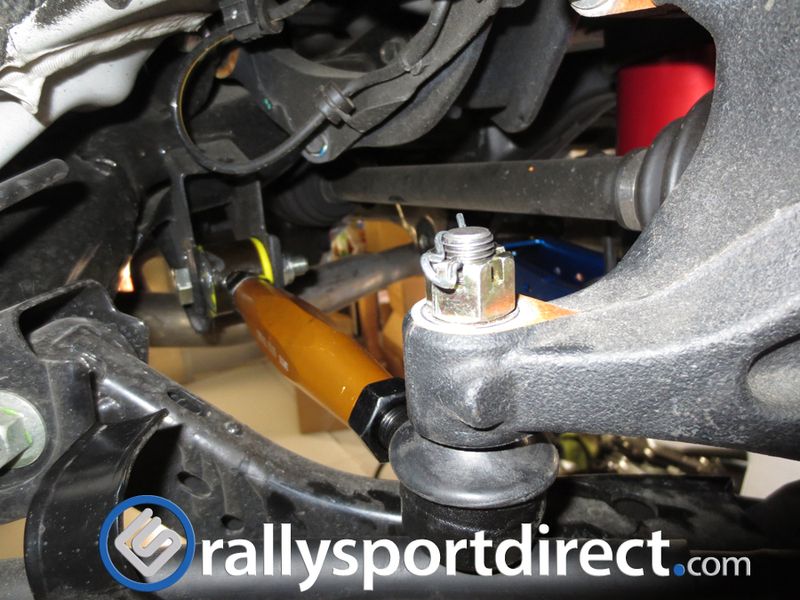 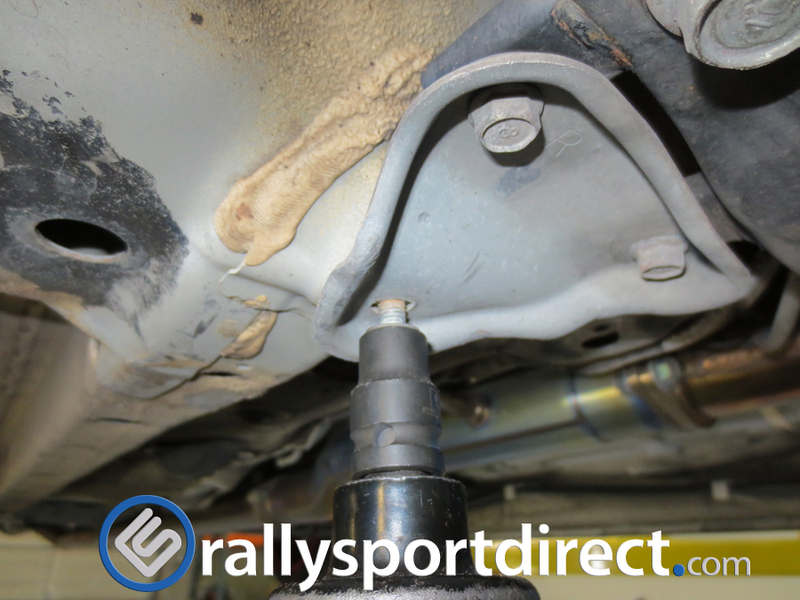 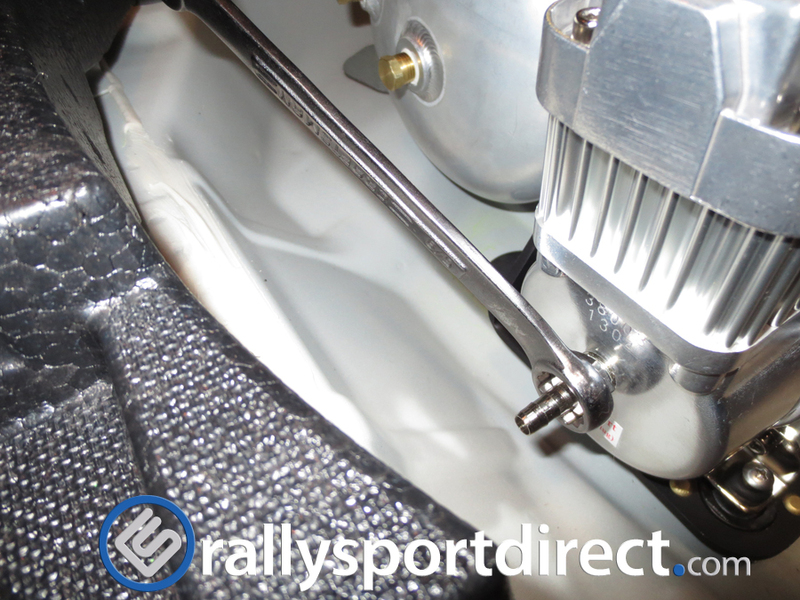 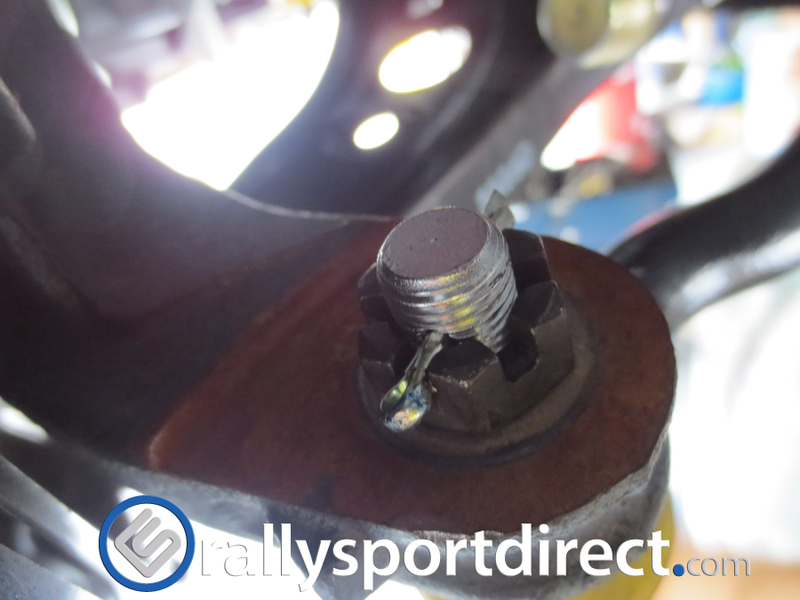 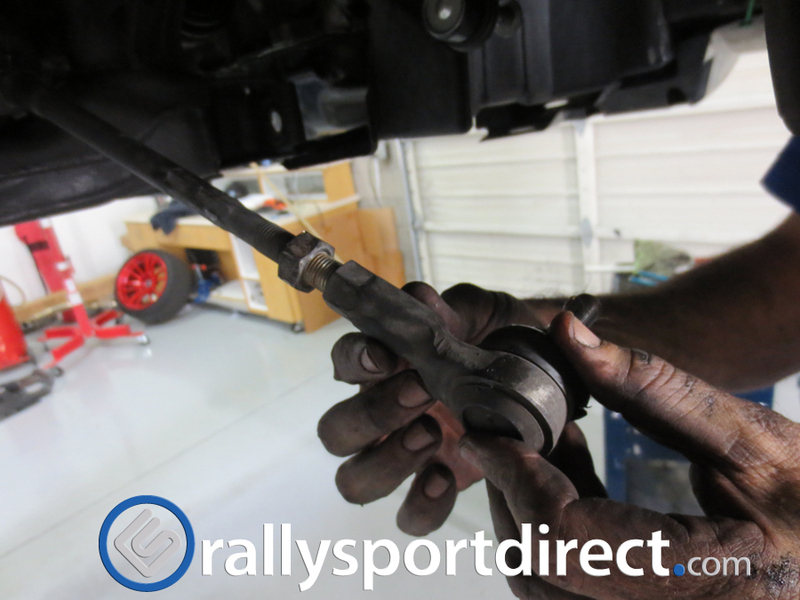 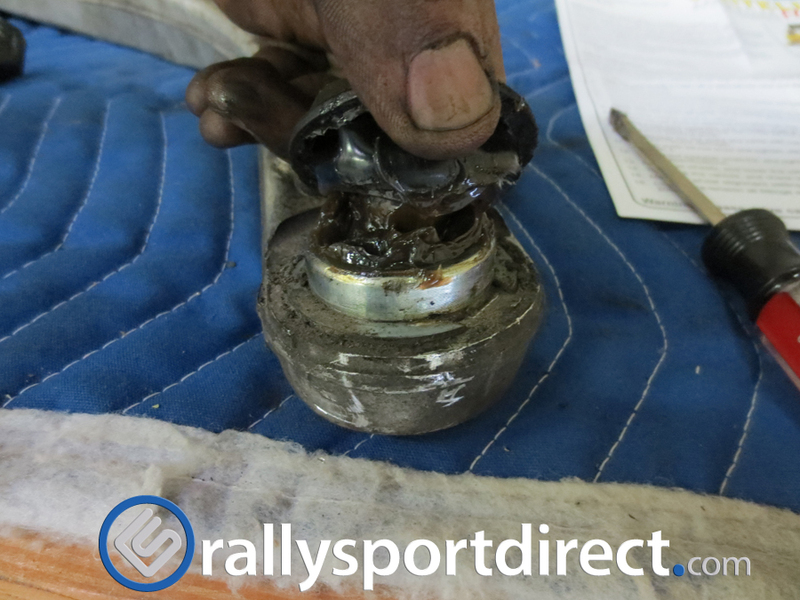 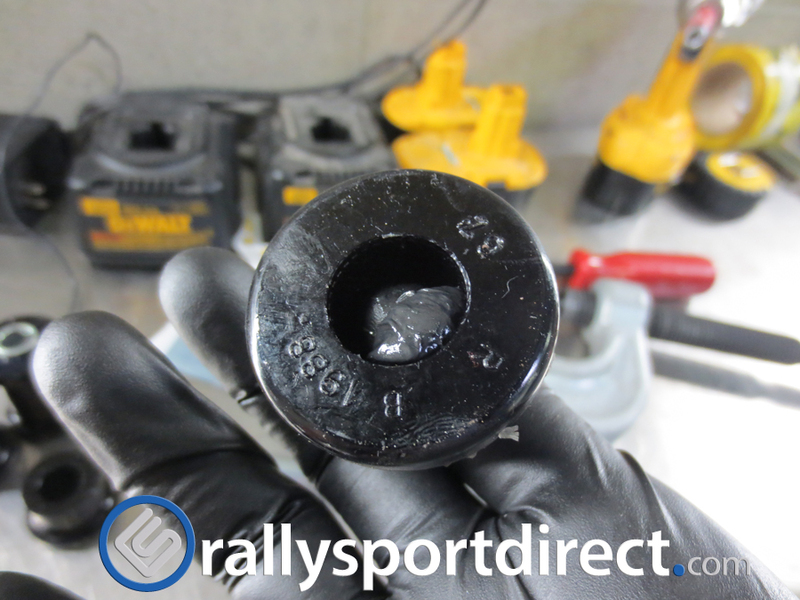 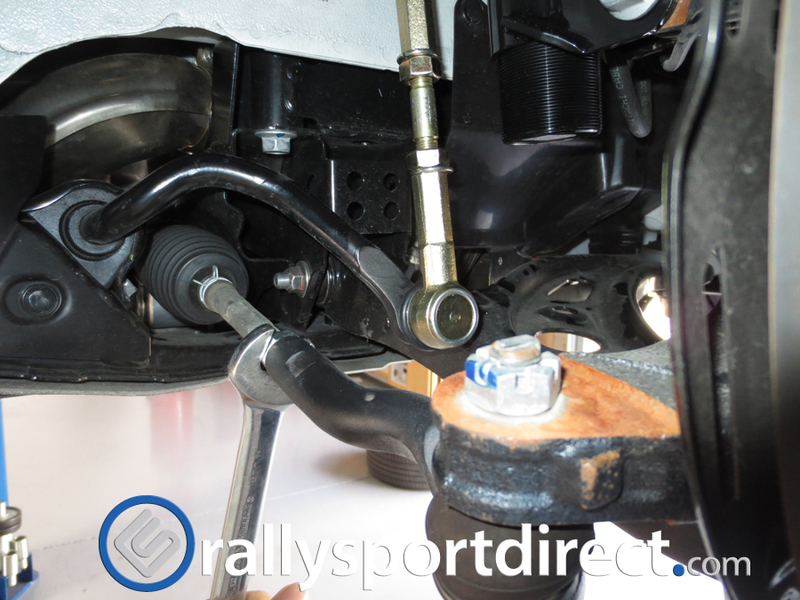 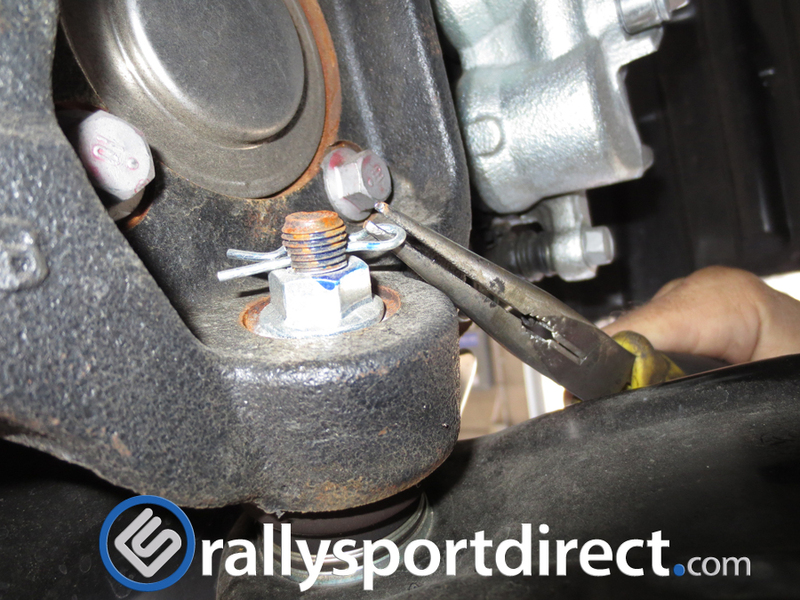 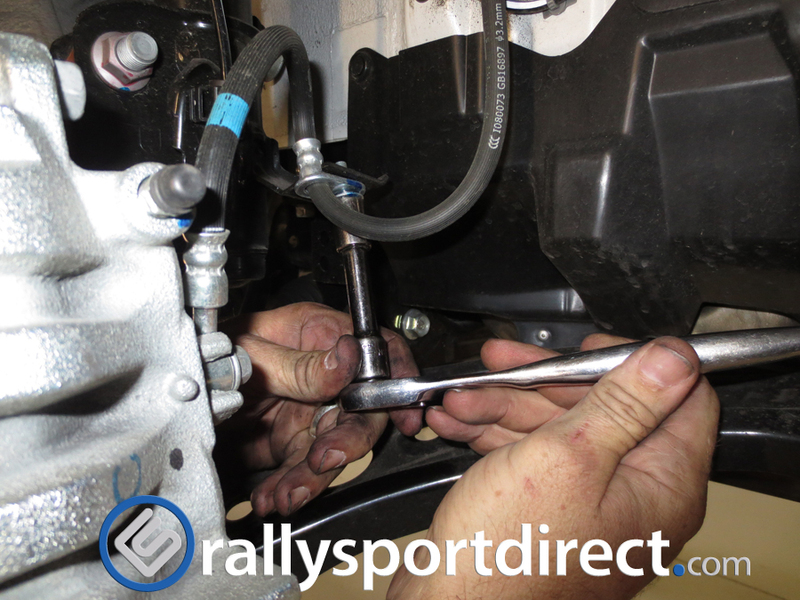 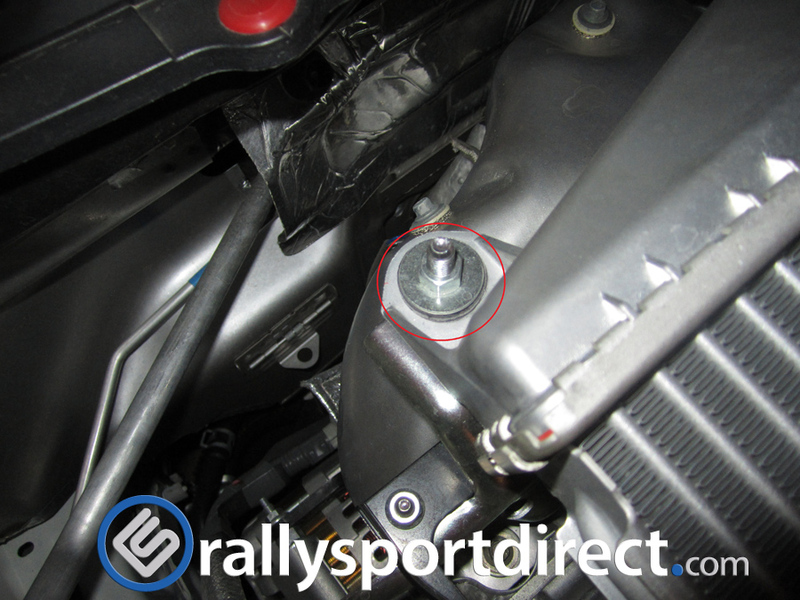 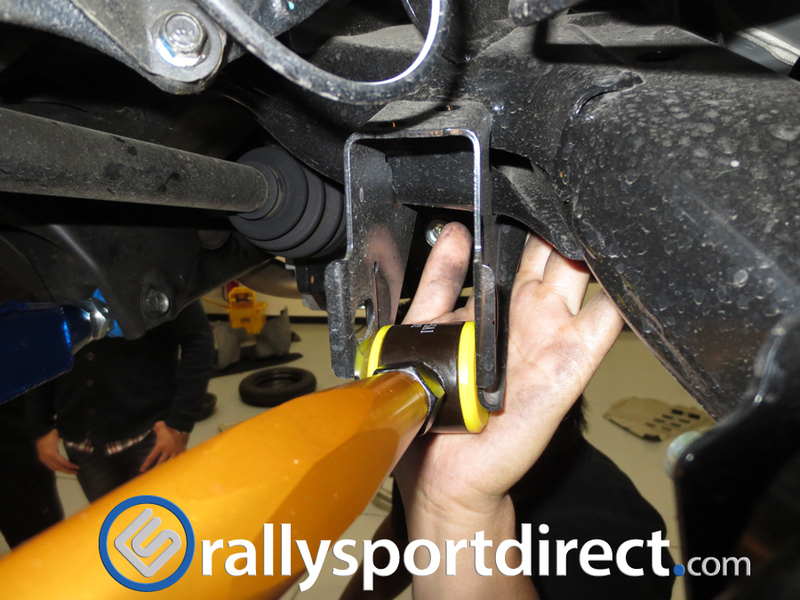 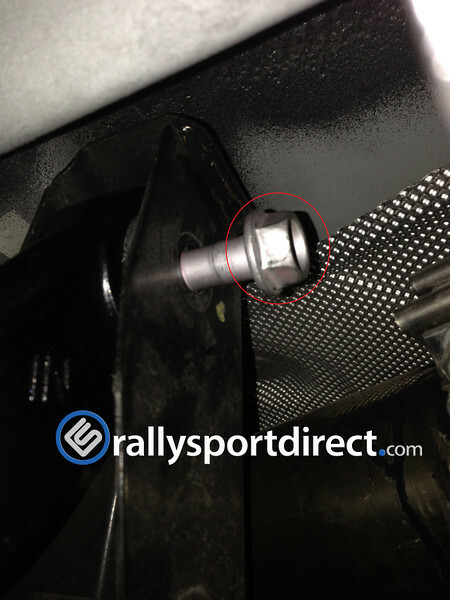 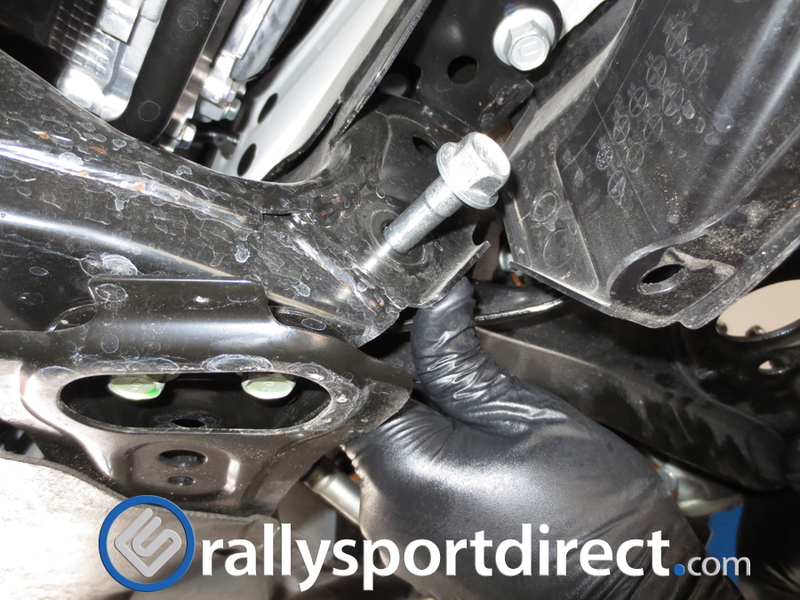 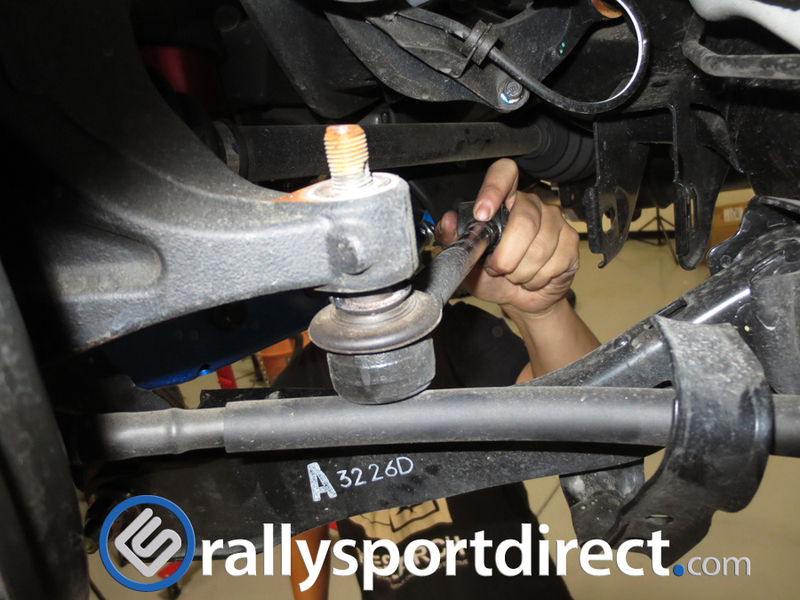 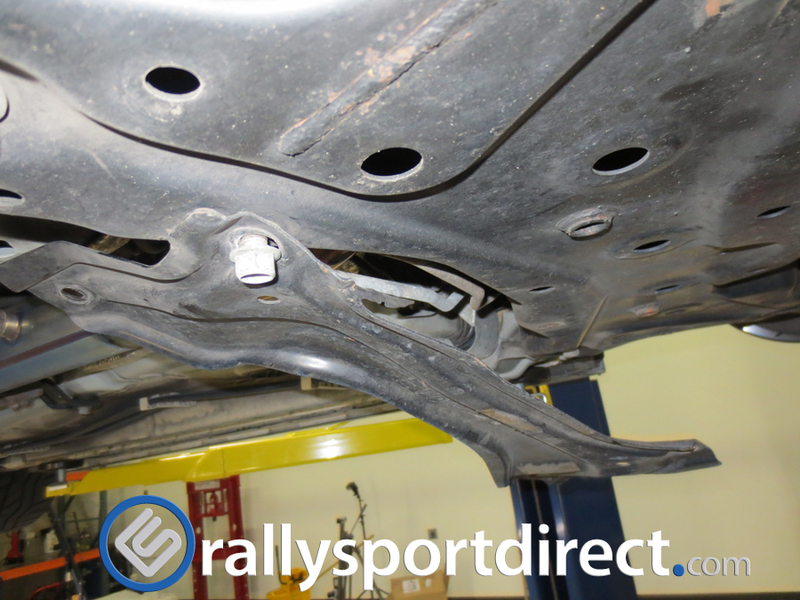 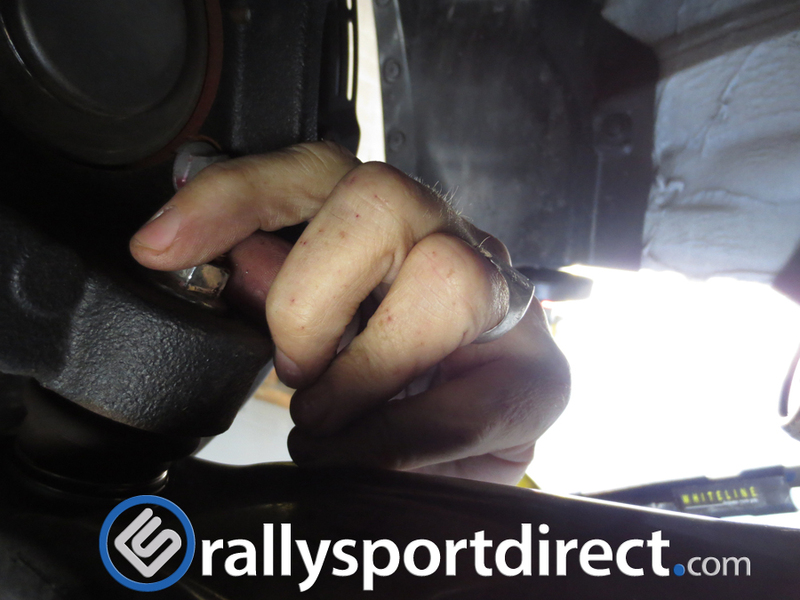 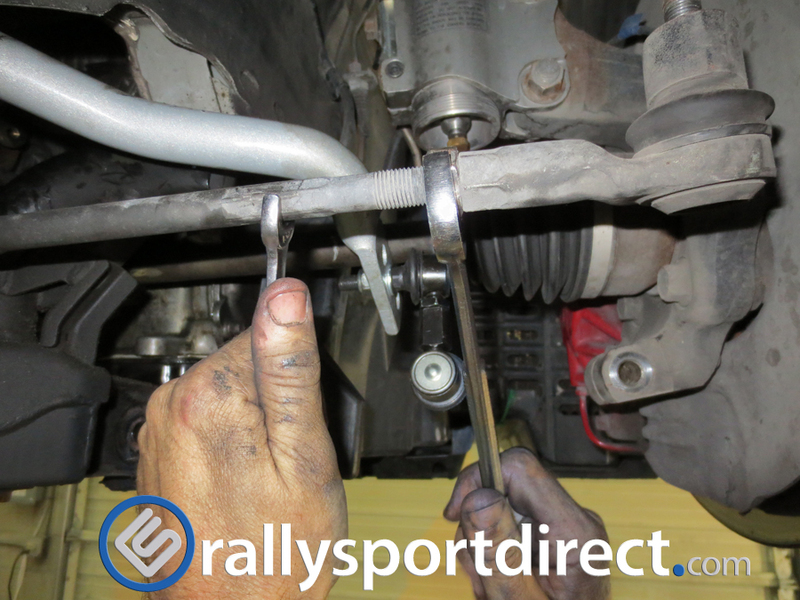 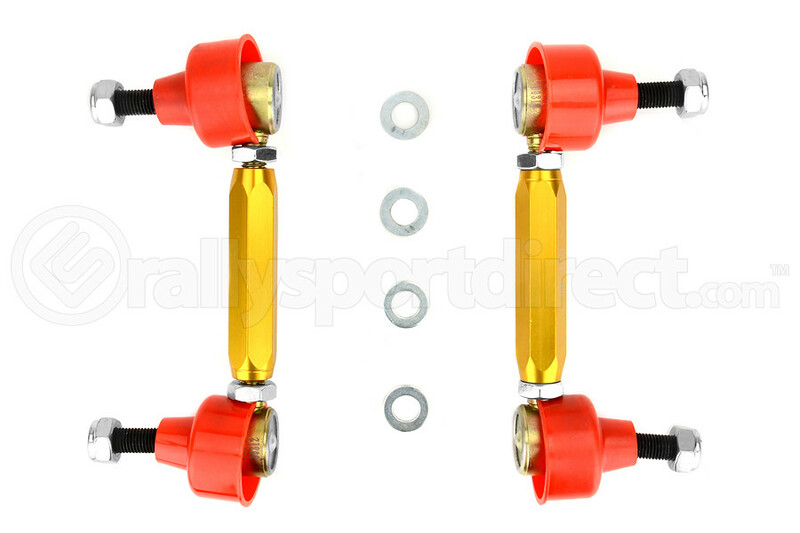 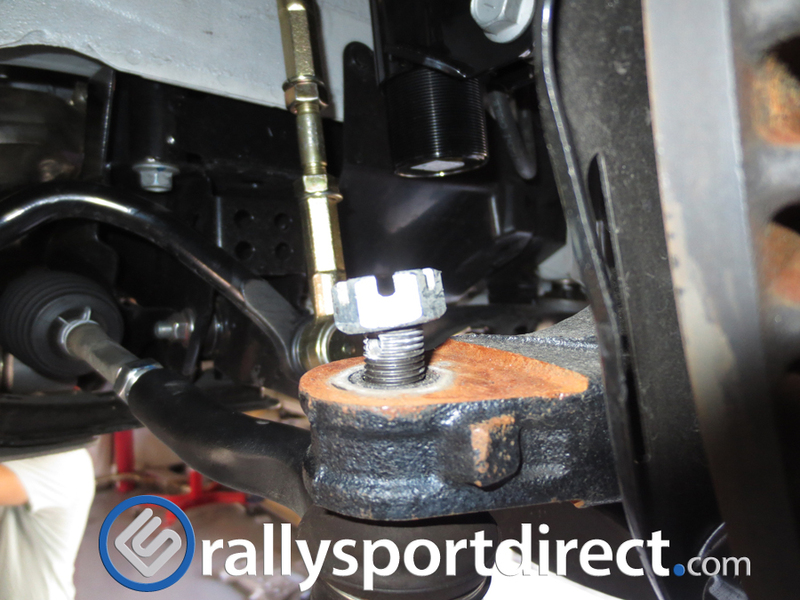 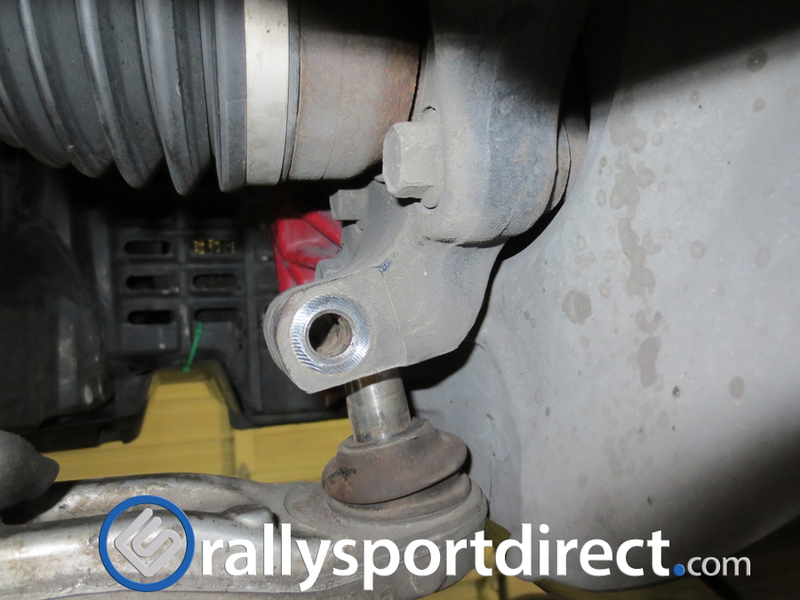 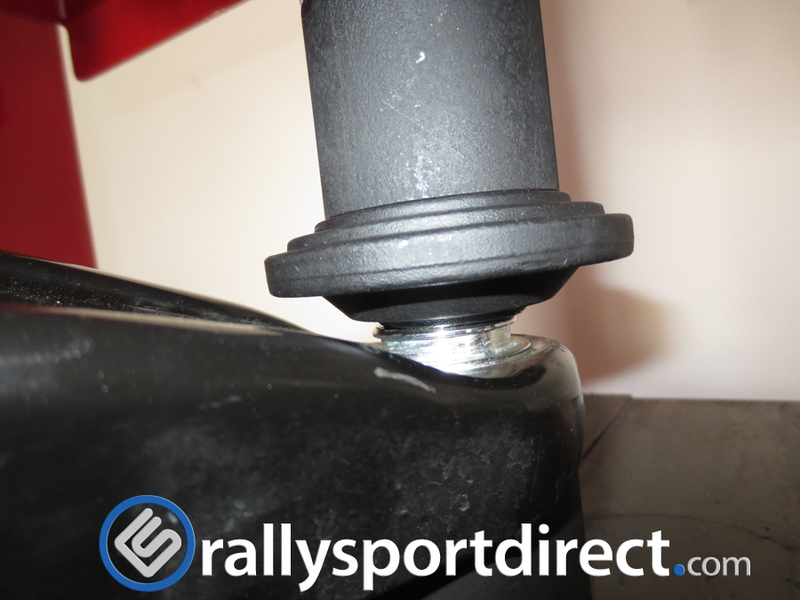 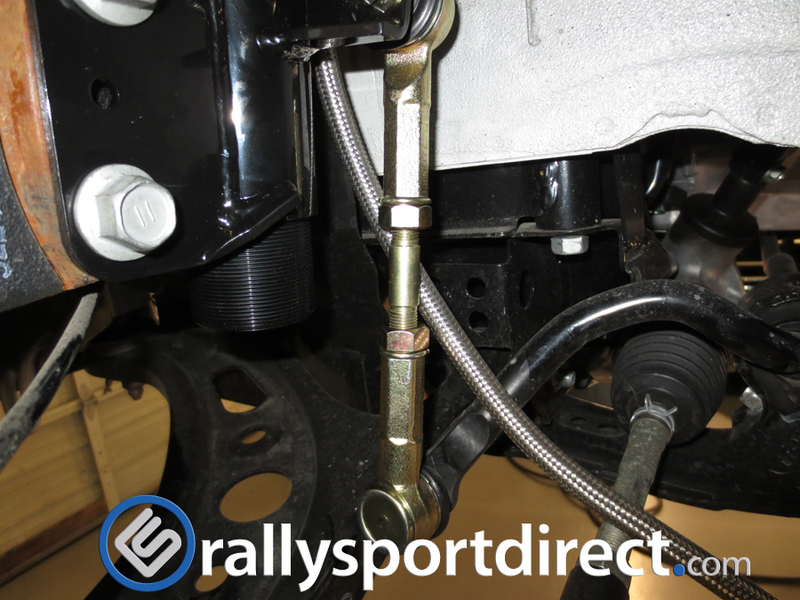 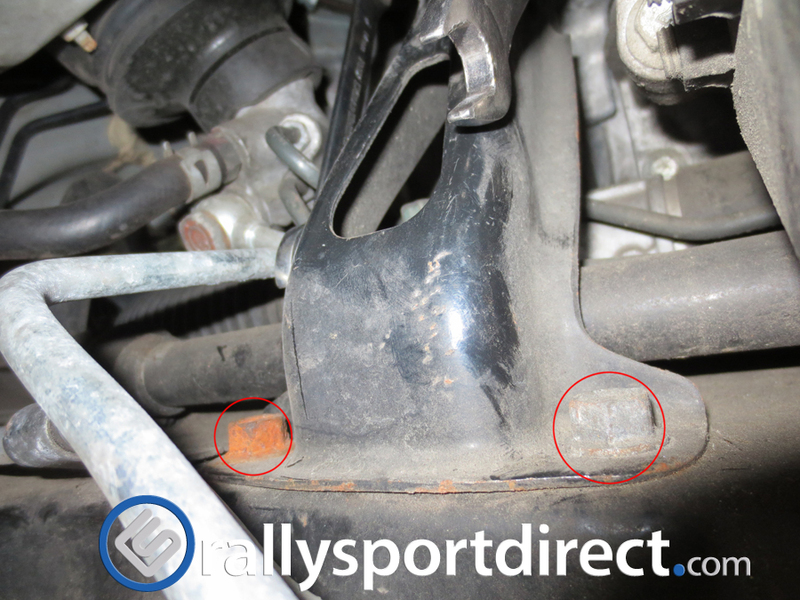 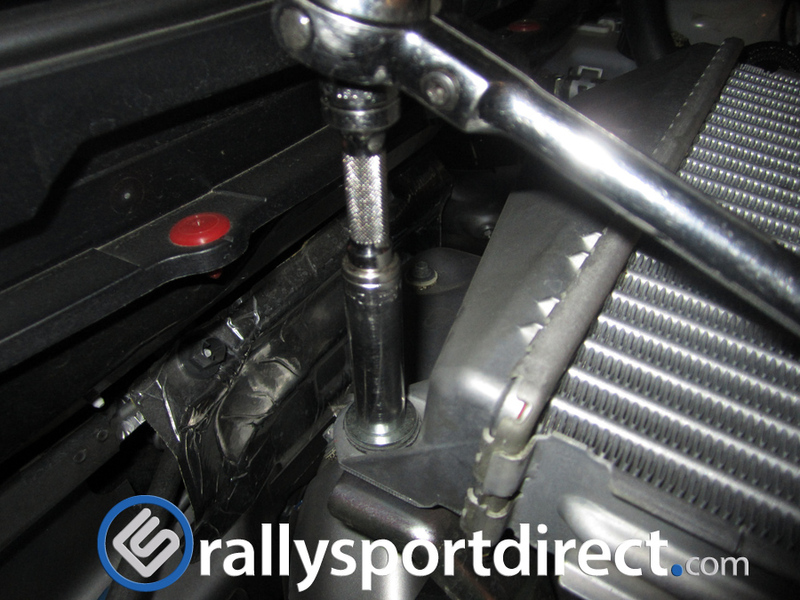 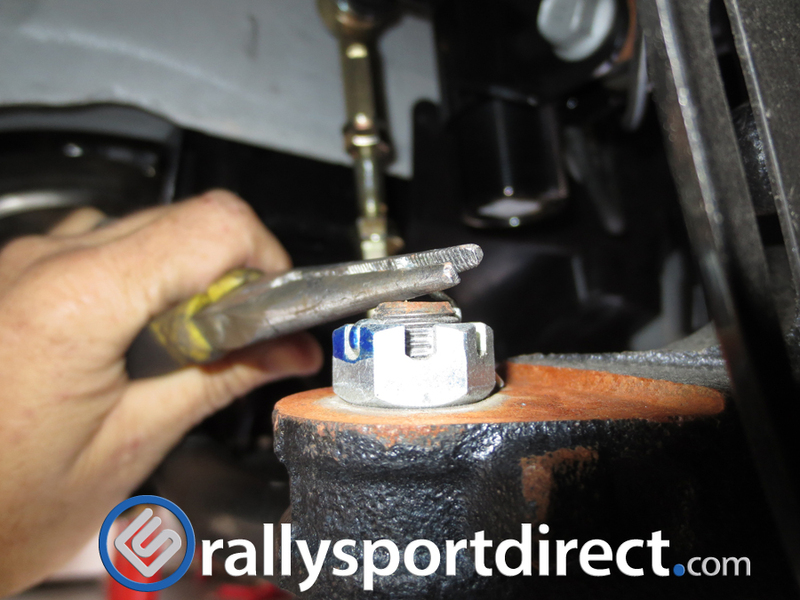 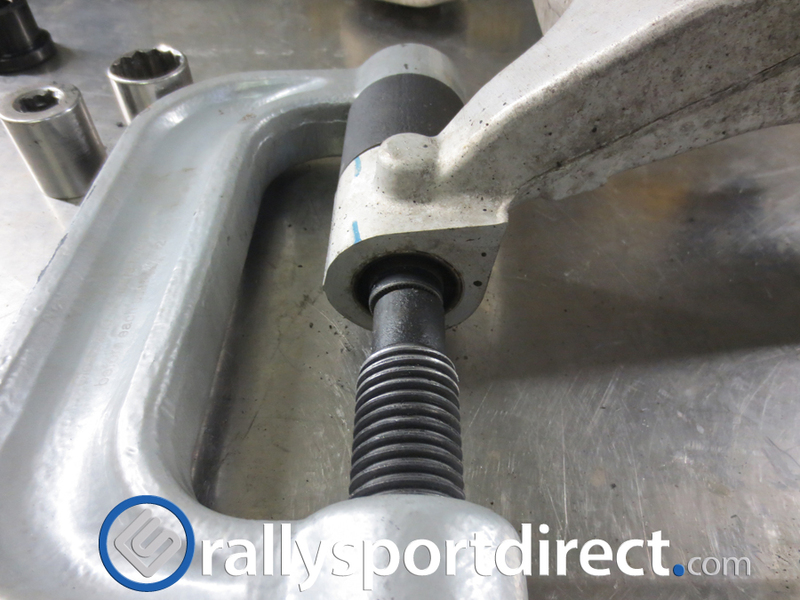 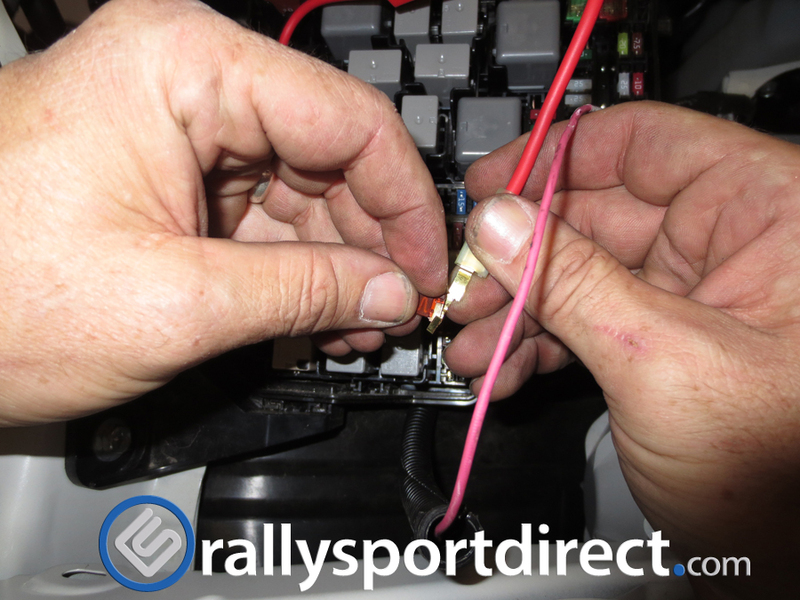 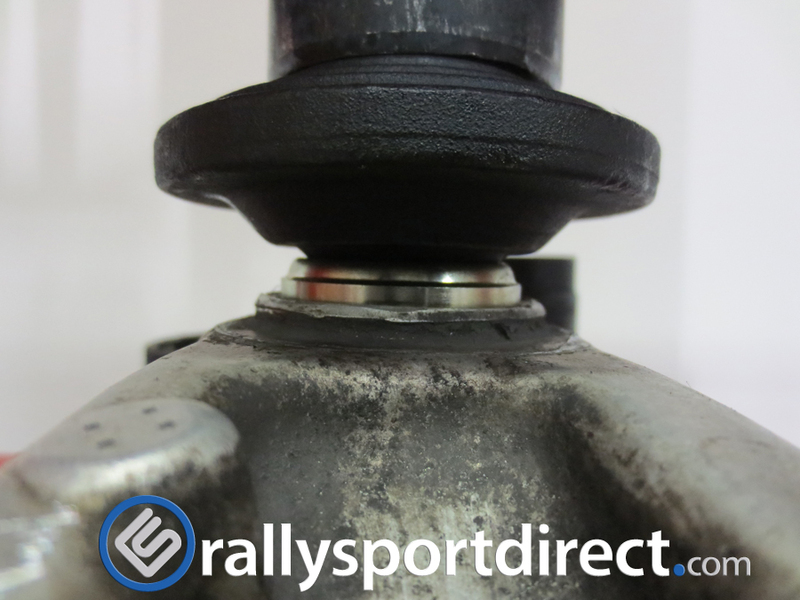 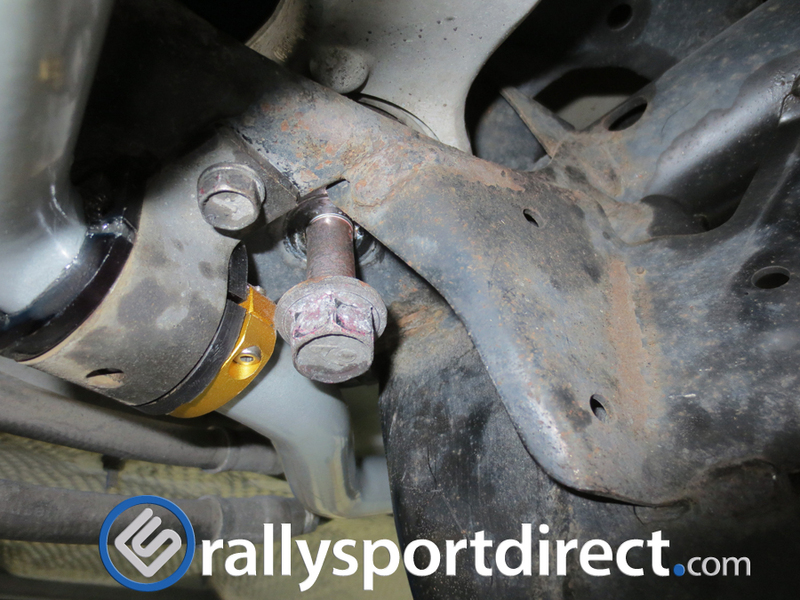 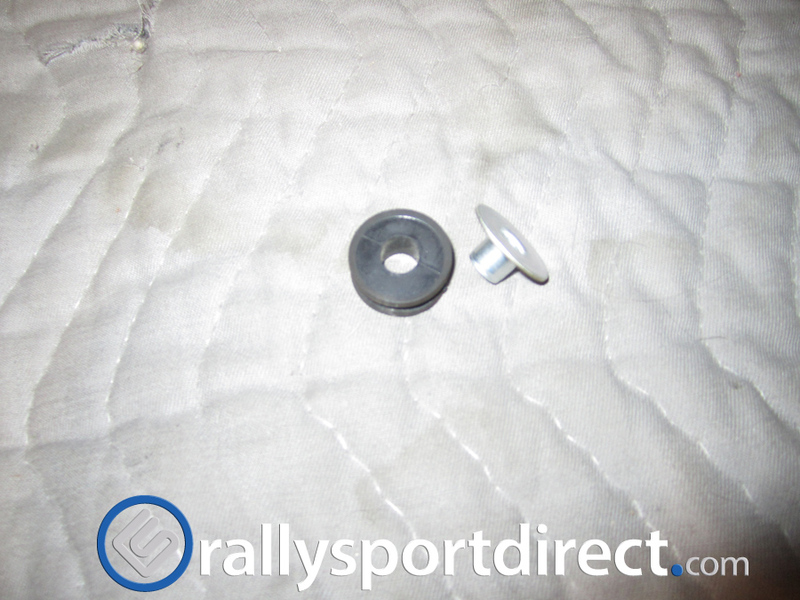 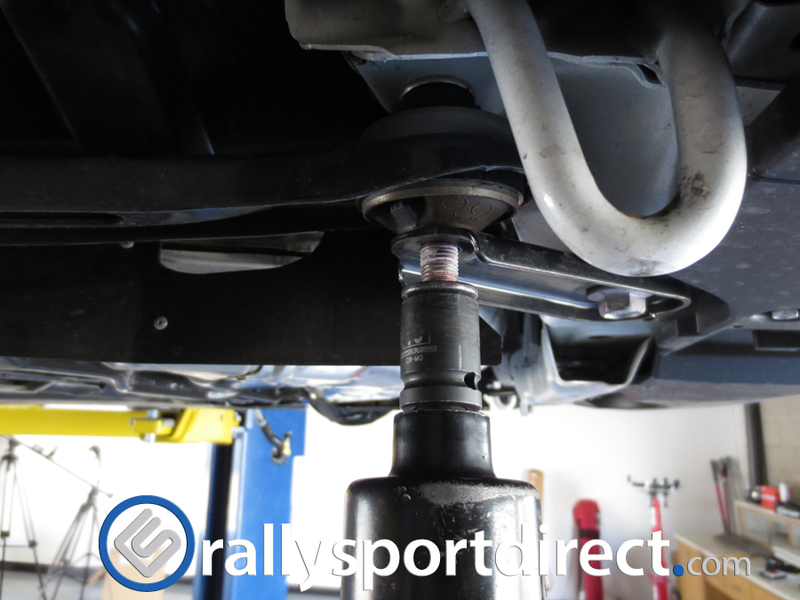 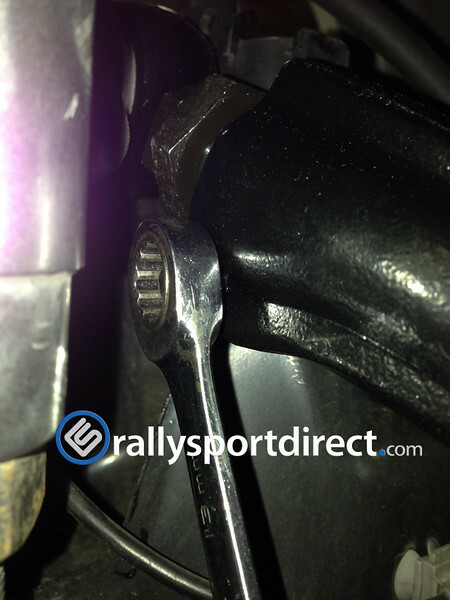 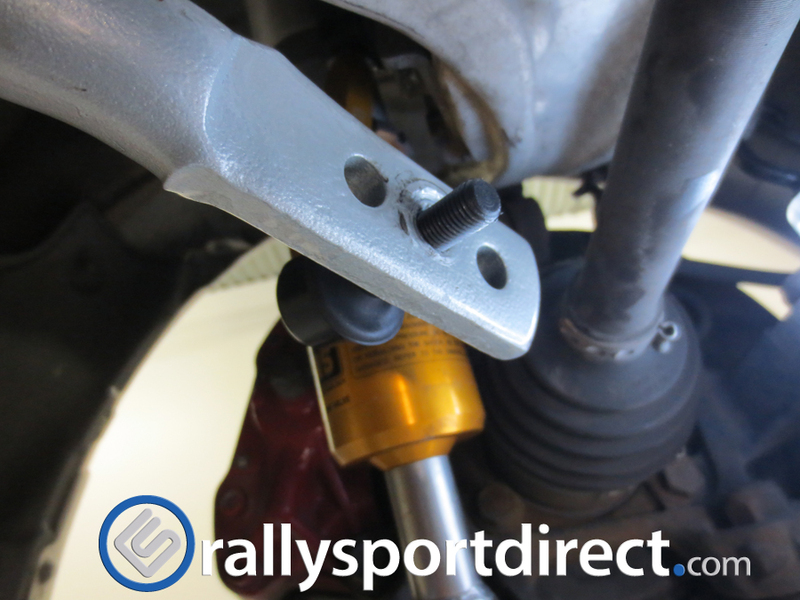 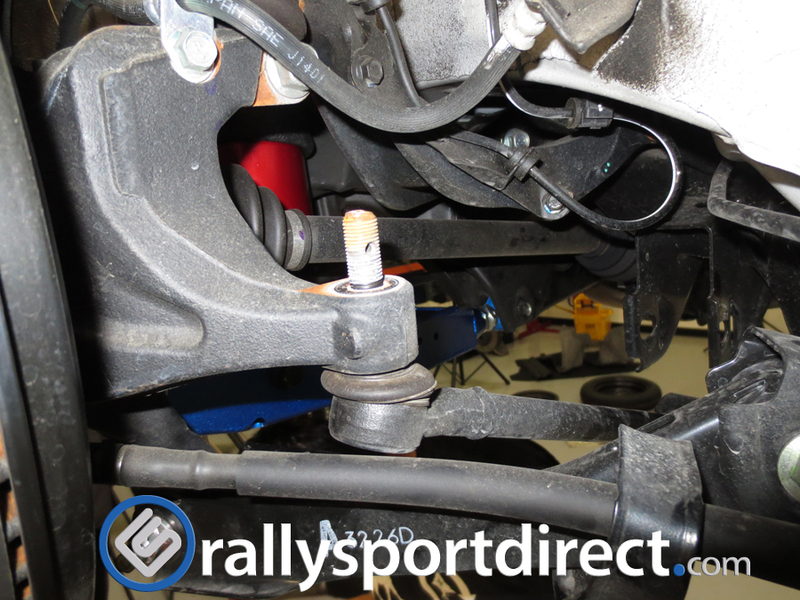 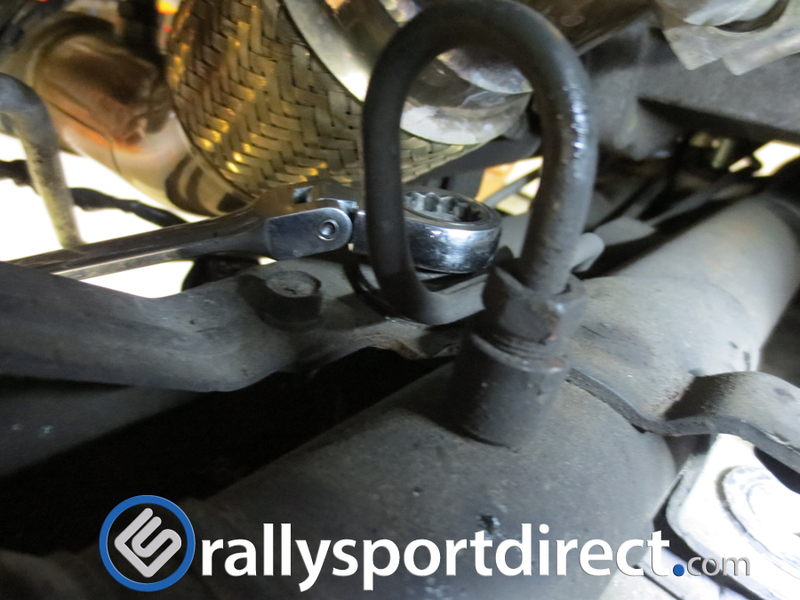 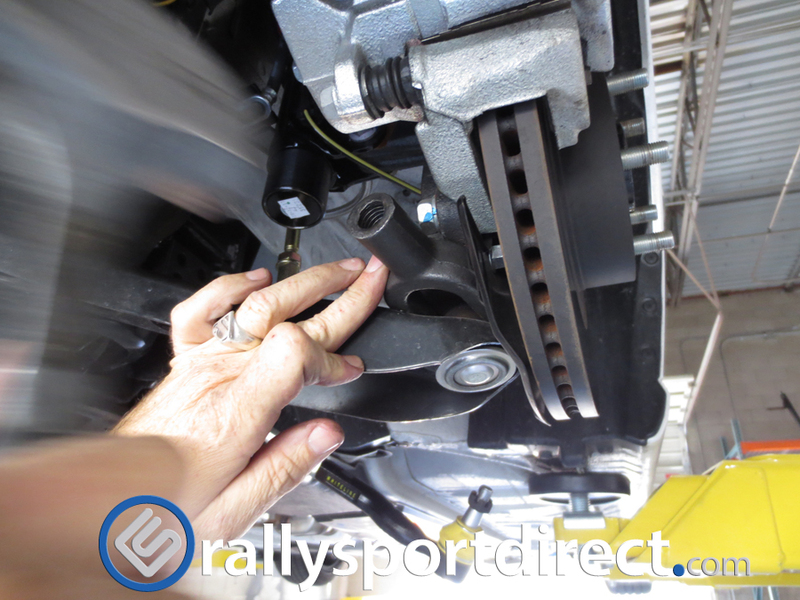 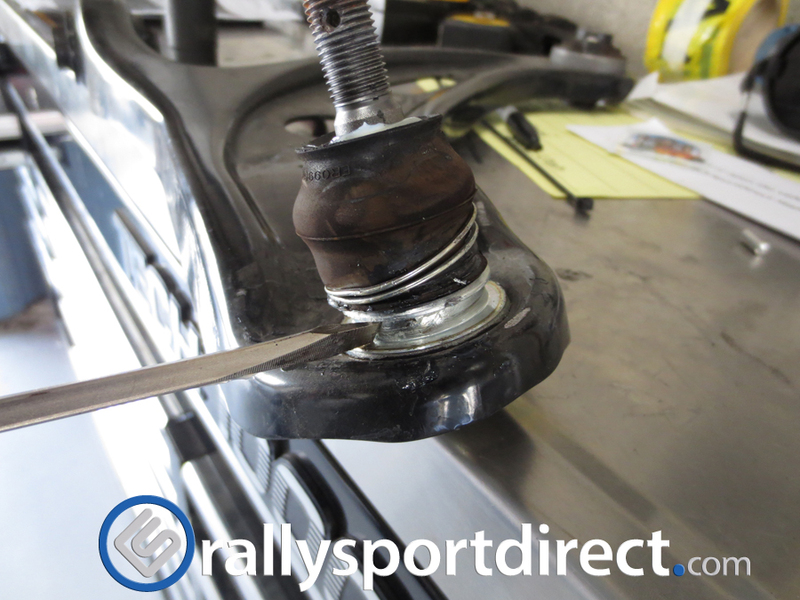 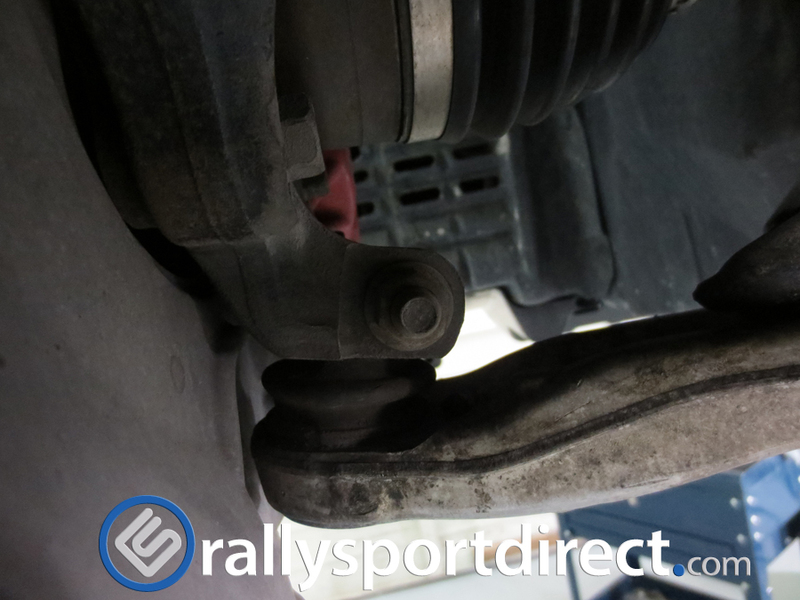 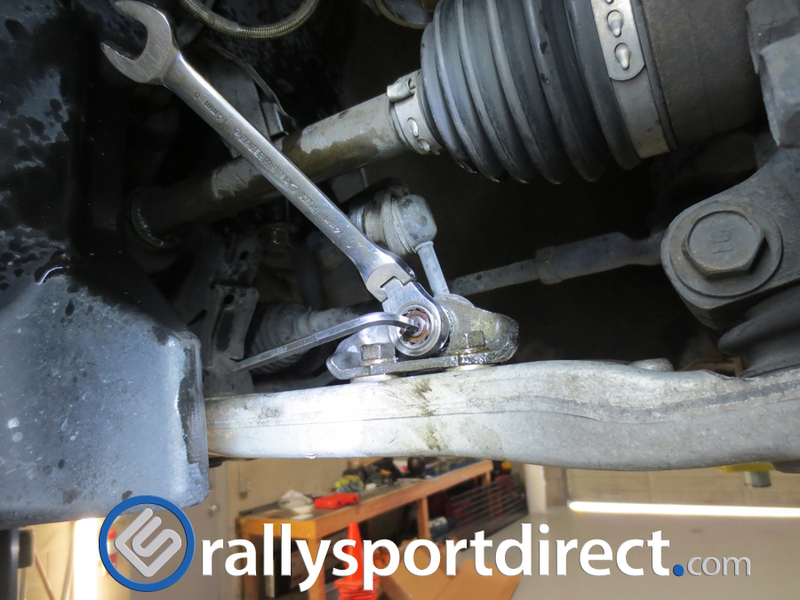 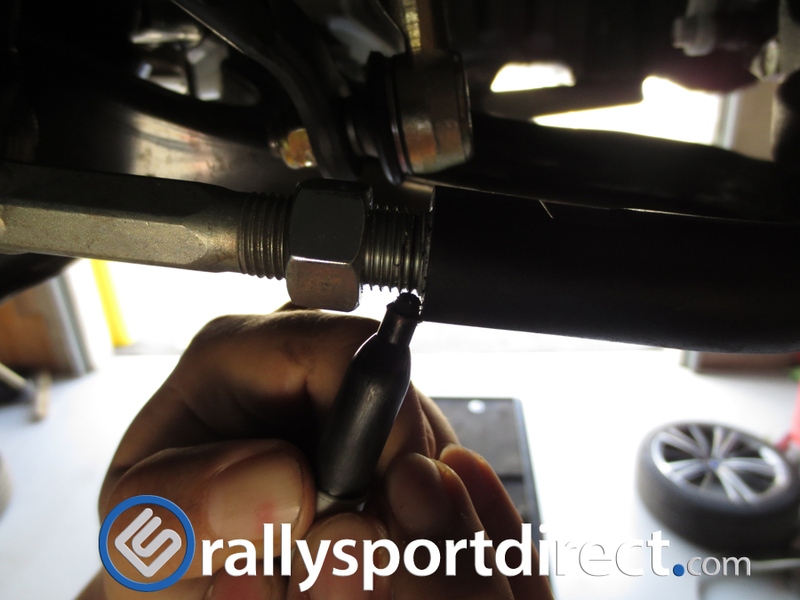 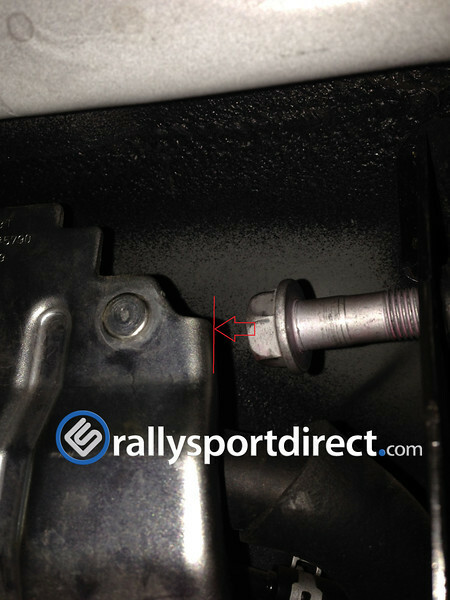 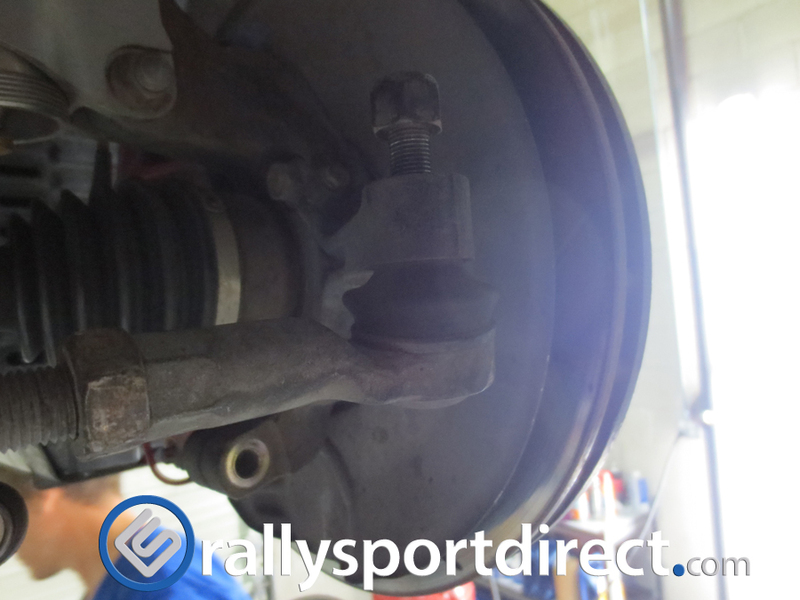 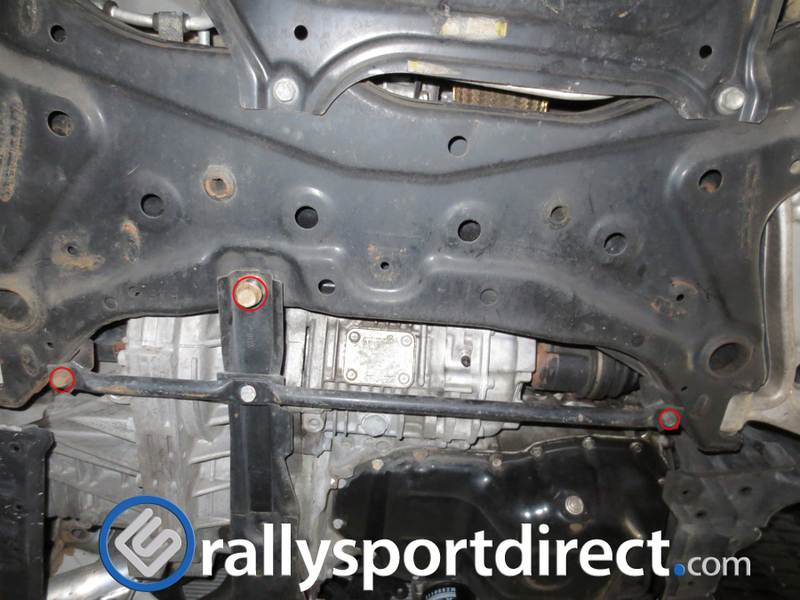 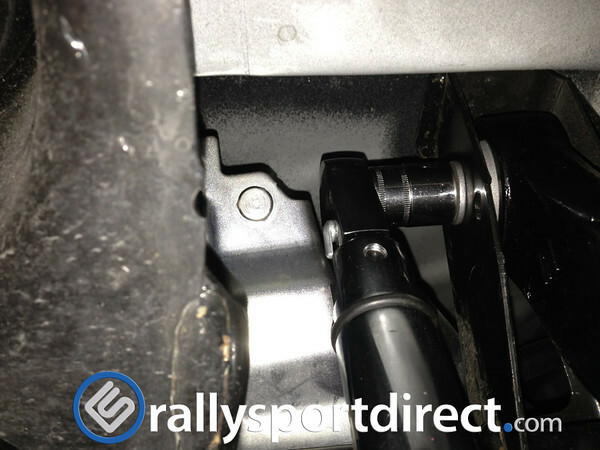 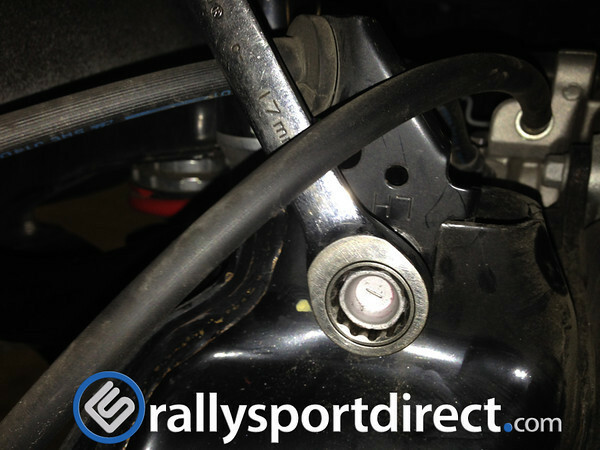 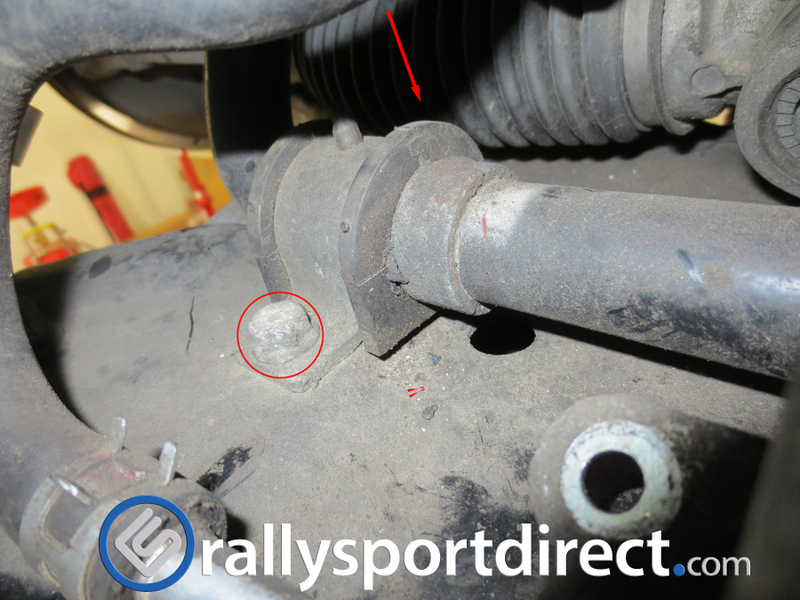 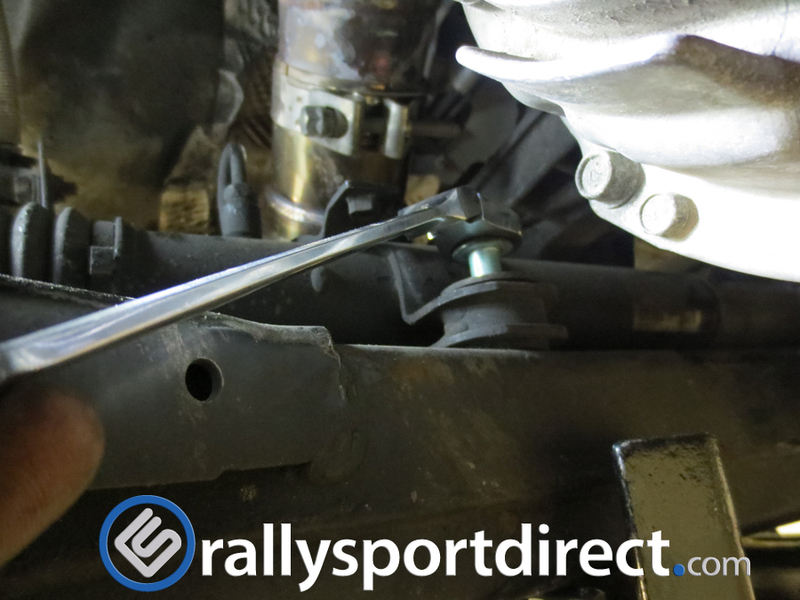 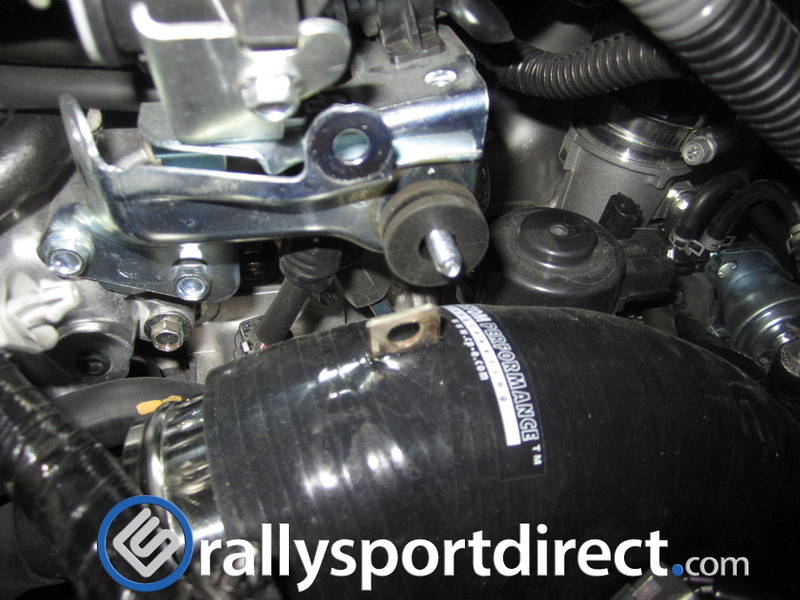 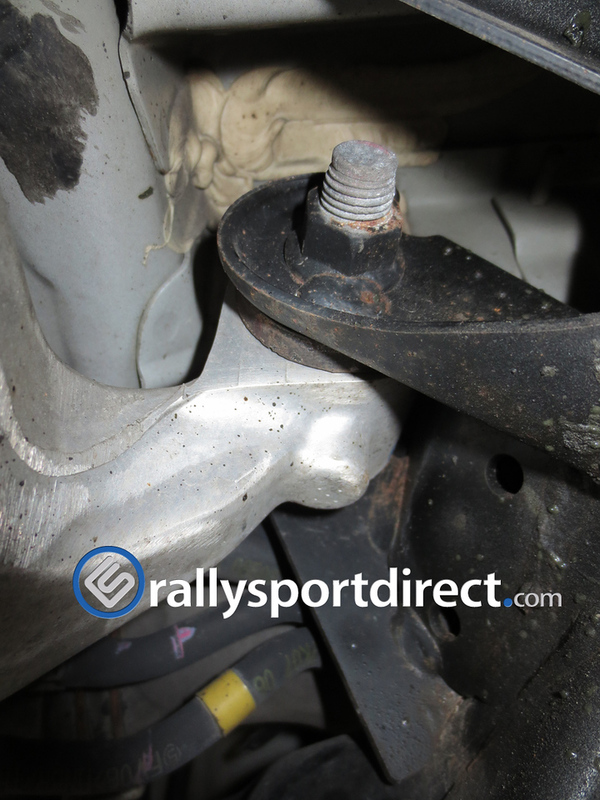 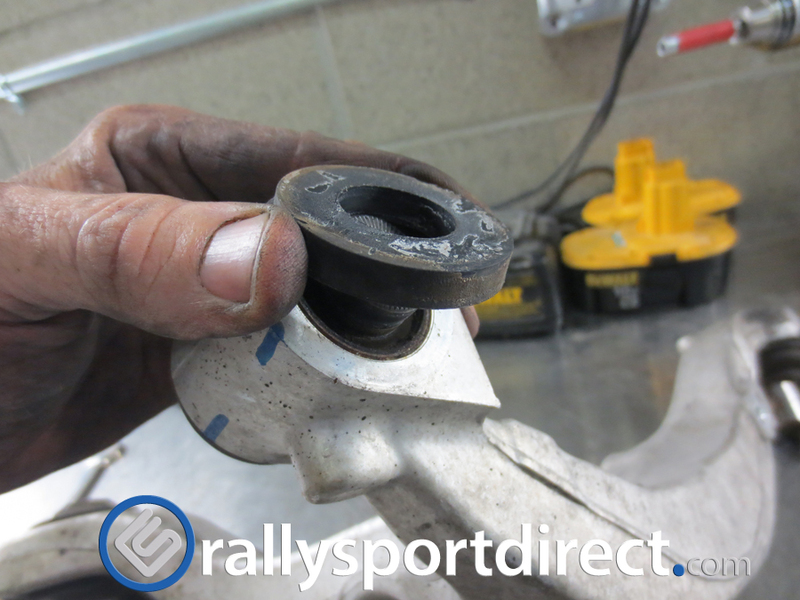 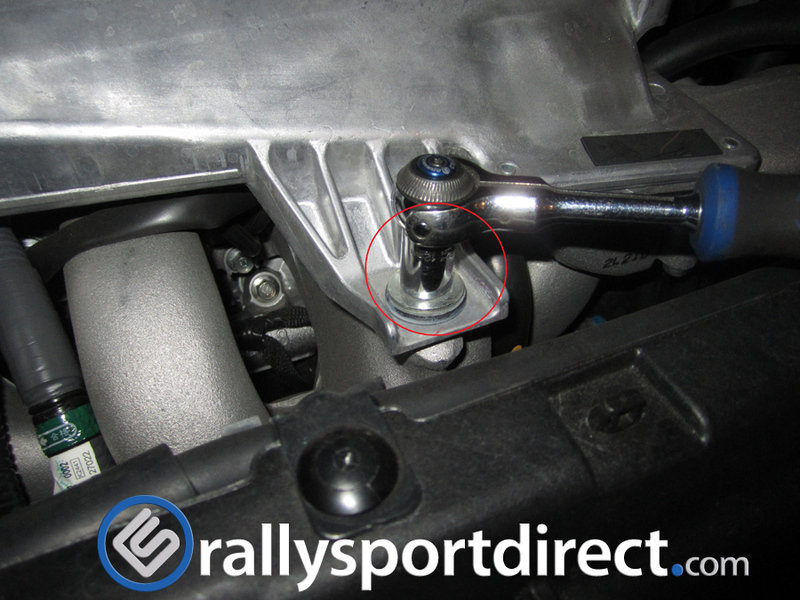 Once you have the outter bolt removed, remove the inner 17mm bolt. 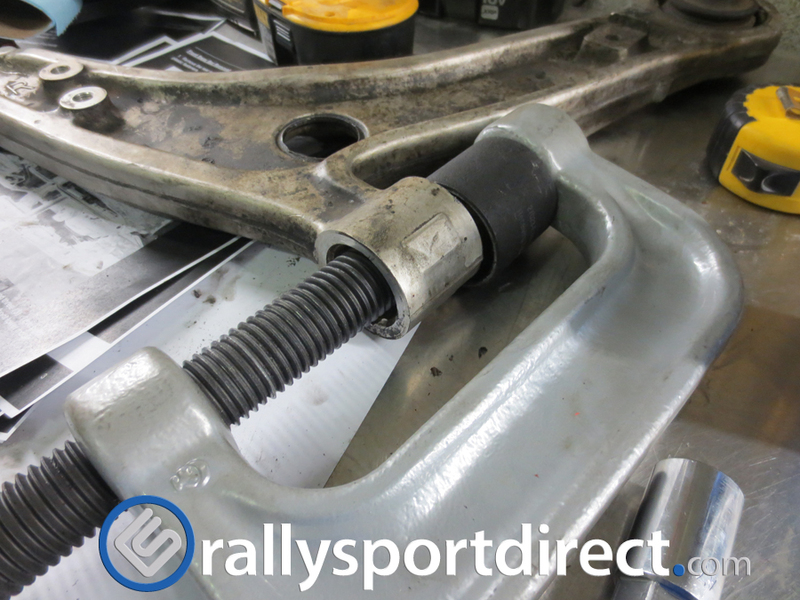 With both of the 17mm bolts removed you can pull the factory arm right out. 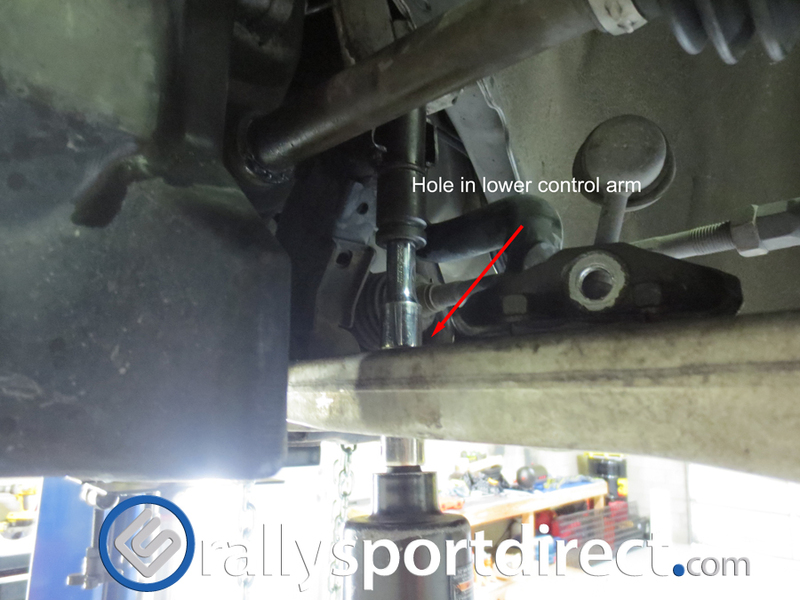 In order to ensure my camber in the rear didn’t get too out of wack before I could make it to the alignment shop I stacked the Eibach arm on top of the factory arm and put one of the 17mm bolts through both. 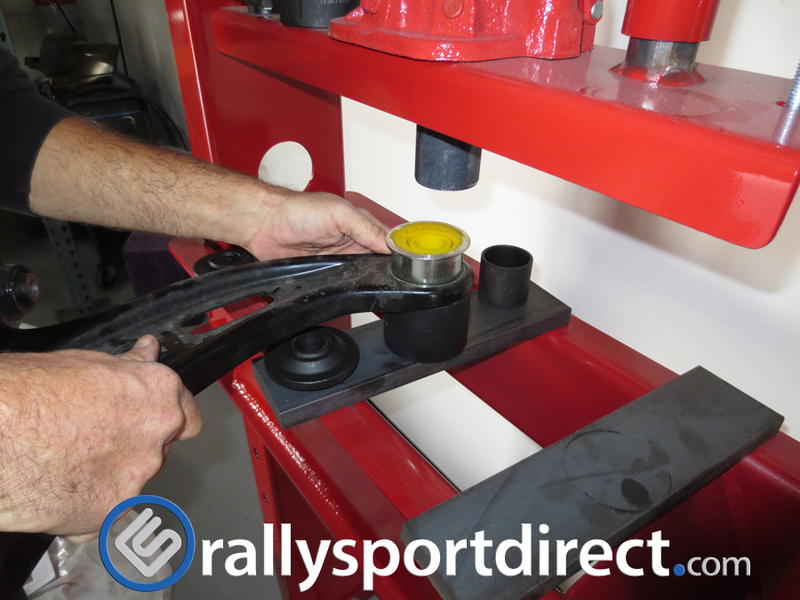 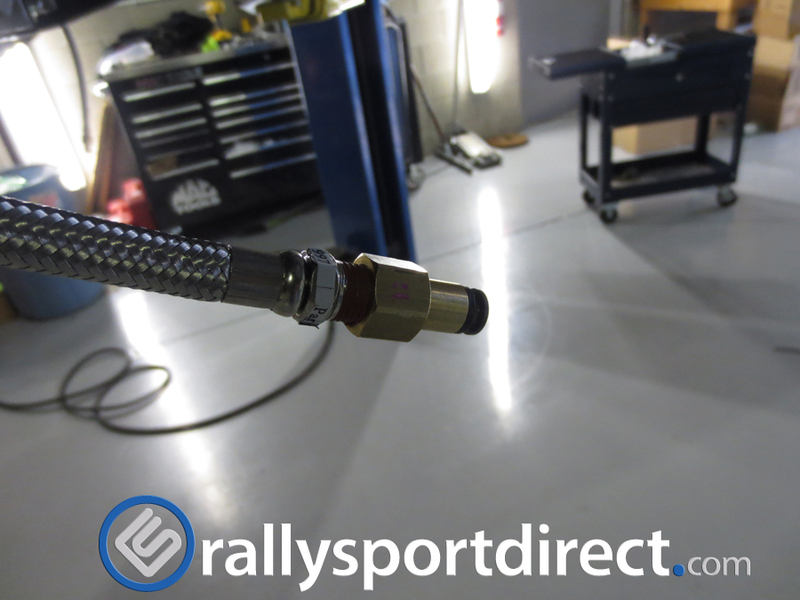 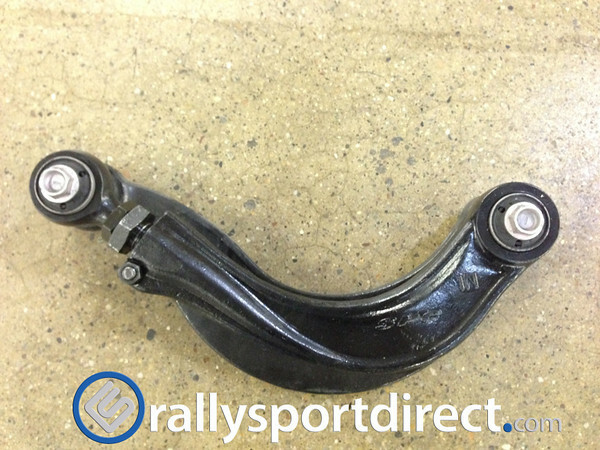 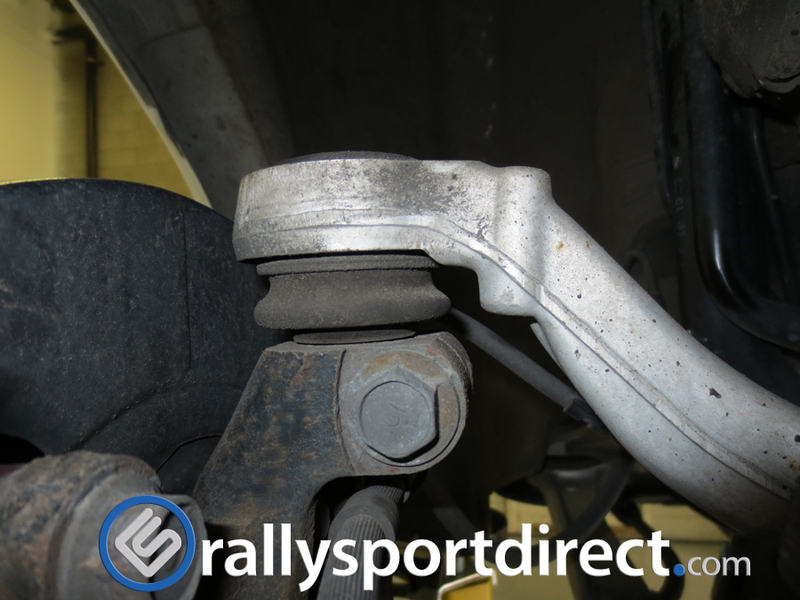 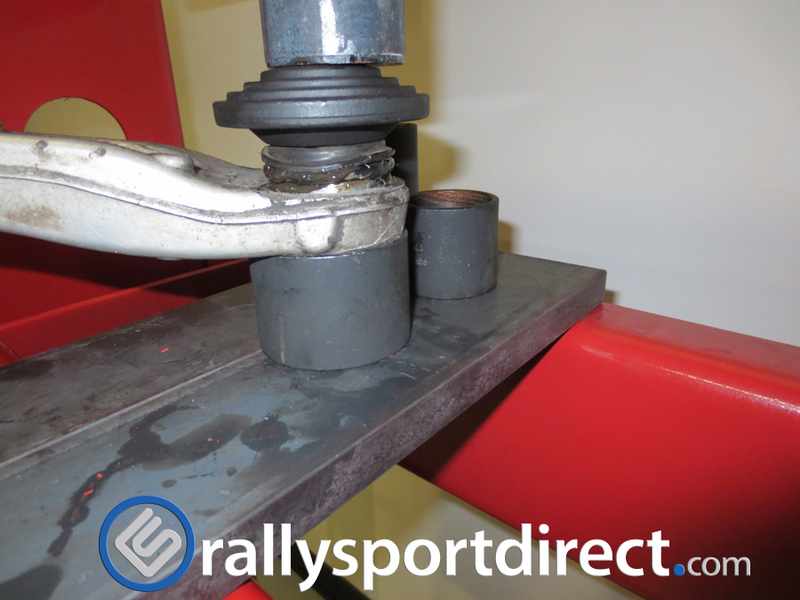 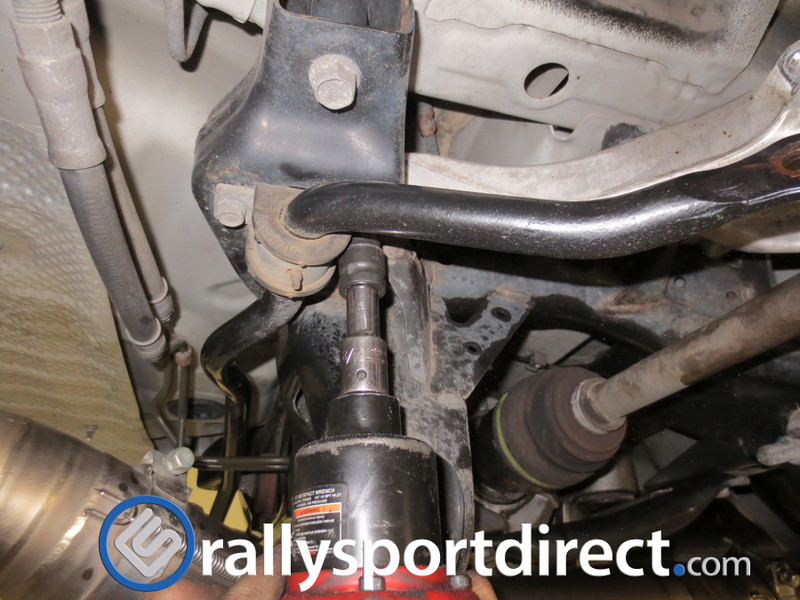 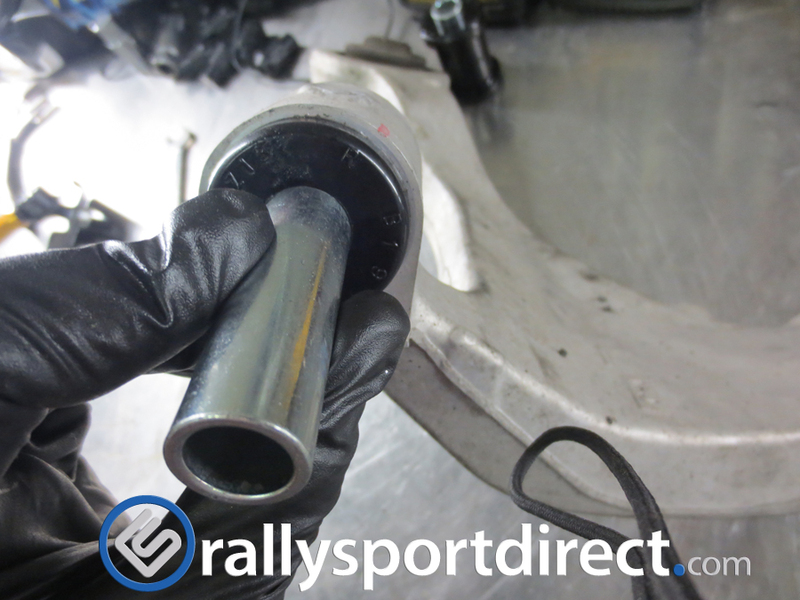 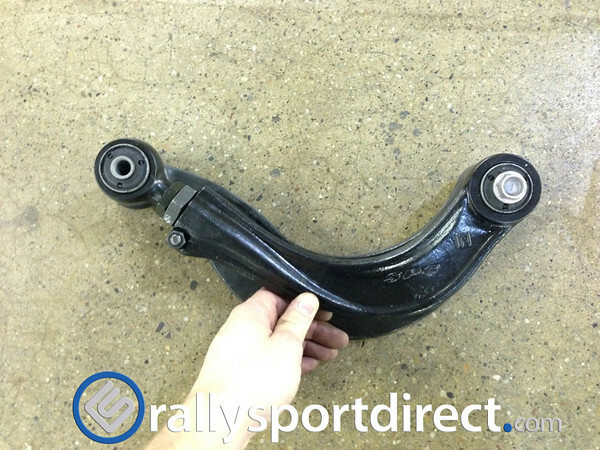 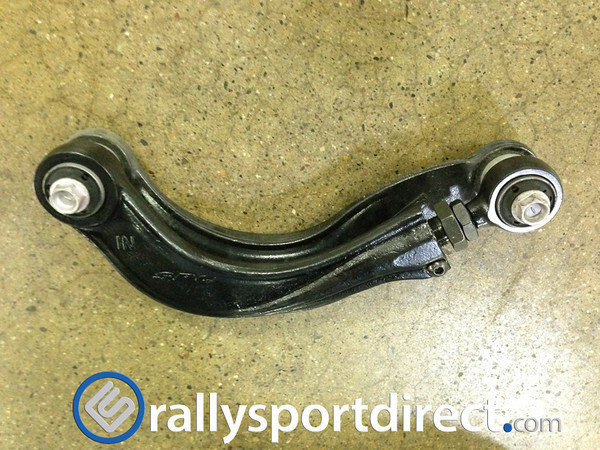 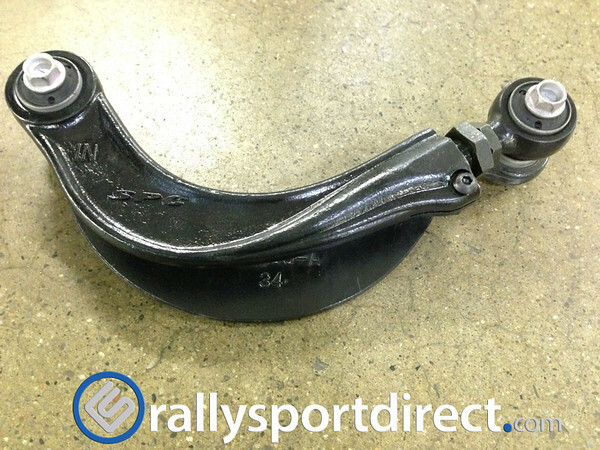 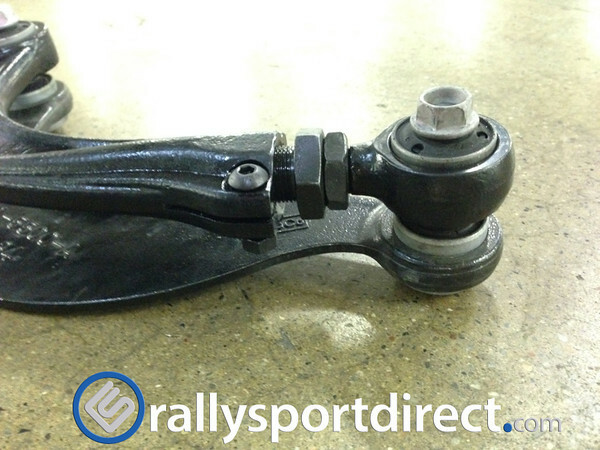 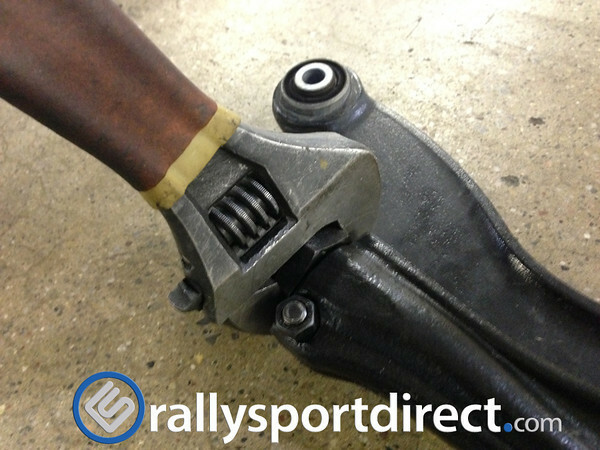 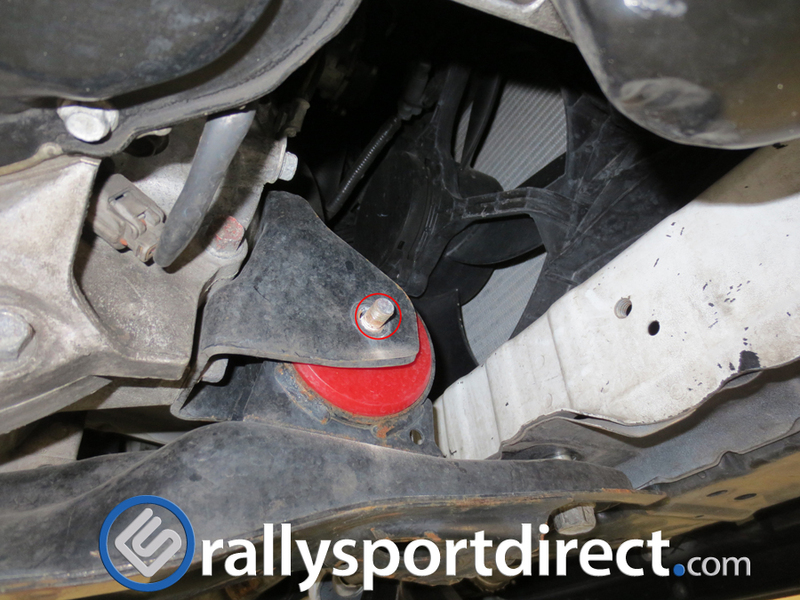 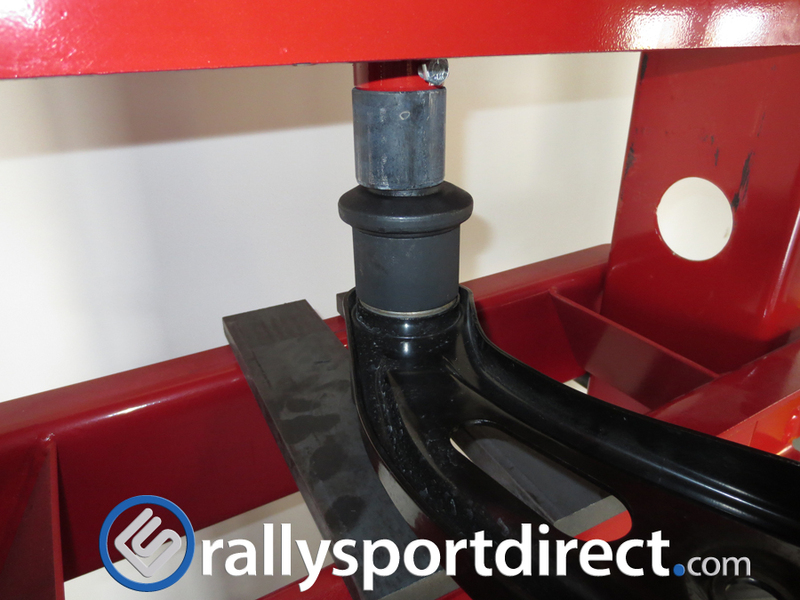 Grab your crescent wrench and use the largest nut on the Eibach arm to rotate the end until the hole lines up exactly with the factory arm underneath. 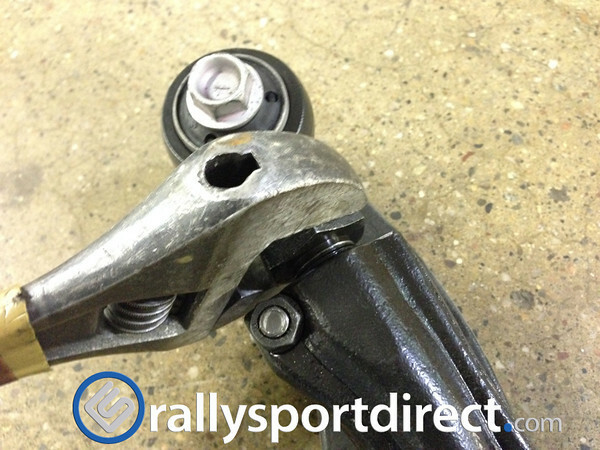 To ensure you adjusted it the correct length both 17mm bolts should slide through the holes on both arms without any force. 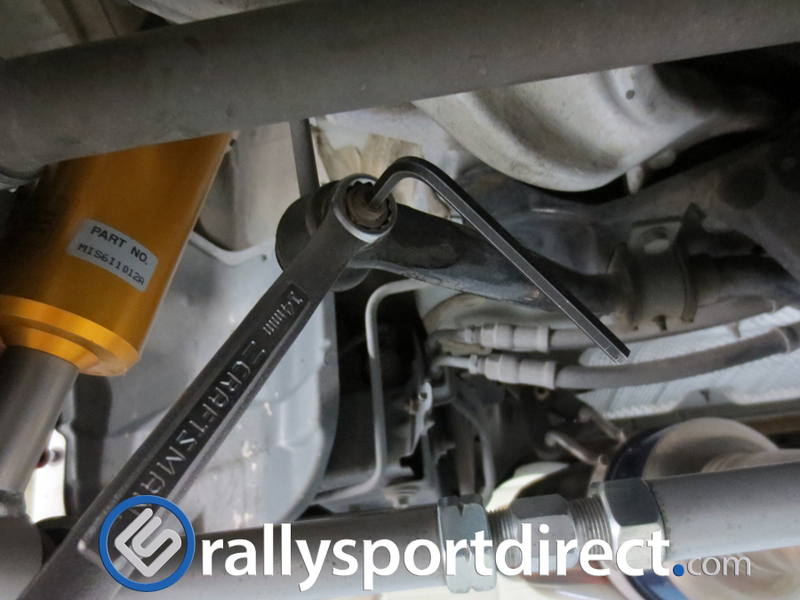 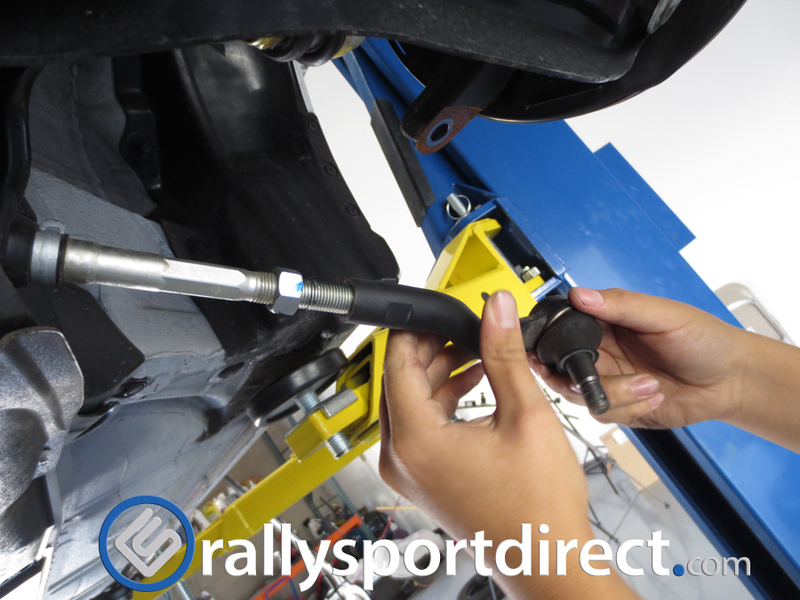 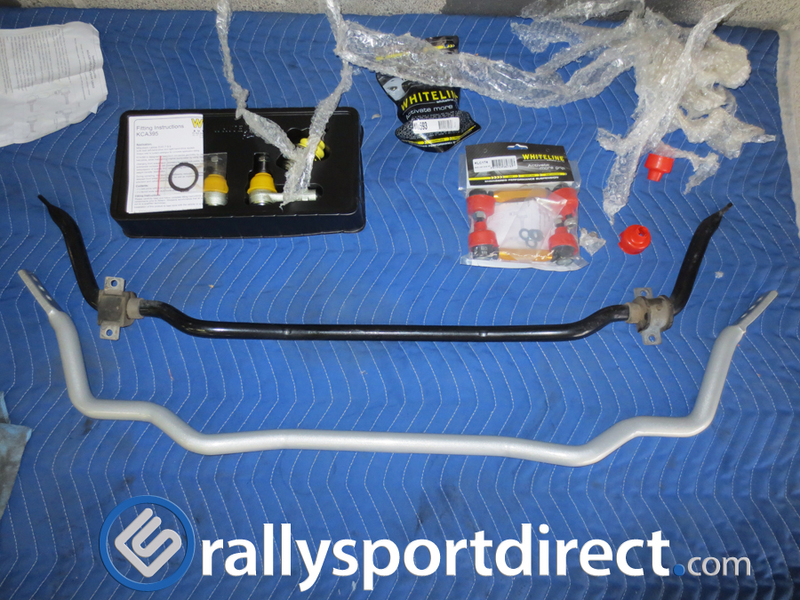 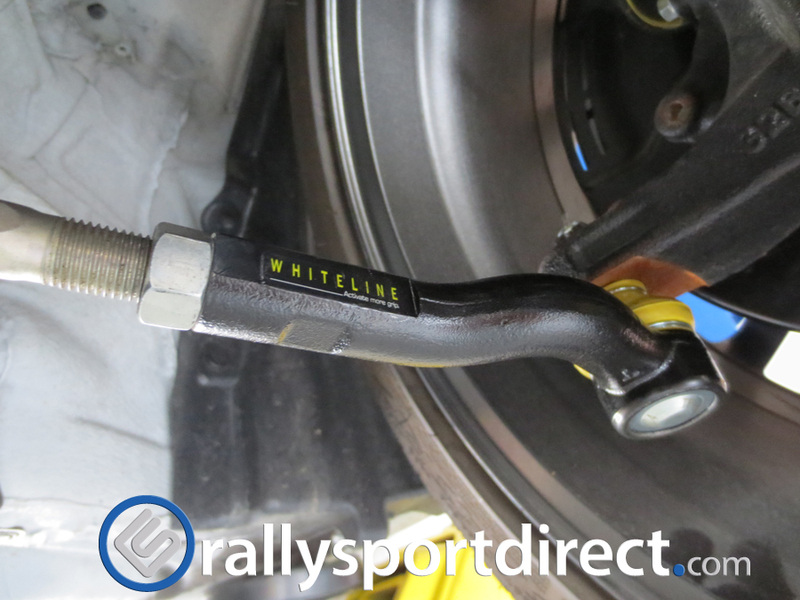 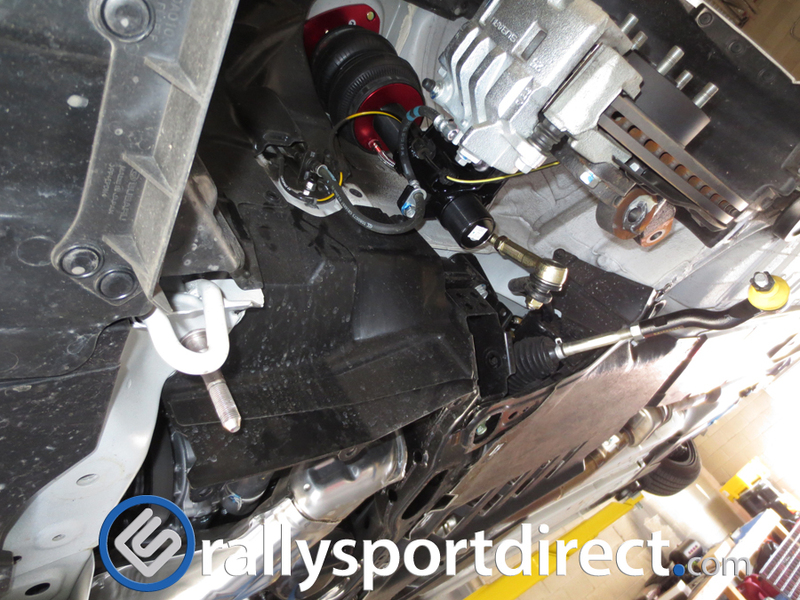 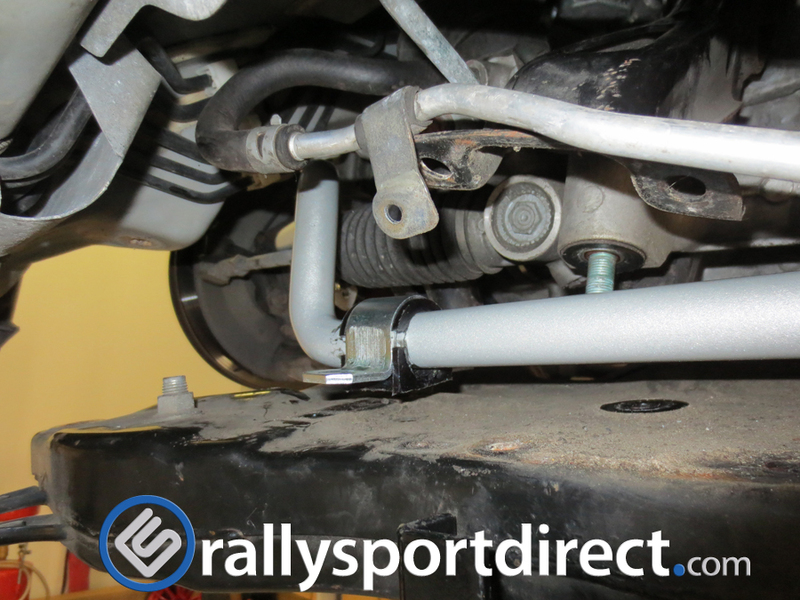 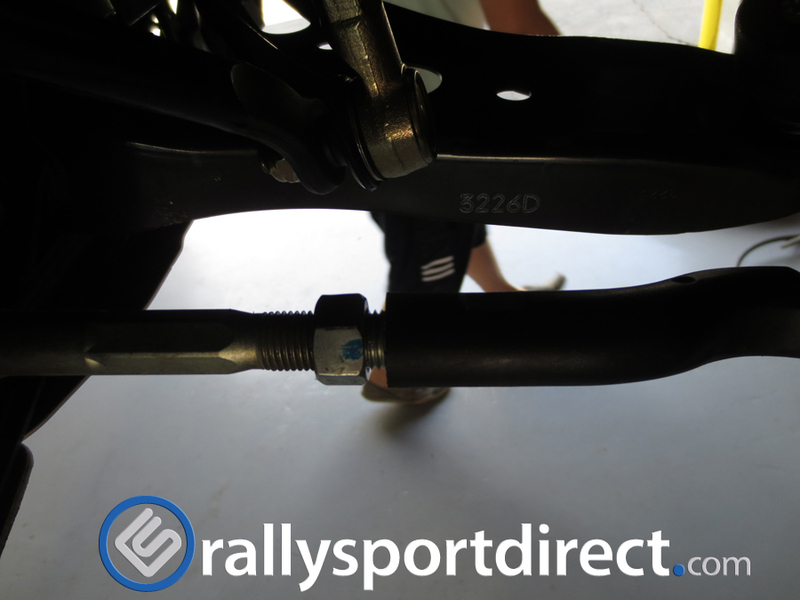 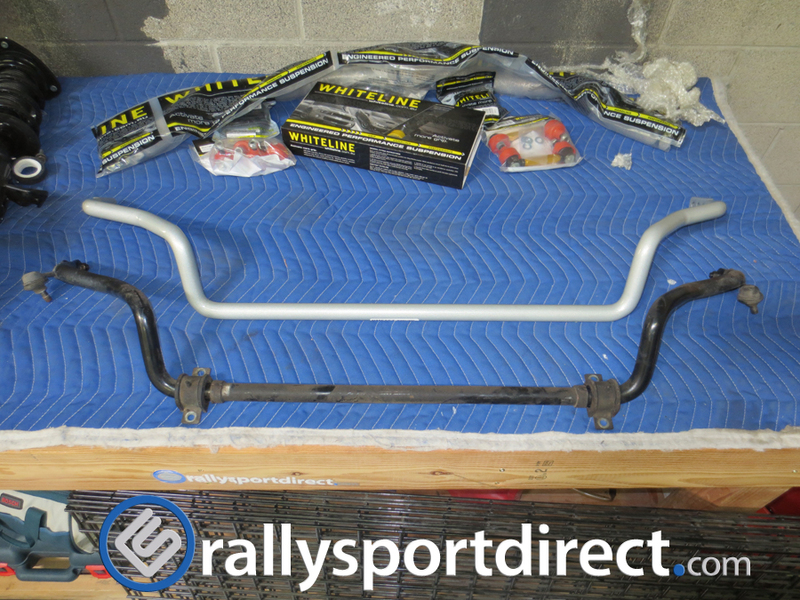 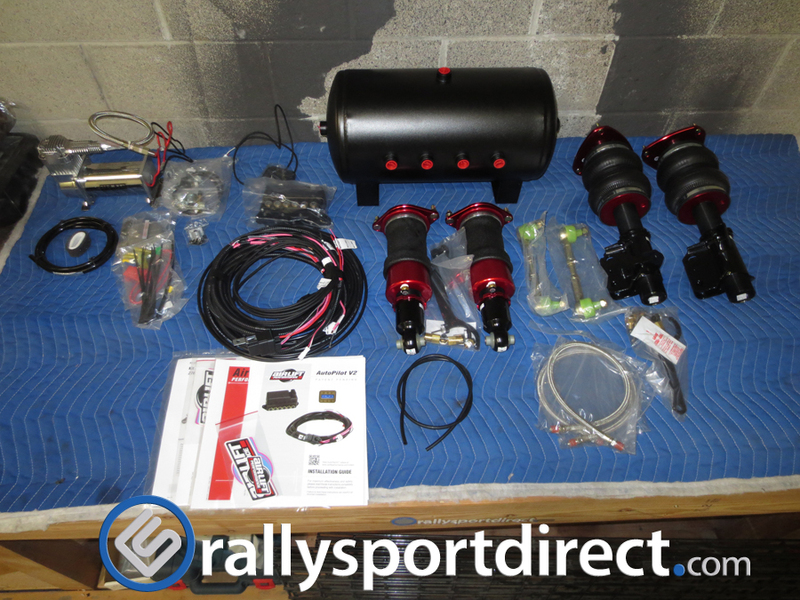 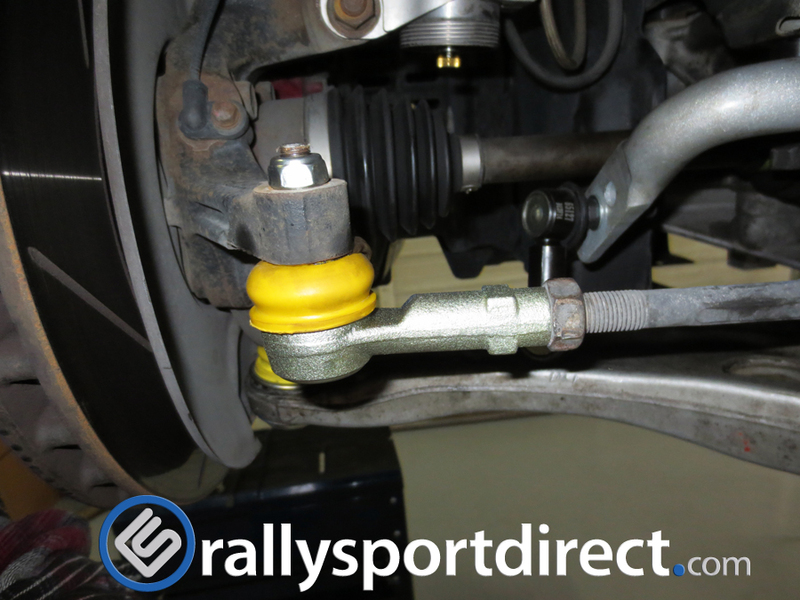 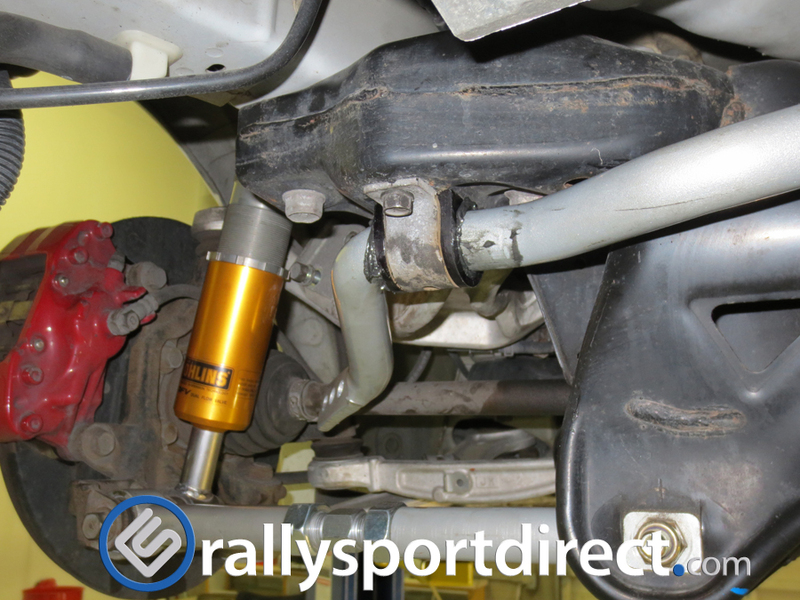 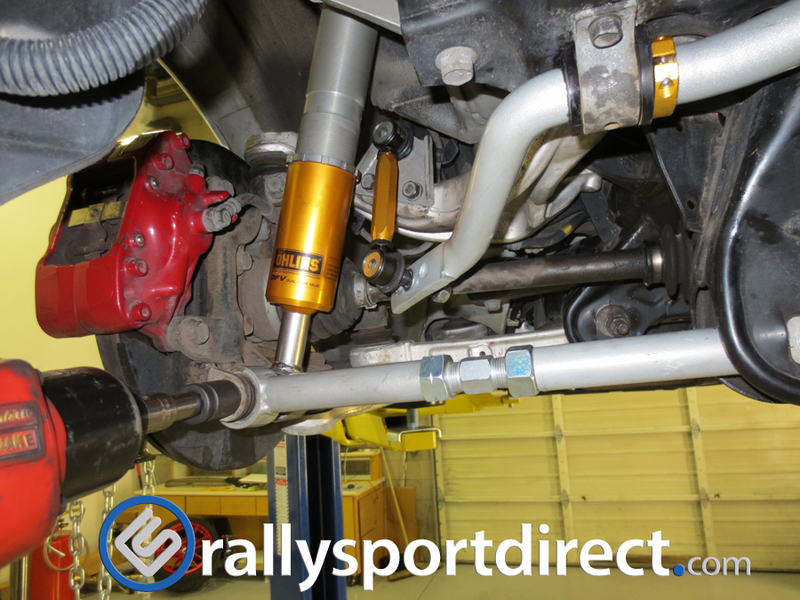 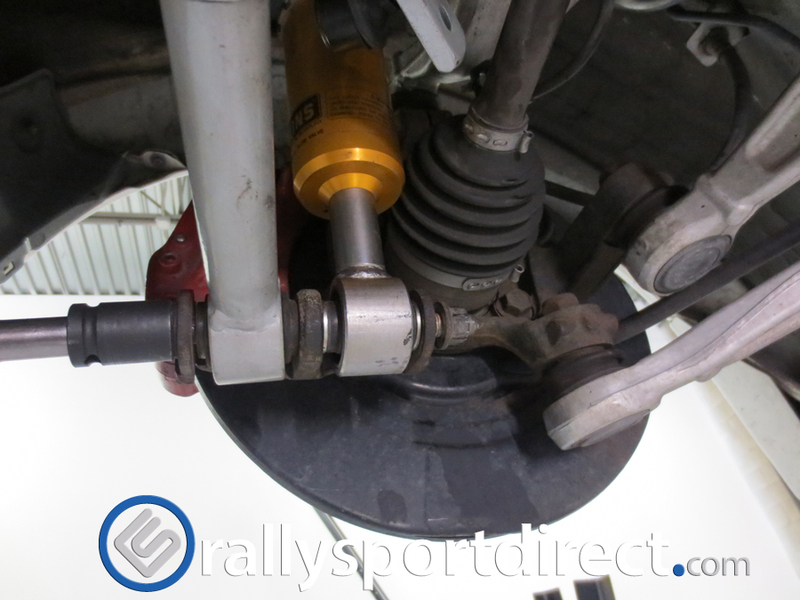 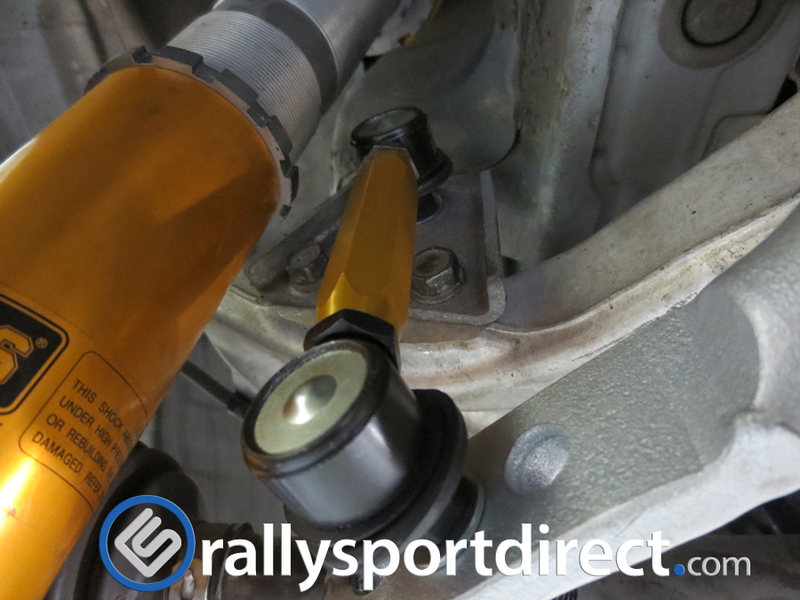 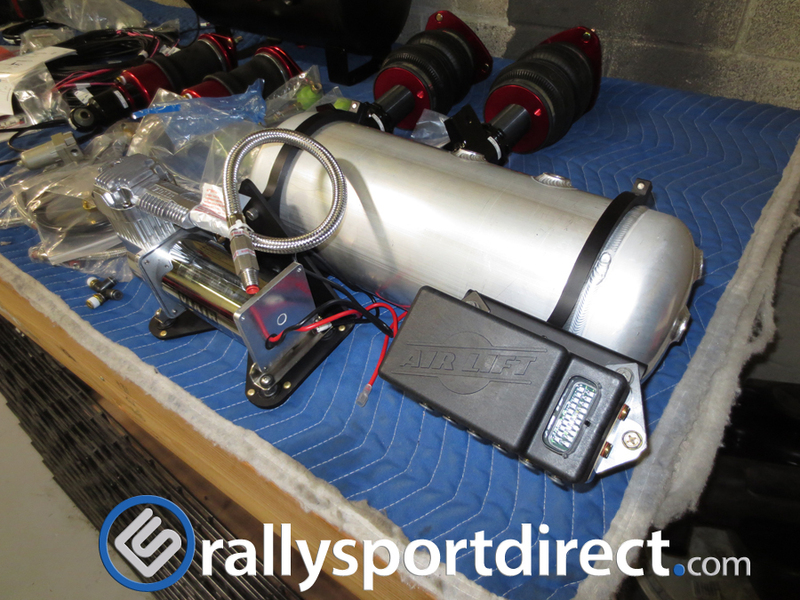 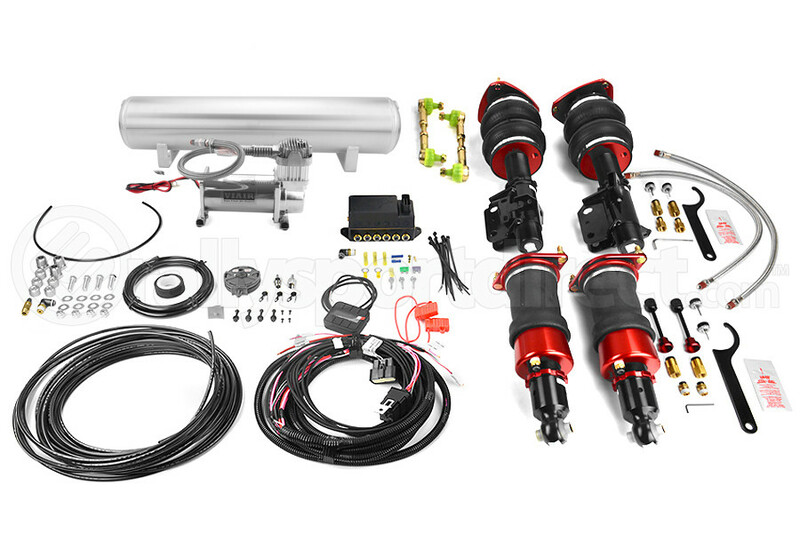 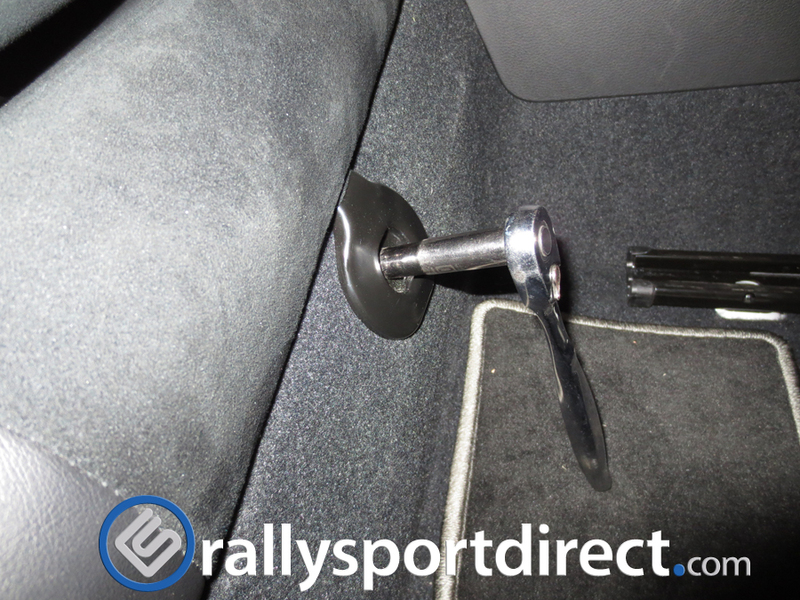 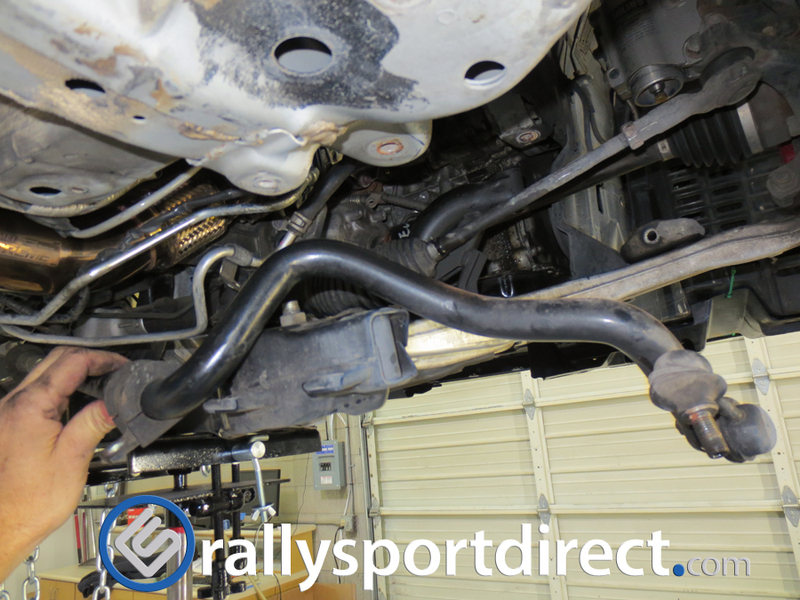 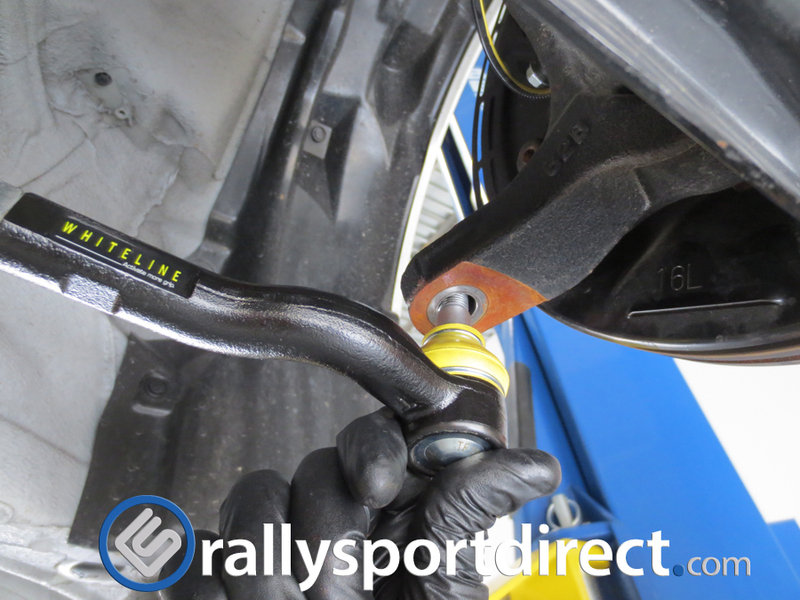 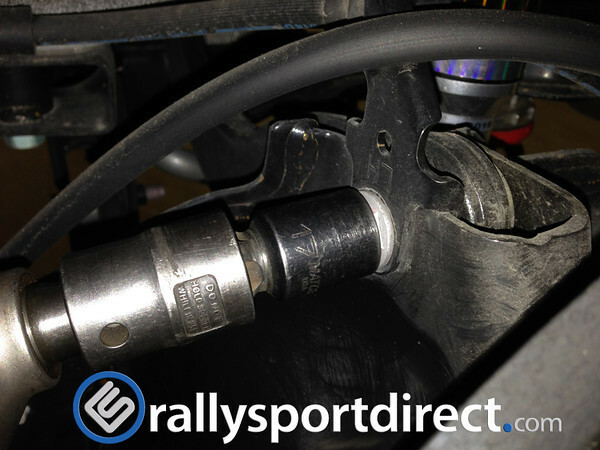 With the drivers side Eibach arm adjusted to length go ahead and install it using the same procedure to remove the factory unit but in reverse. 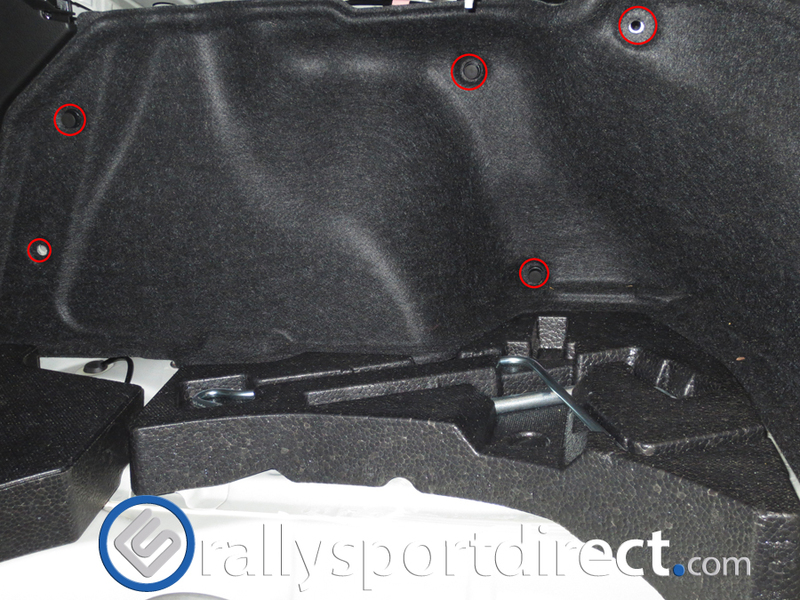 Moving onto the passenger side arm the procedure will be nearly identical with the exception that the inner bolt is a litte tricky to remove, at least on our 2013 it was. 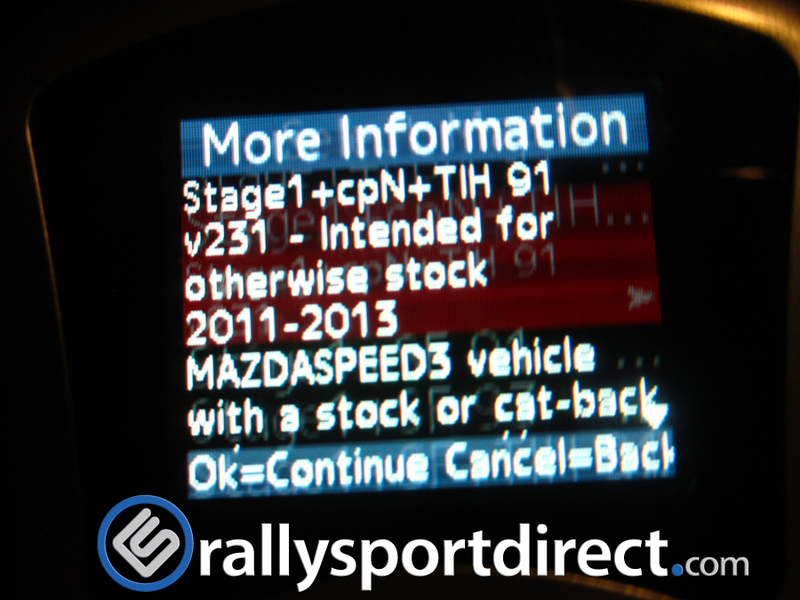 I assume this will apply to all years. 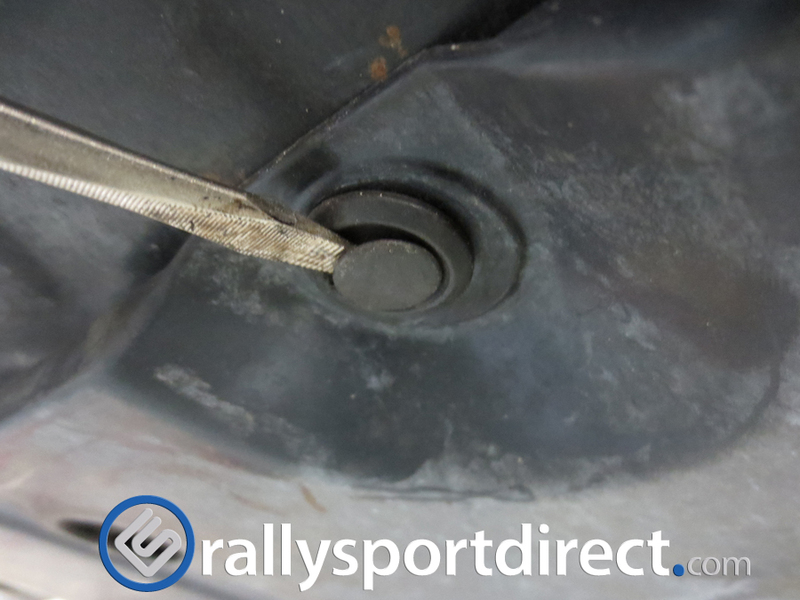 In order to remove the inner bolt you’ll have to get it to clear this shield. 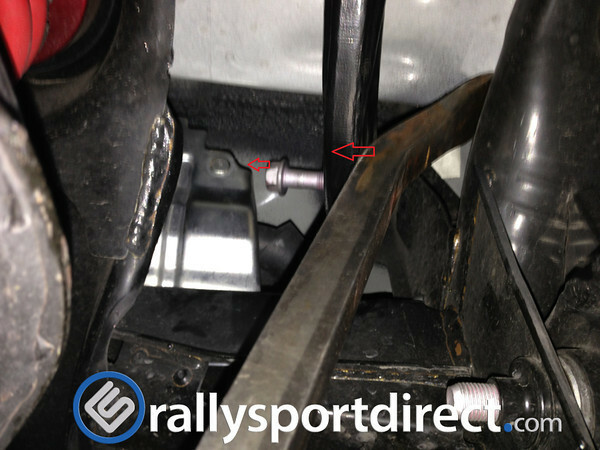 To solve this problem I used a long pry bar against the arm to angle the bolt up just enough to clear the shield. 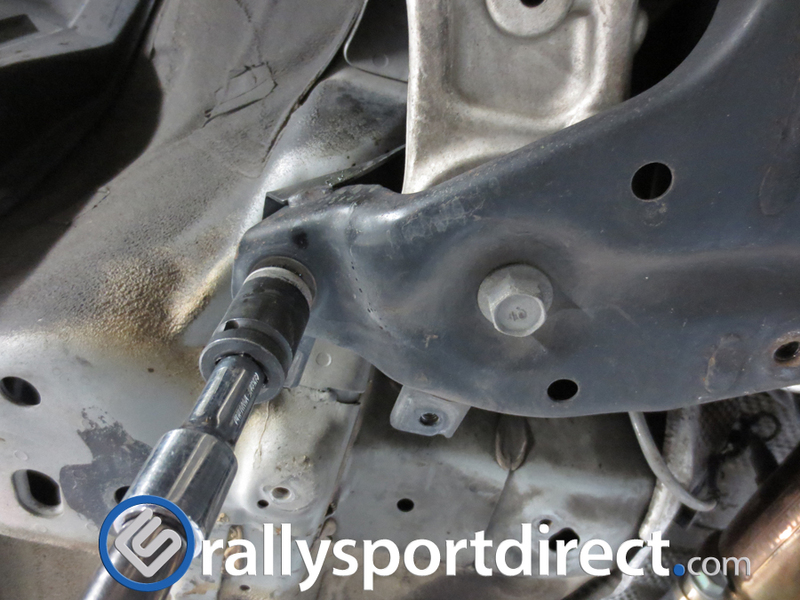 Once the passenger side arm is out I used the same procedure of matching up the inner holes with a 17mm bolt and adjusting the outter end on the Eibach arm to match the hole up exactly to the factory one and reinstalled. 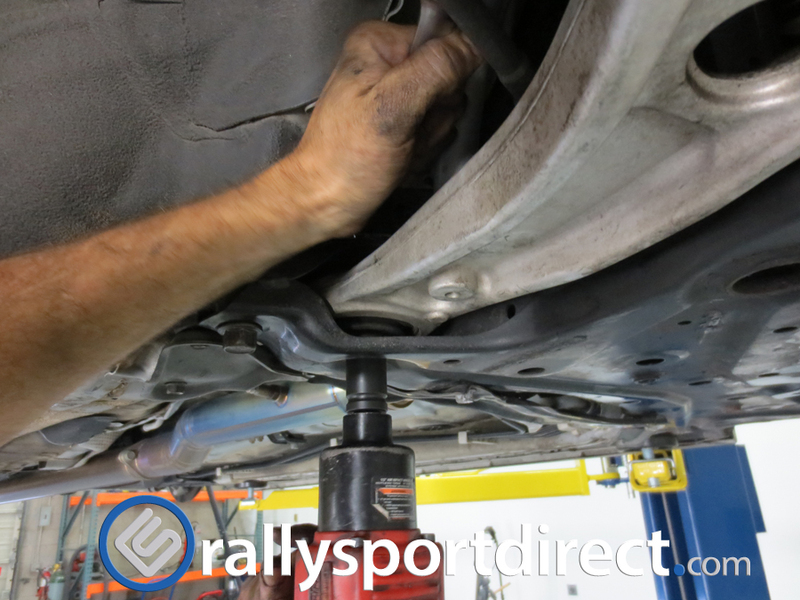 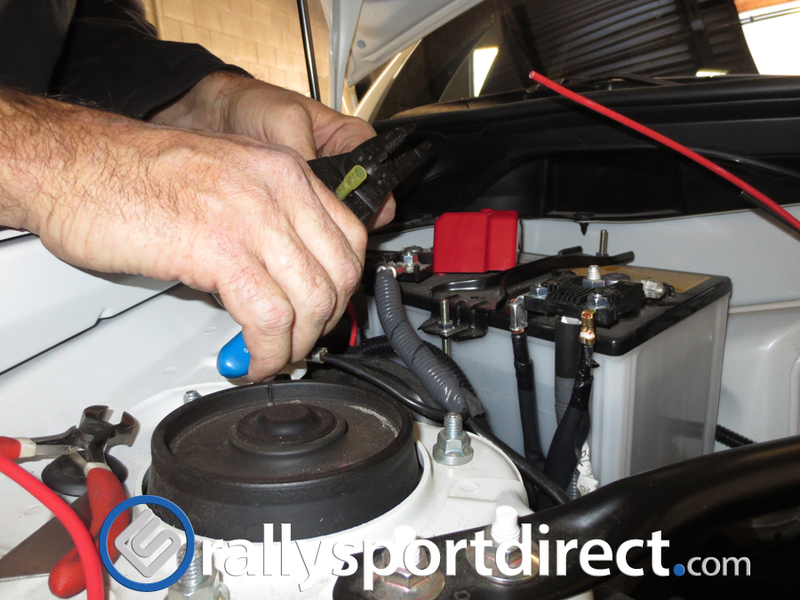 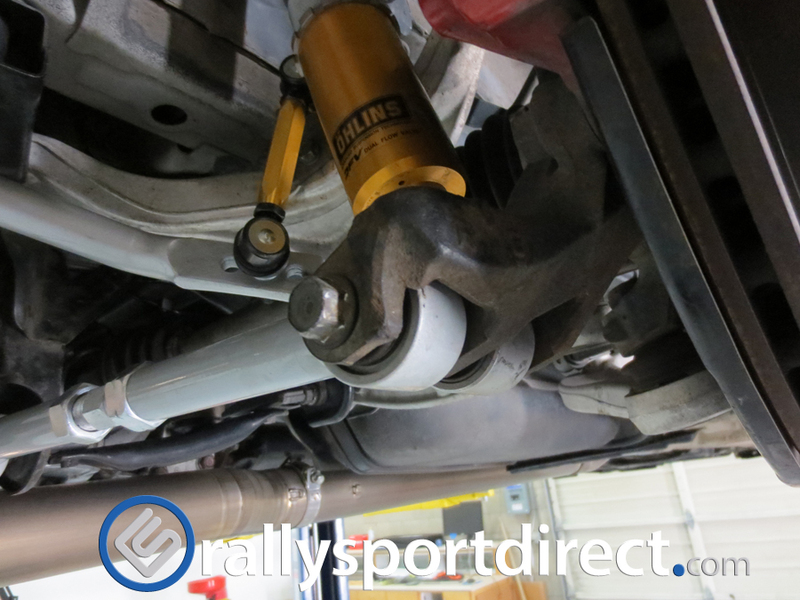 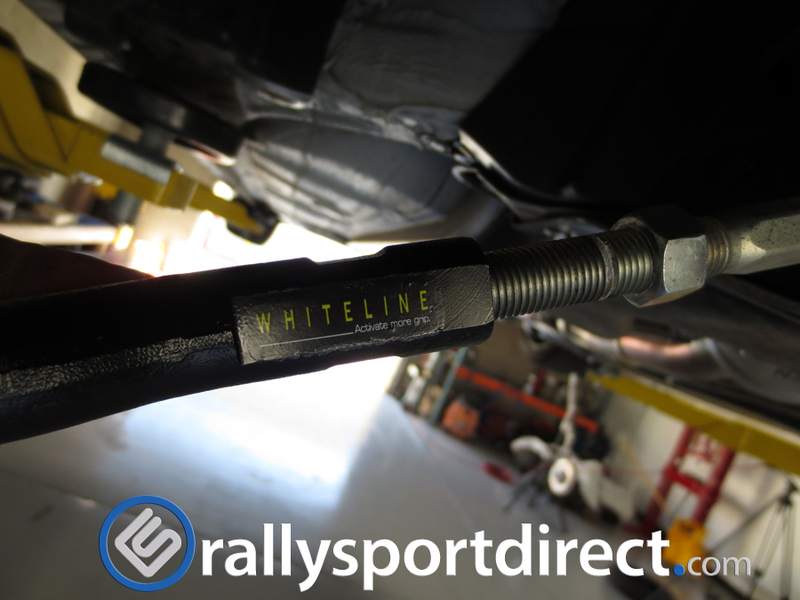 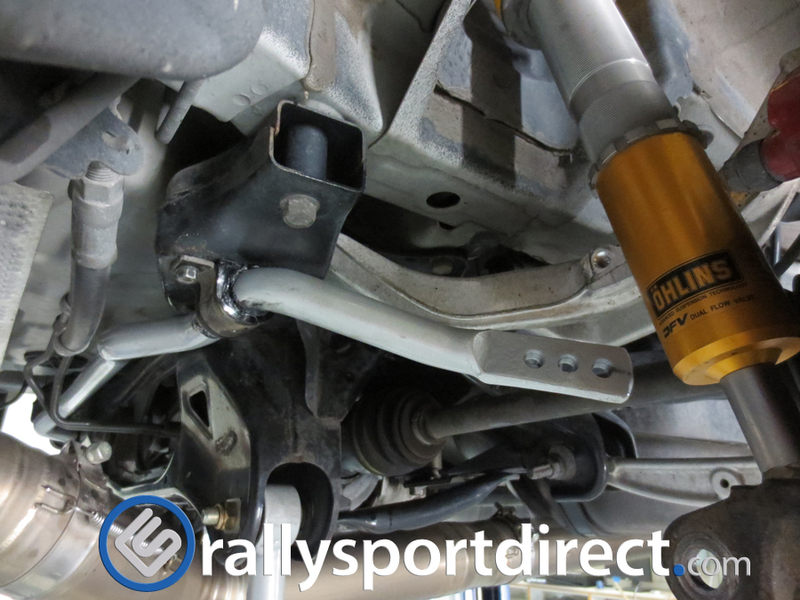 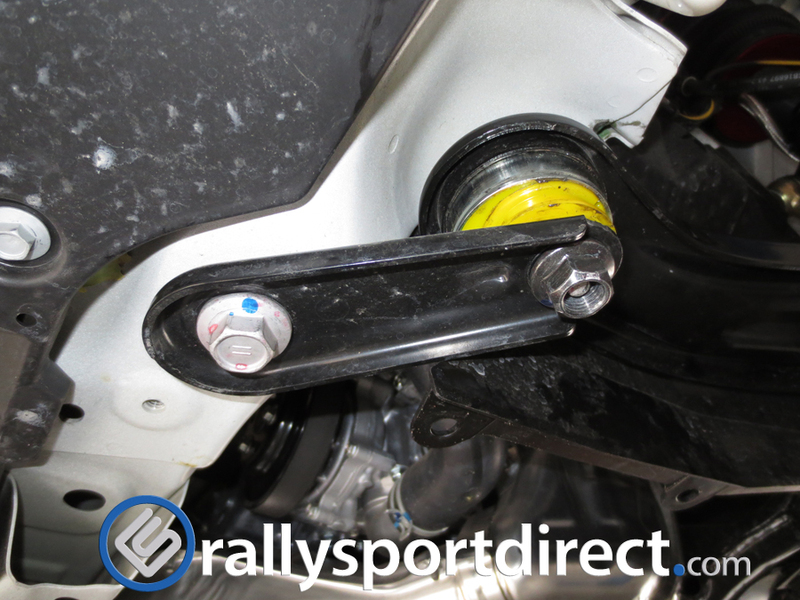 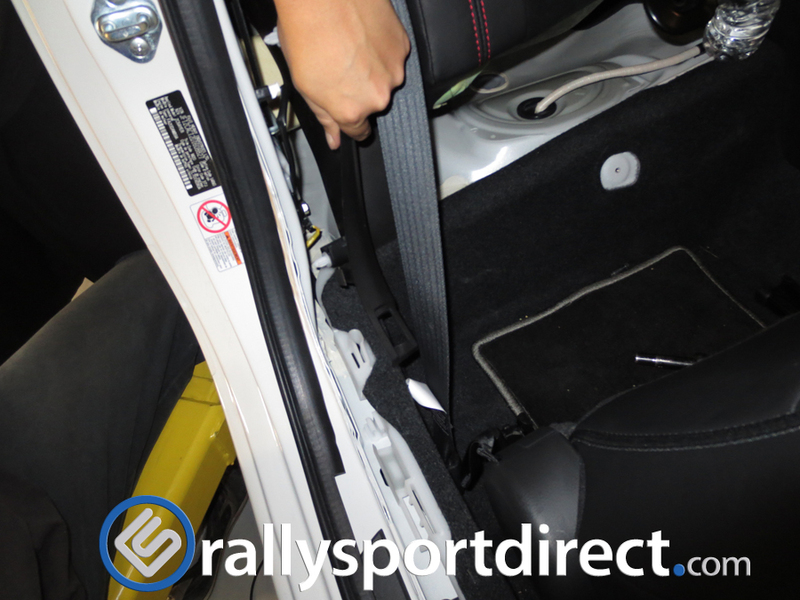 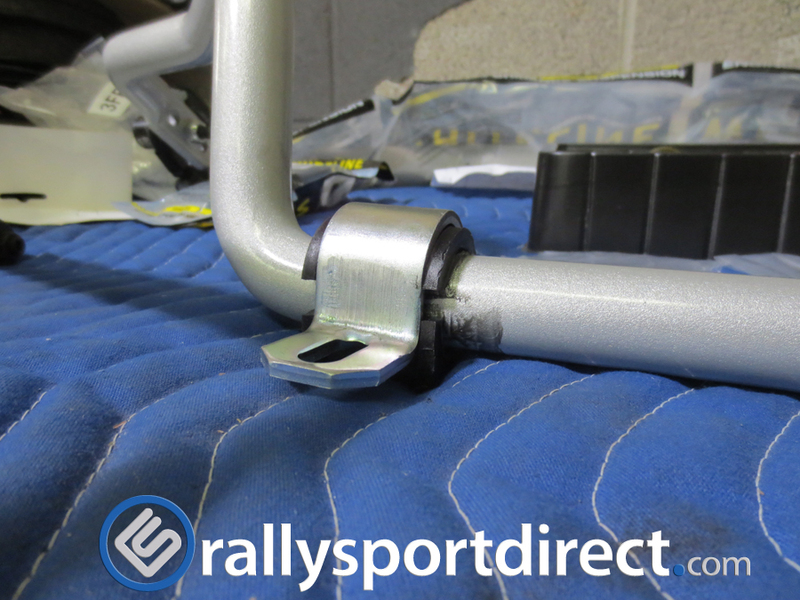 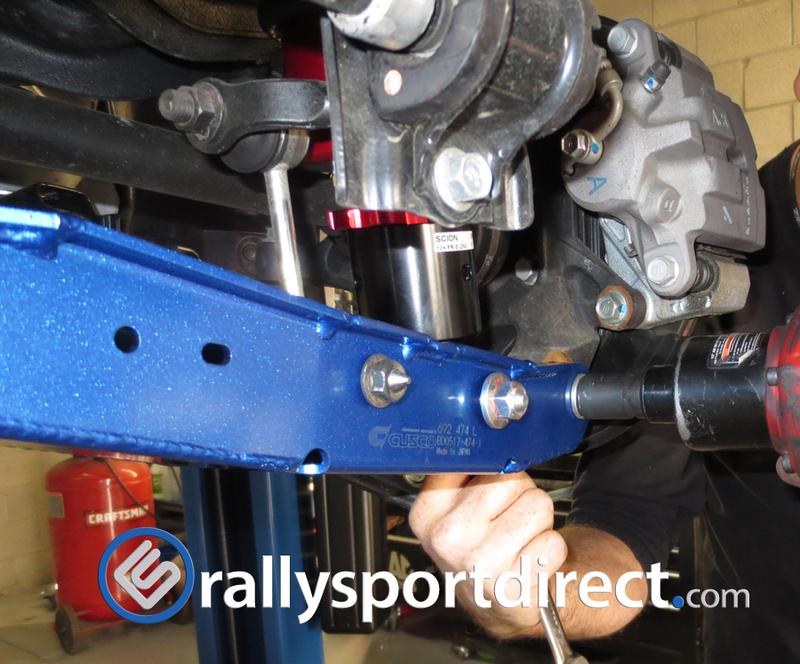 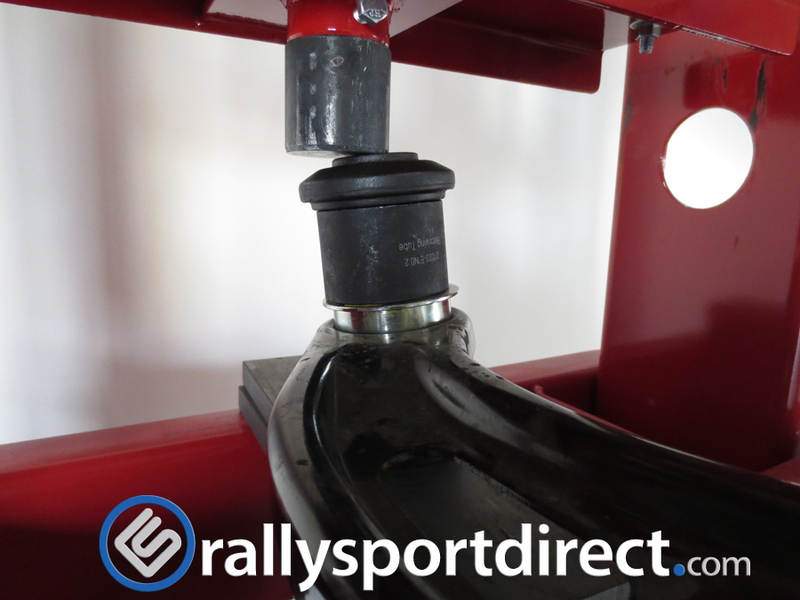 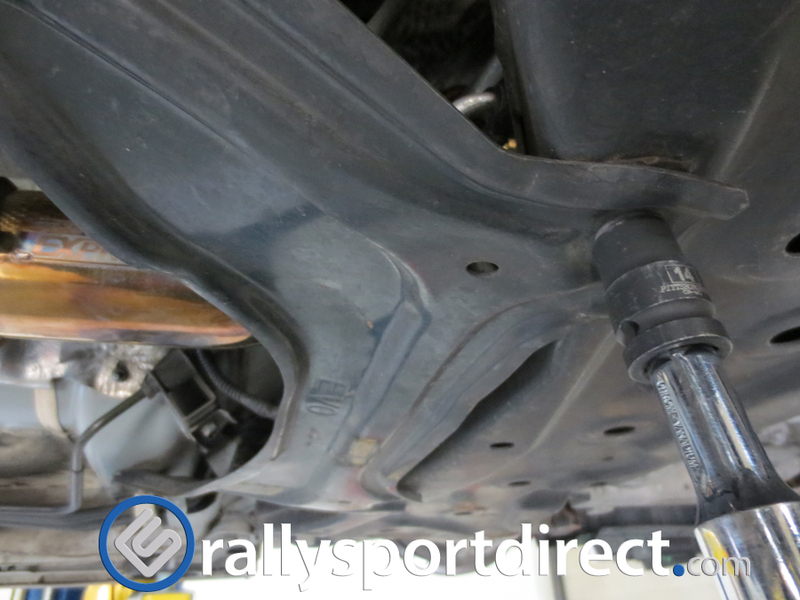 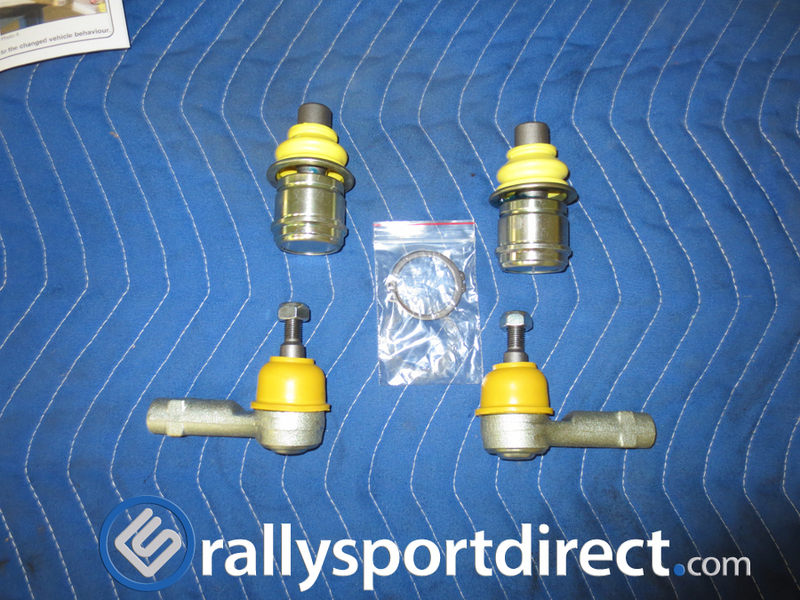 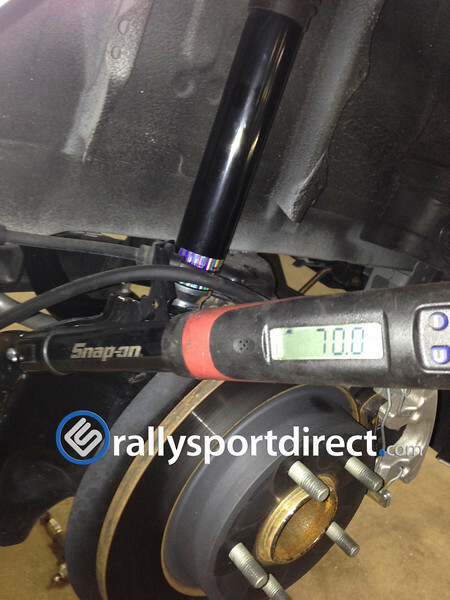 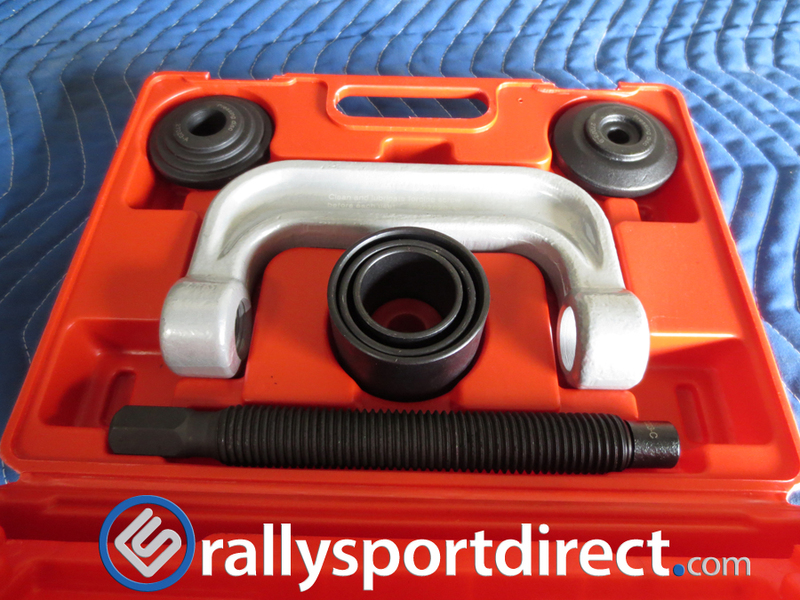 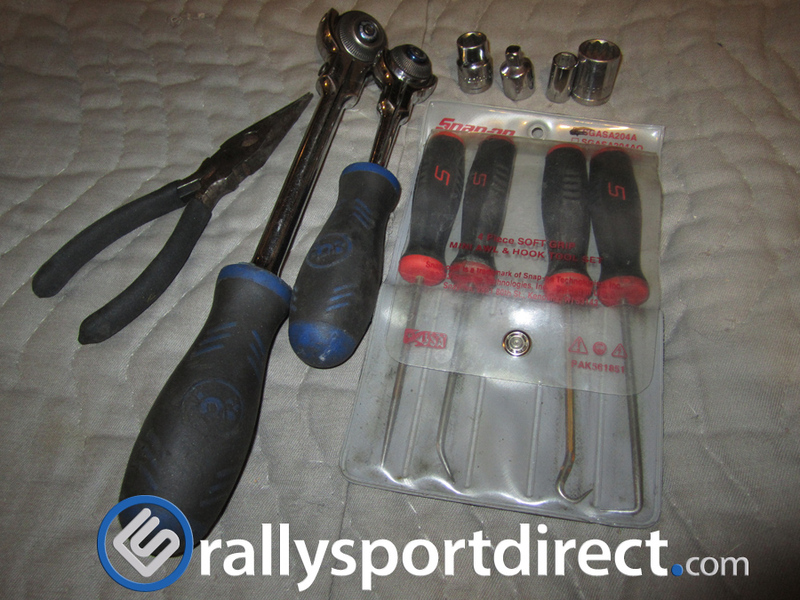 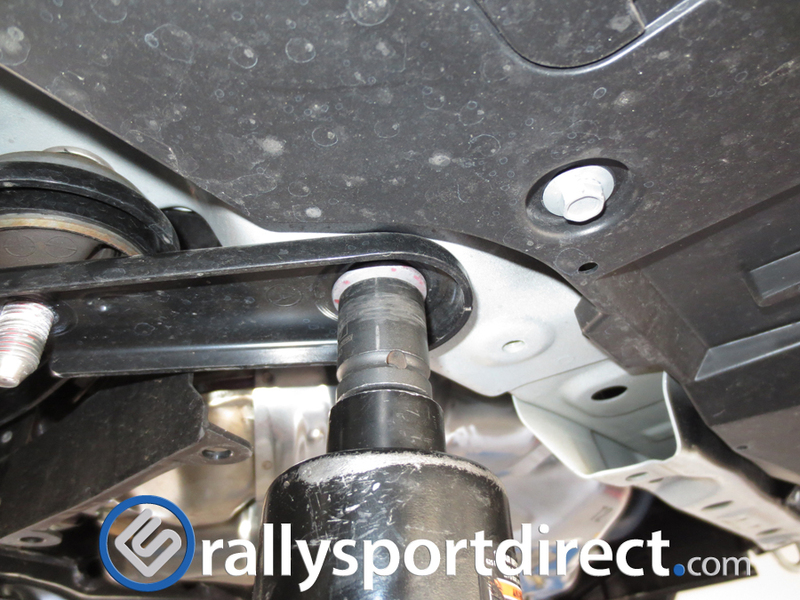 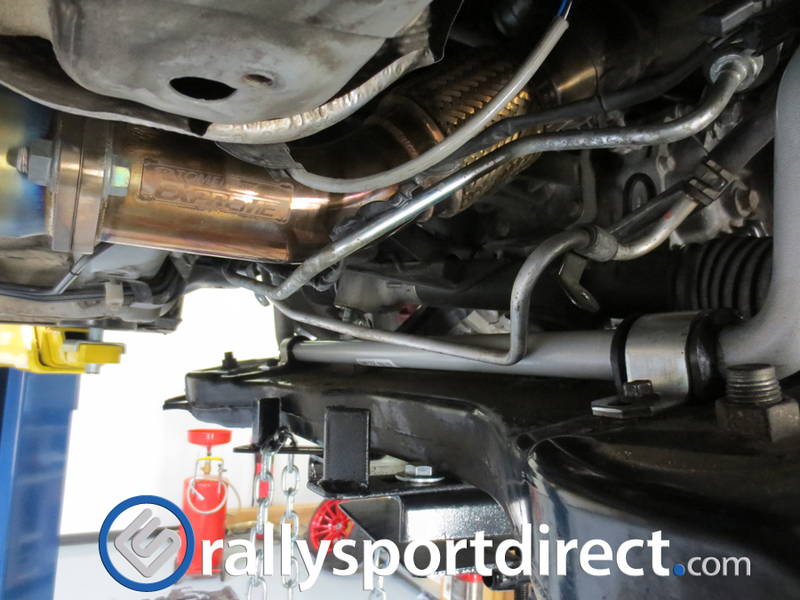 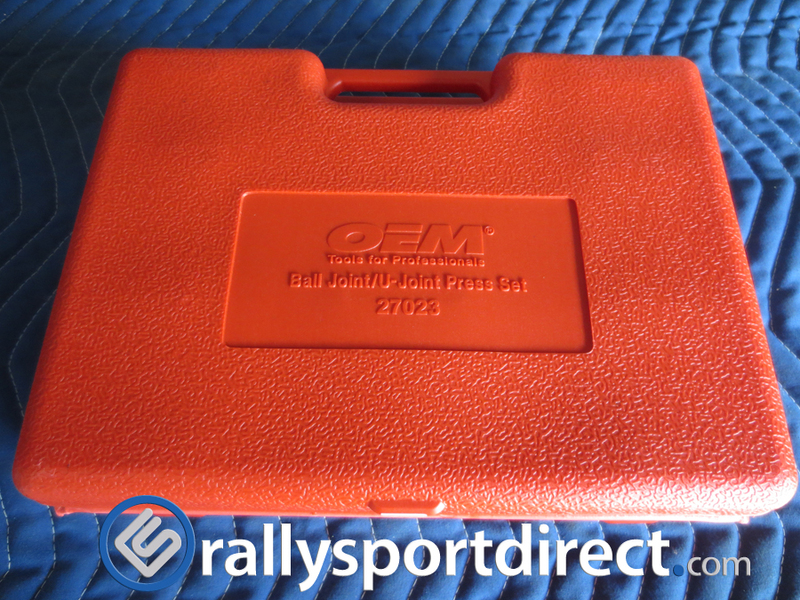 Now that both Eibach arms are installed you want to ensure that you torque the 17mm bolts and the 13mm bolts on the arms to the proper specification. 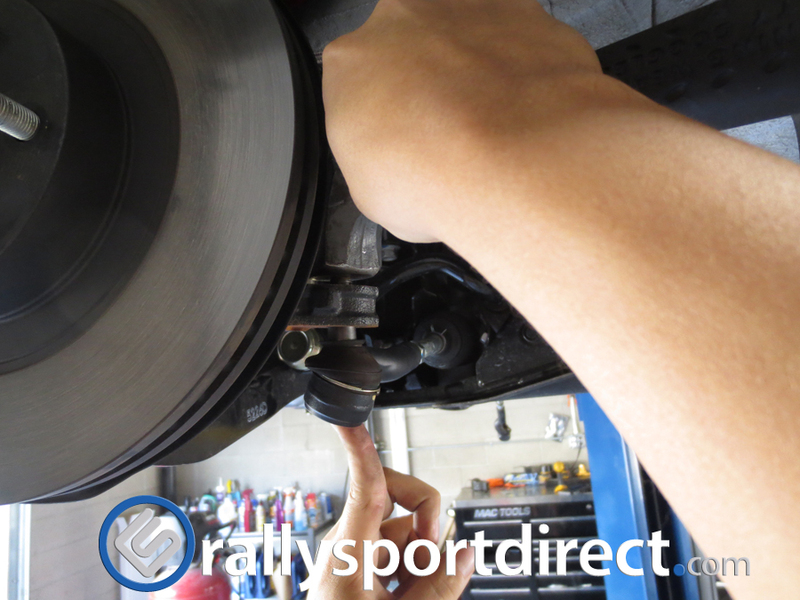 The factory service manual states to torque all 4 17mm bolts to 57-75ft/lbs. 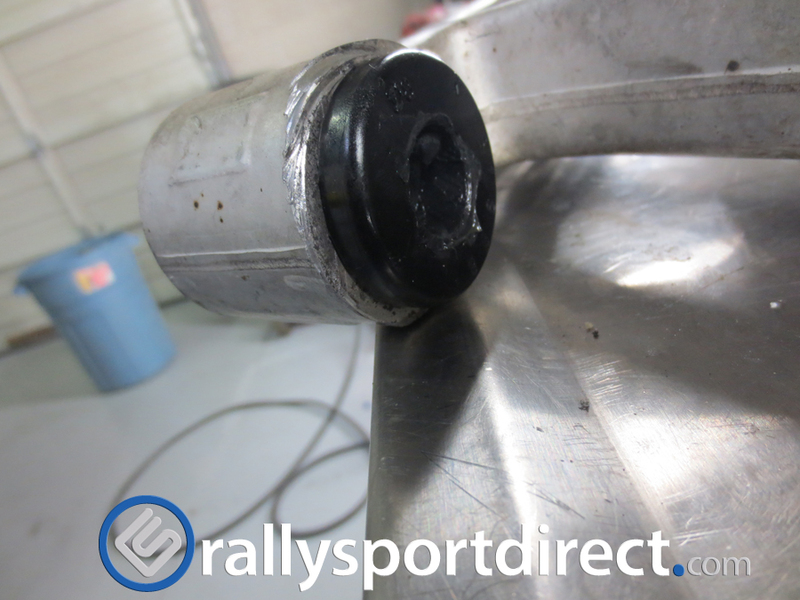 Eibach wants the lock bolt/nut on the arms torqued to 20ft/lbs but you can’t exactly get a torque wrench in there so just don’t try to overtighten it. 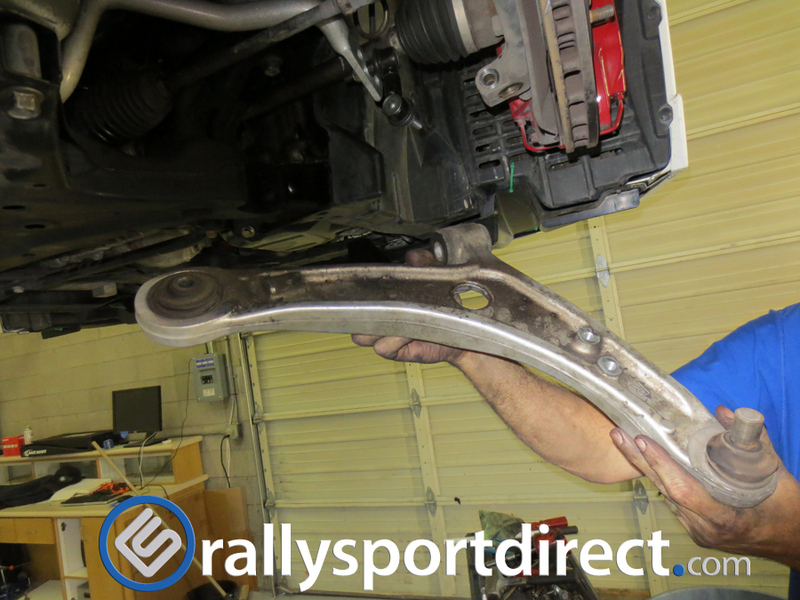 It is fairly easy to reach 20ft/lbs with a ratcheting wrench. 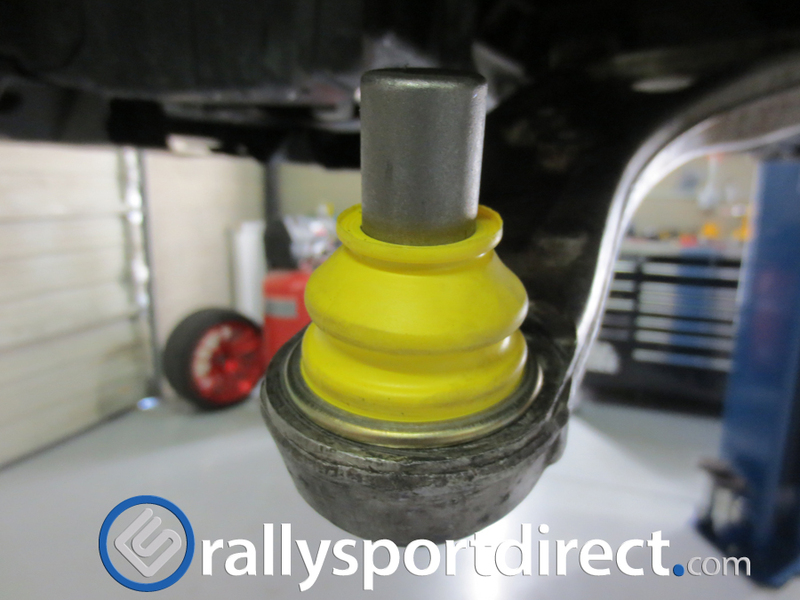 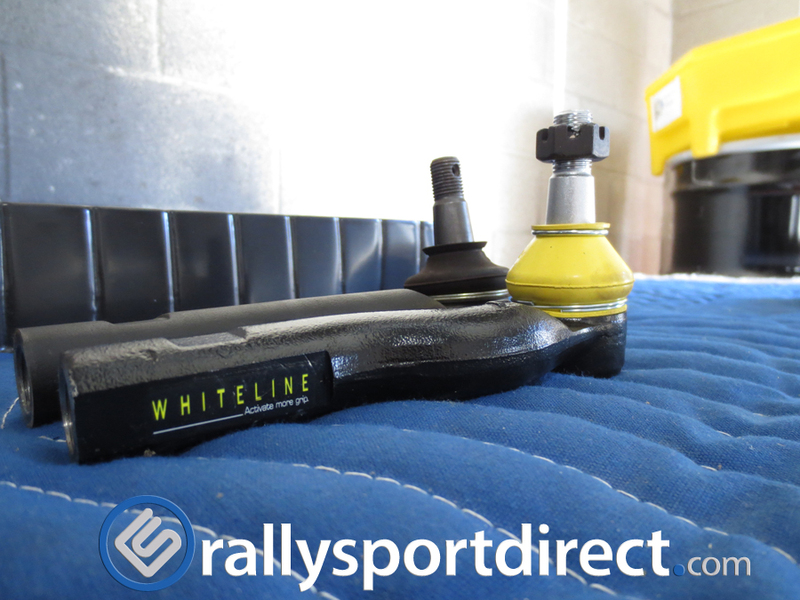 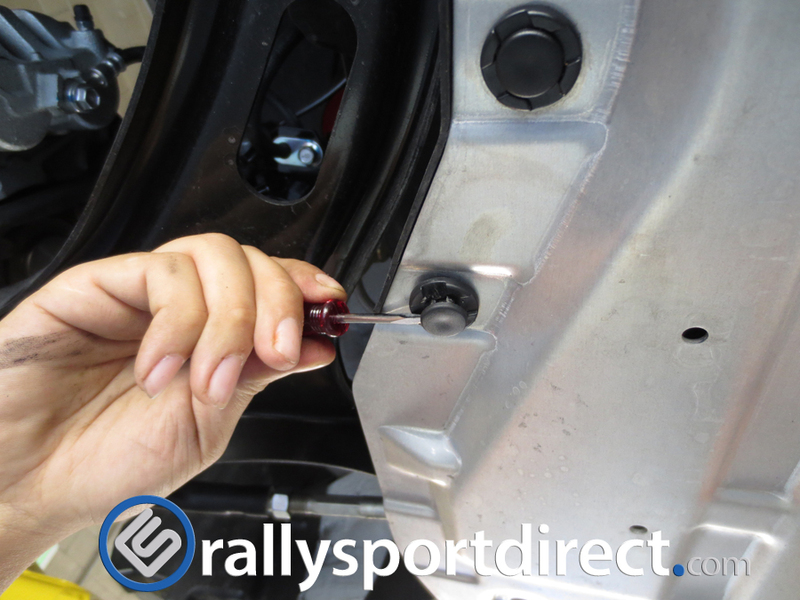 Reinstall your wheels and ensure you torque your lug nuts properly and you are DONE! 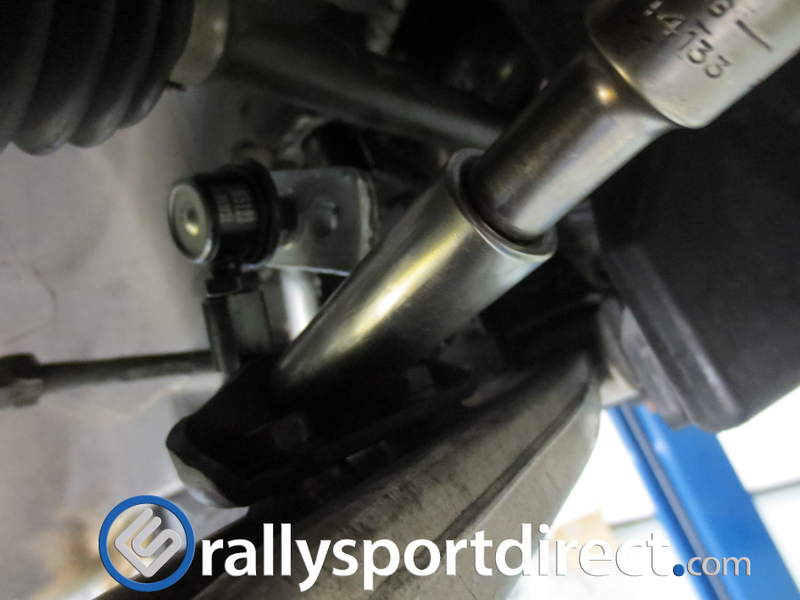 Ensure you take your car to get an alignment done as soon as possible. 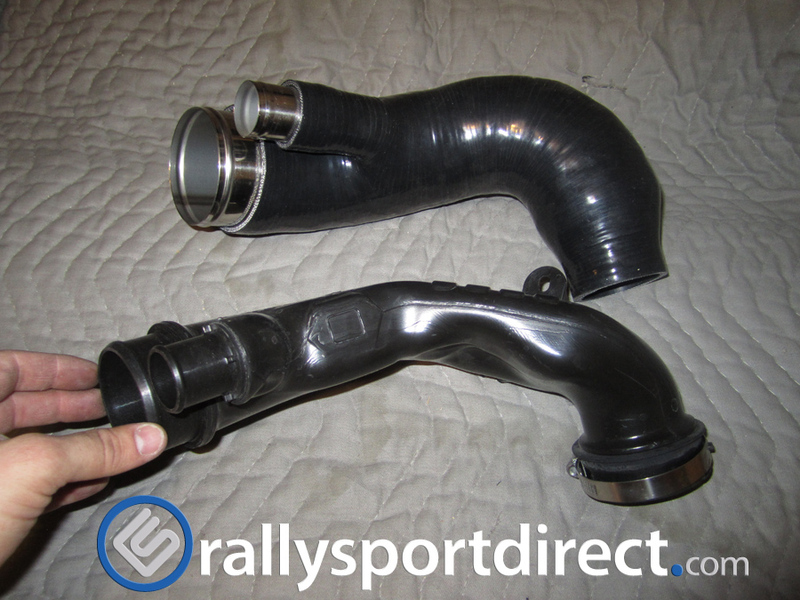 For those looking to upgrade their inadequate factory plastic turbo inlet pipe and want the most performance possible, look no further. 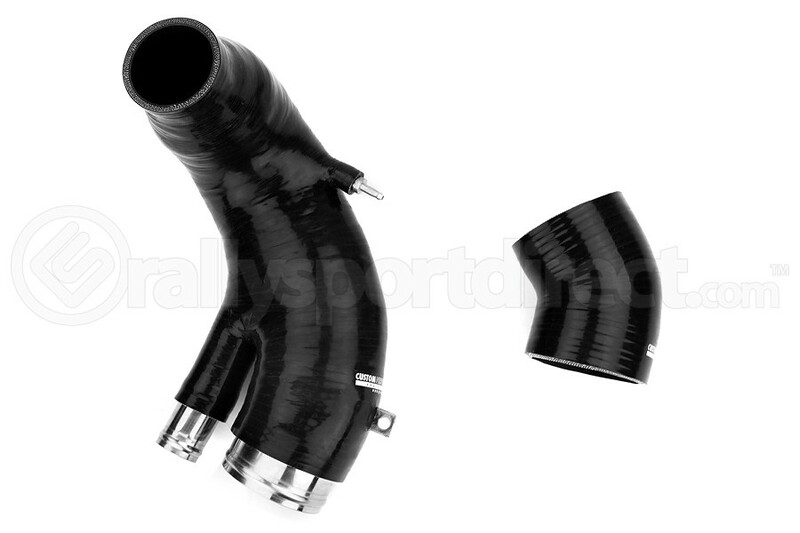 The cp-e™ Nviscid™ Pipe is without a doubt the optimal solution for both stock and GT series turbos thanks to its versatility, low-restriction design, and thermal insulation properties. 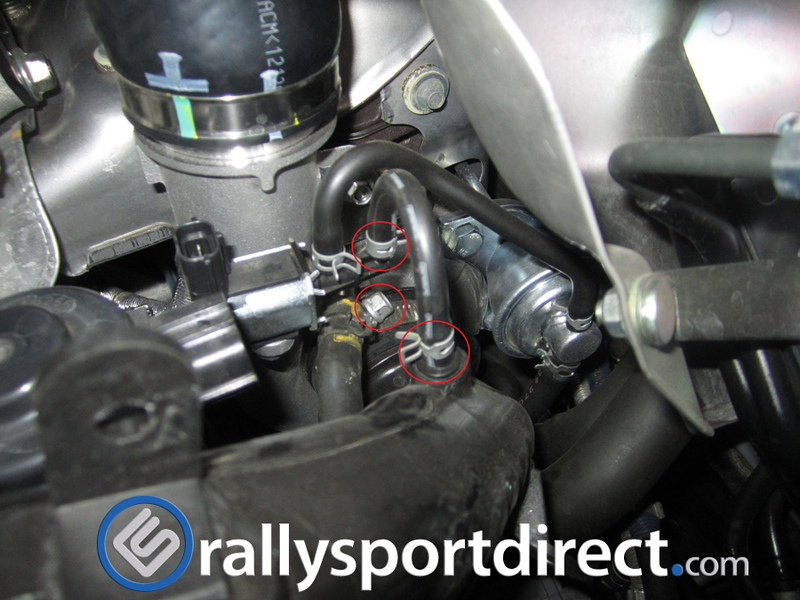 Turbos work most effectively when they have no restriction on the inlet side. 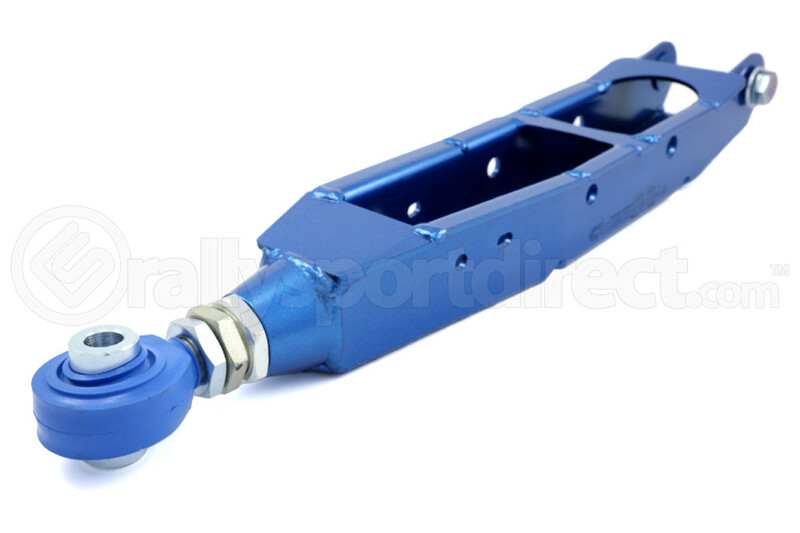 The Nviscid™ Pipe poses the lowest restriction to stock and GT turbos alike because it offers a tremendous 3-inch cross-sectional flow area throughout. 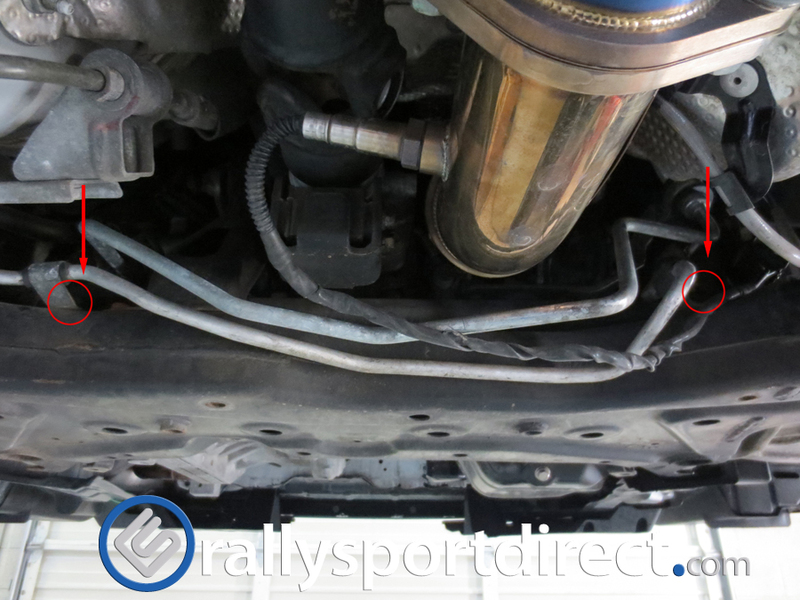 This is accomplished thanks to the pipe’s non-uniform cross-sectional area, which is made possible by the silicone construction. 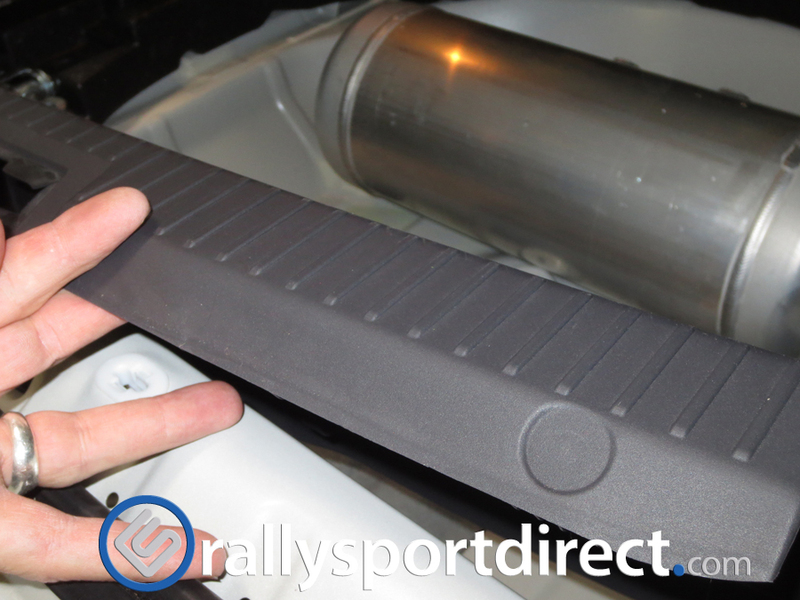 The silicone also doubles as an excellent thermal barrier. 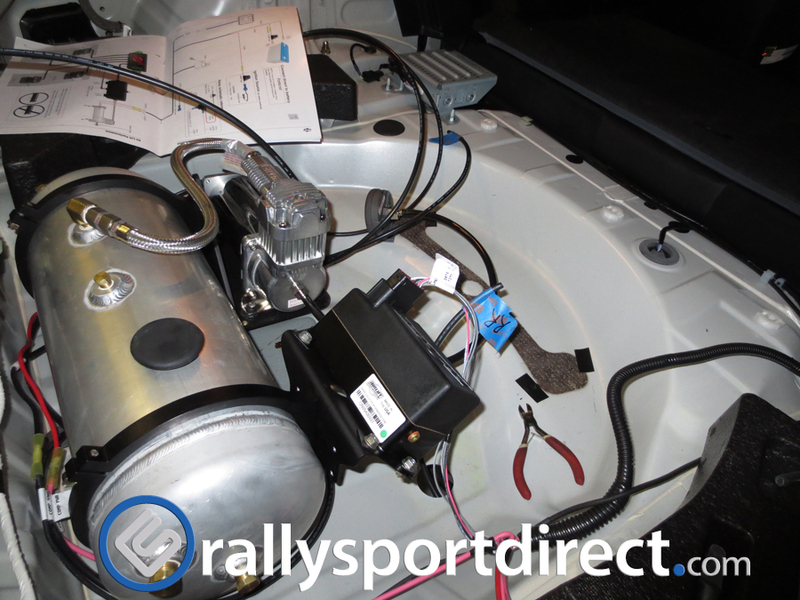 Cold air is denser than hot air, and will ultimately have more power producing potential. 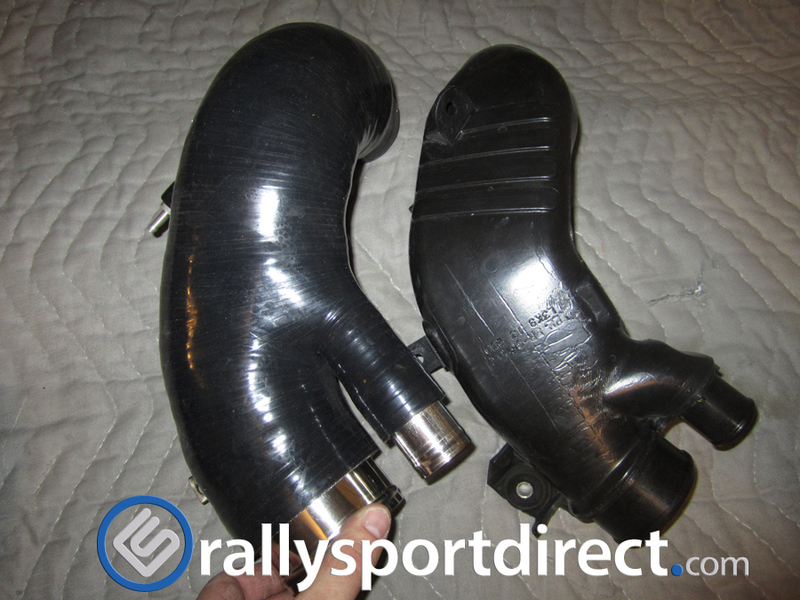 To illustrate just how good silicone is at reflecting heat, it’s about 1000-times better at insulating than aluminum. 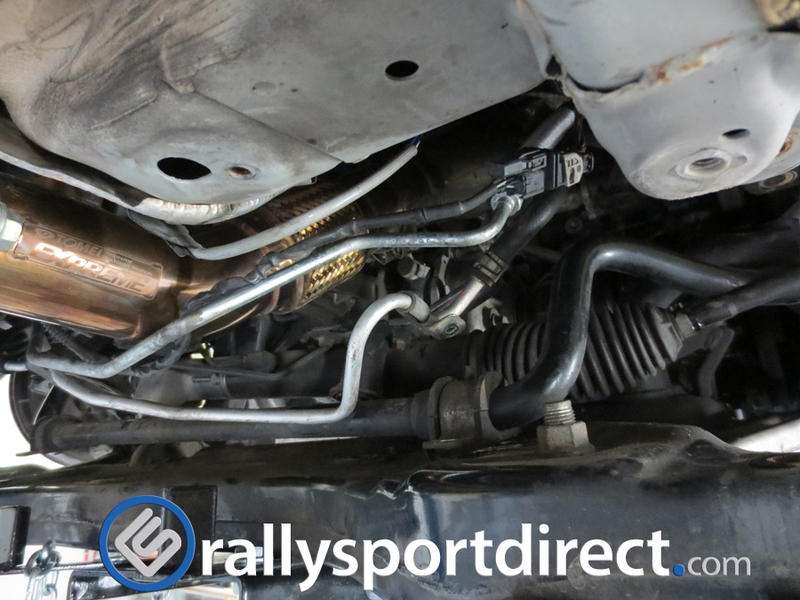 The pipes also come with slick details like steel wire re-enforcement to prevent collapsing under vacuum, it features all stock brackets and mounting tabs, and also utilizes steel inserts for cold air intake and bypass valve recirculation attachments. 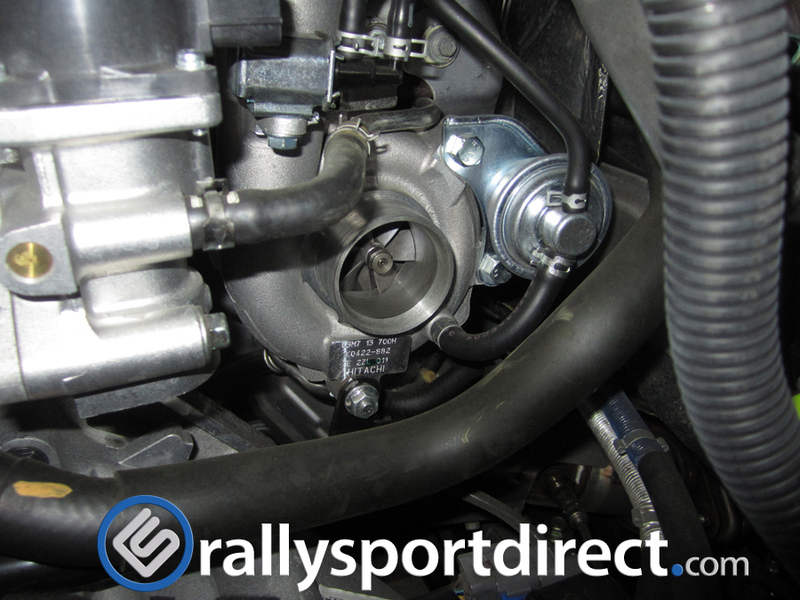 Now you can have a true 3” turbo inlet without all the normally associated headaches. 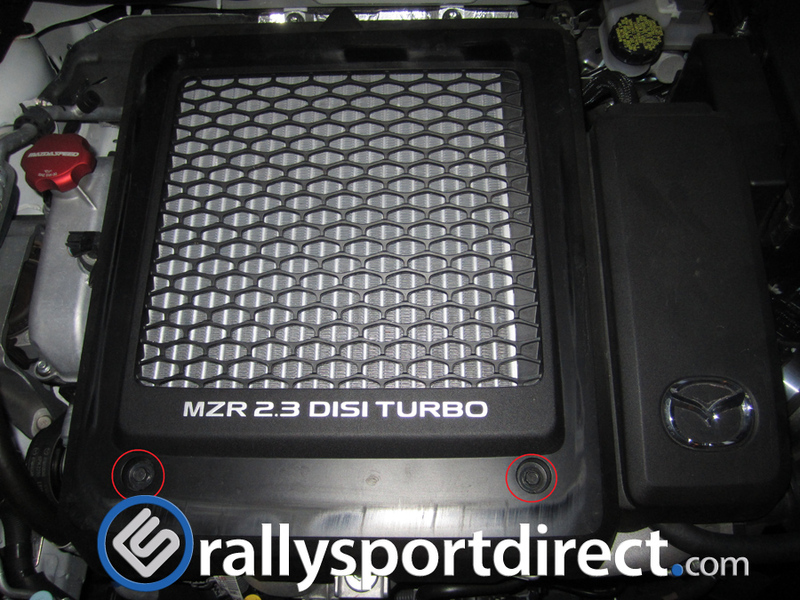 Both the GT series and stock turbo inlets will fit without any modifications to the vehicle, and come with all necessary hardware for installation. 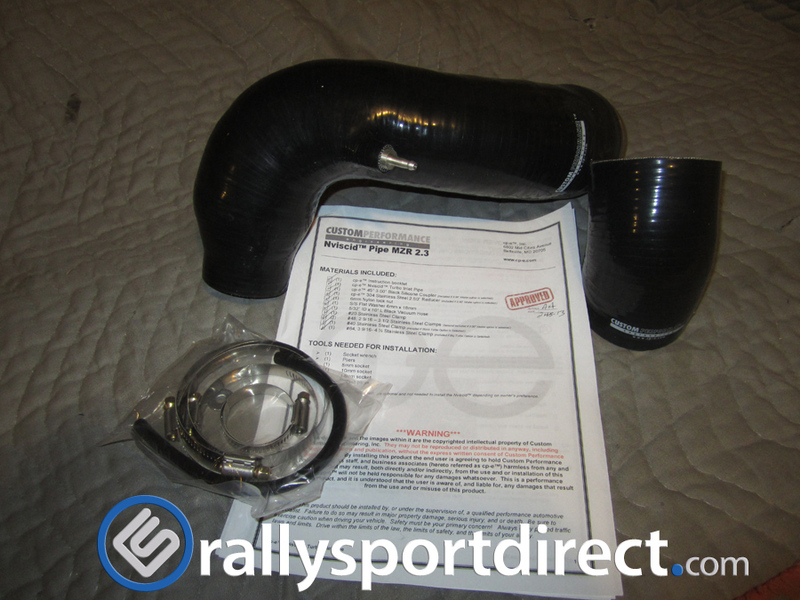 This turbo inlet is for cars with a 3″ aftermarket intake and the stock turbo. 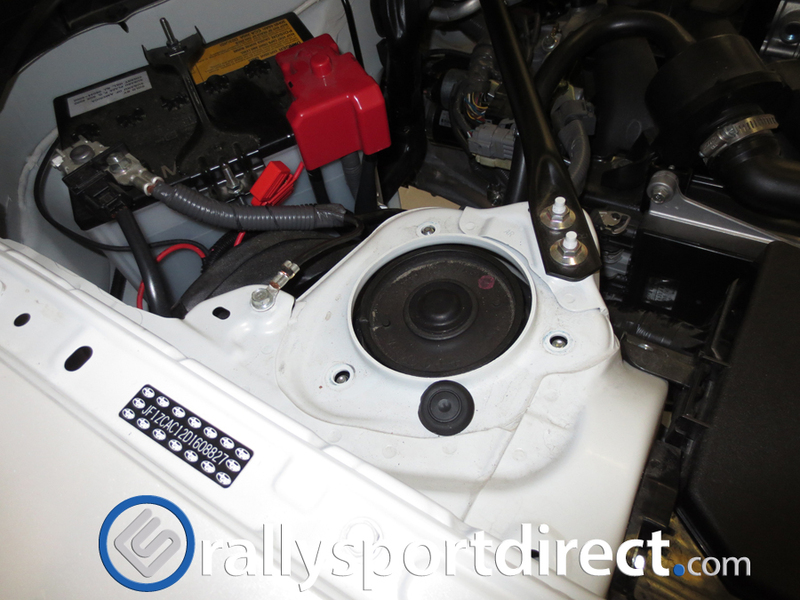 The install on this is moderate to easy, there isn’t much more you have to do after removing the intake to get the turbo inlet off. 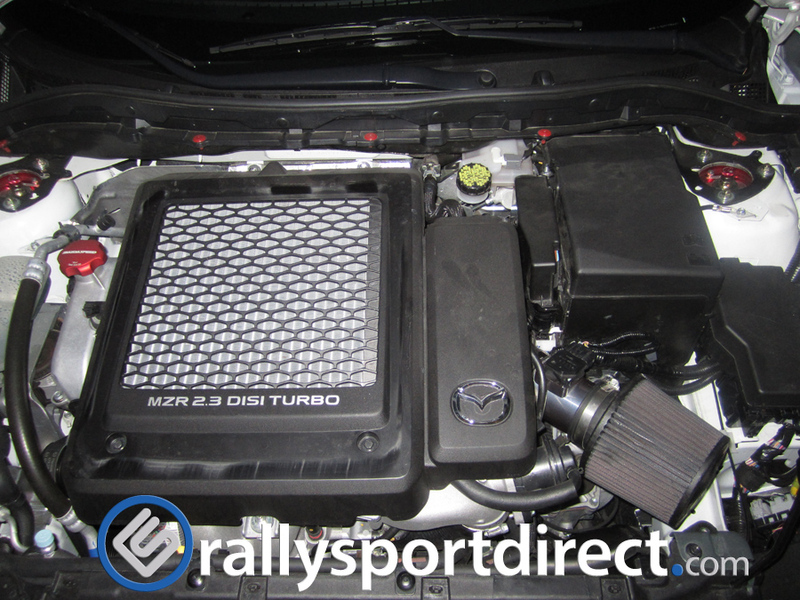 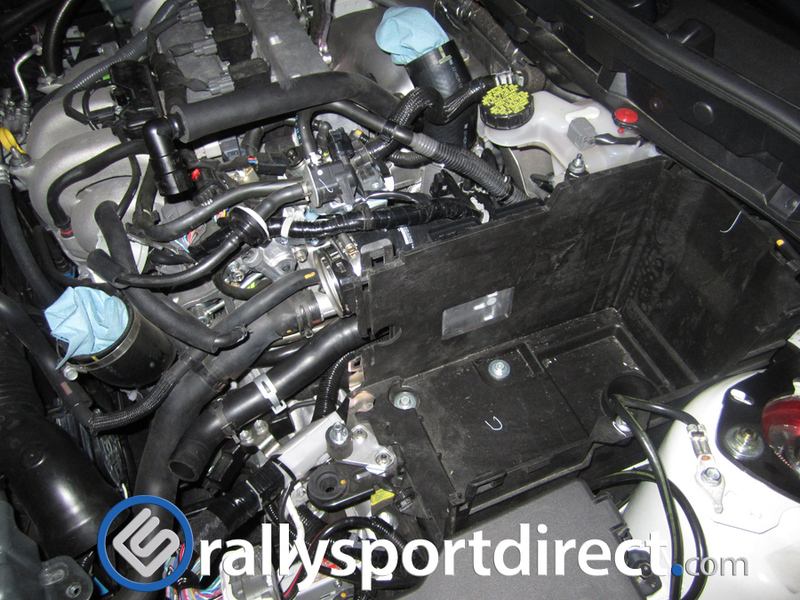 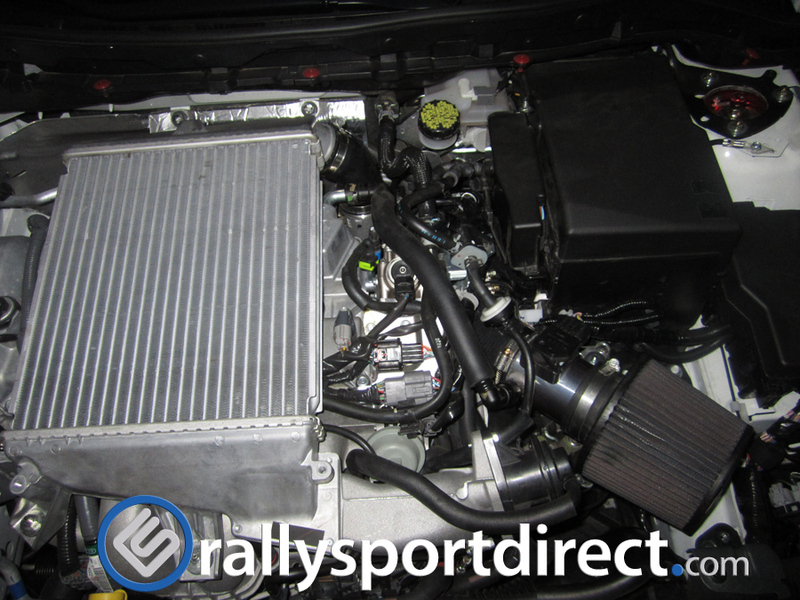 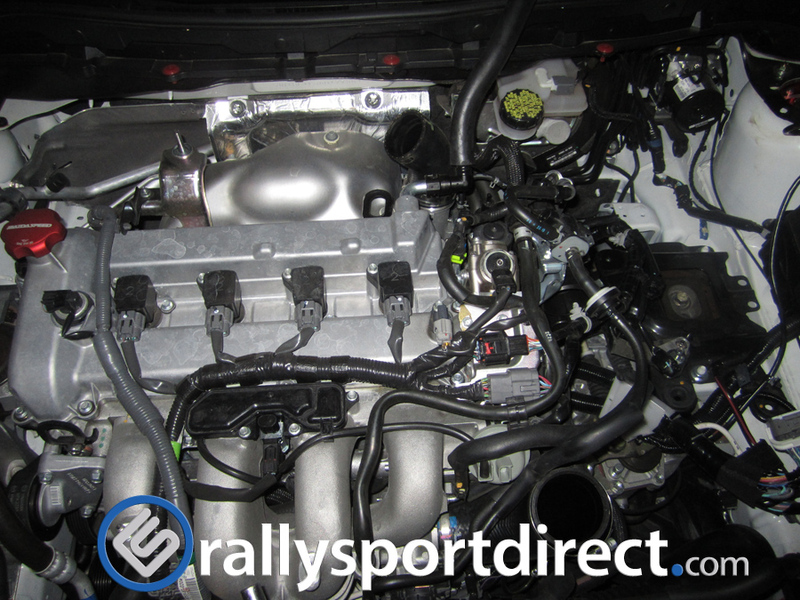 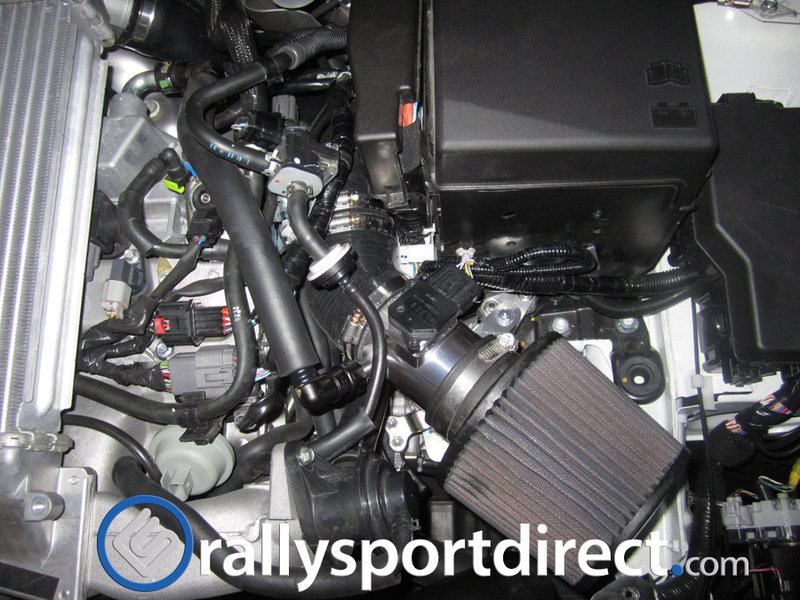 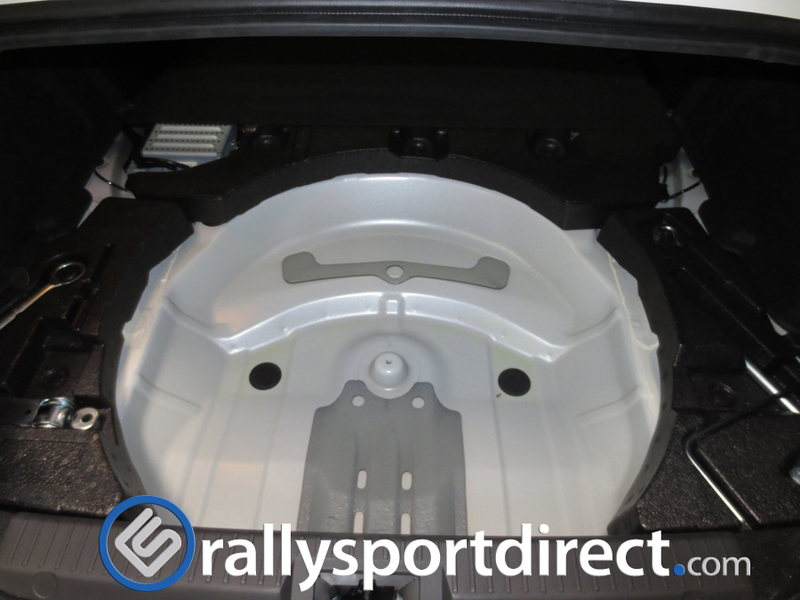 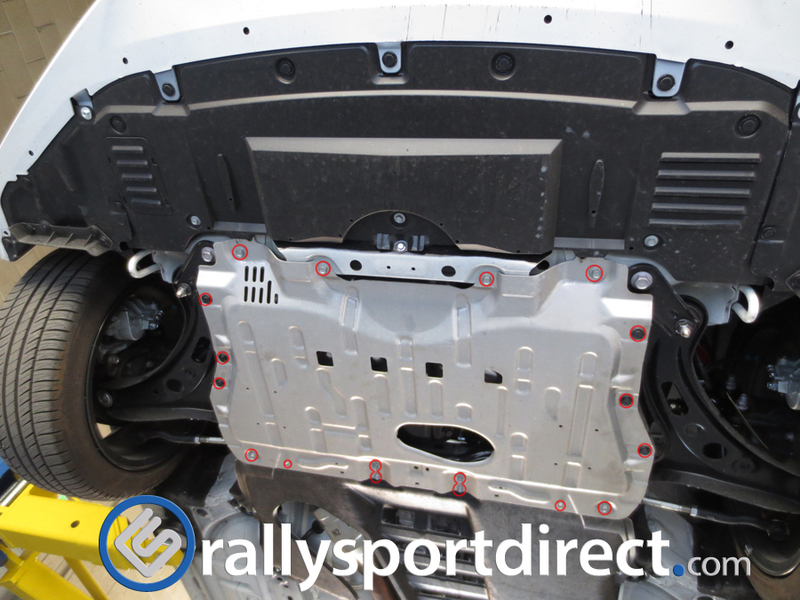 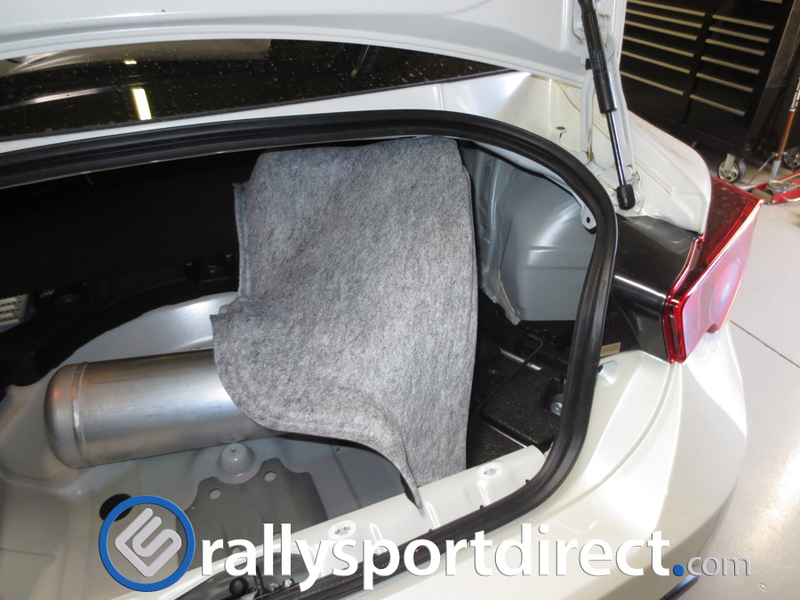 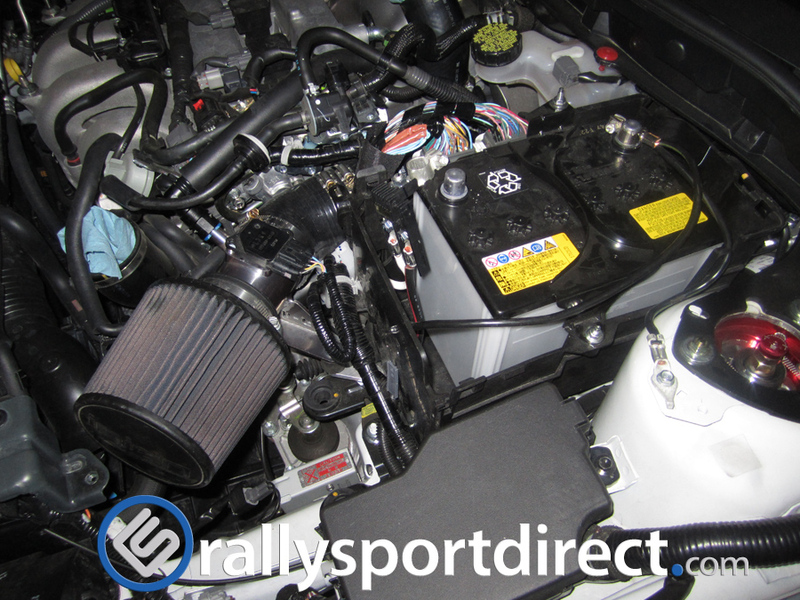 With everything you do in the engine bay on this car you’ll need to start off removing the intercooler shroud with a 10mm socket. 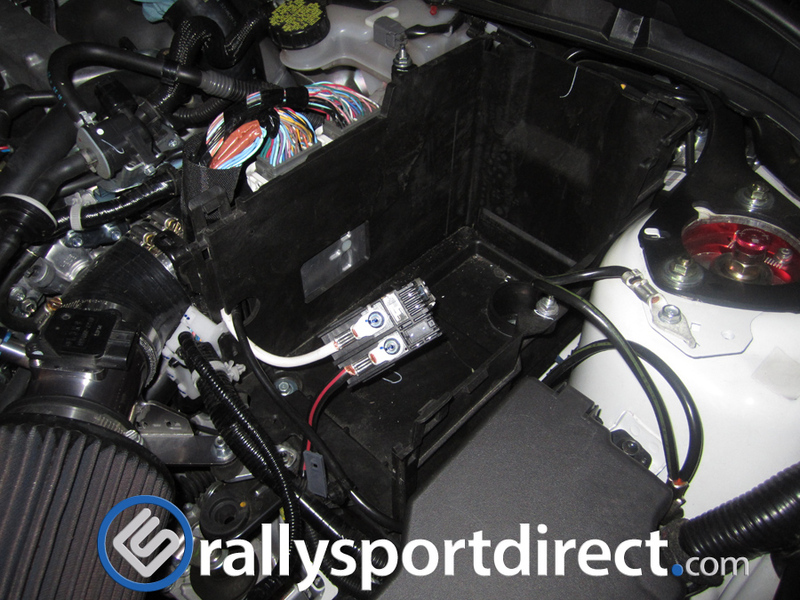 You can see here I’ve already removed the intake, battery and battery box. 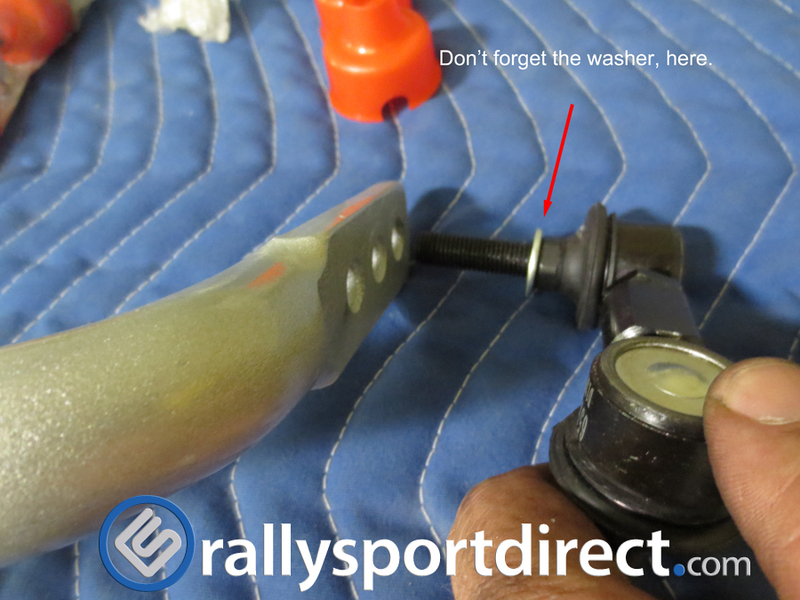 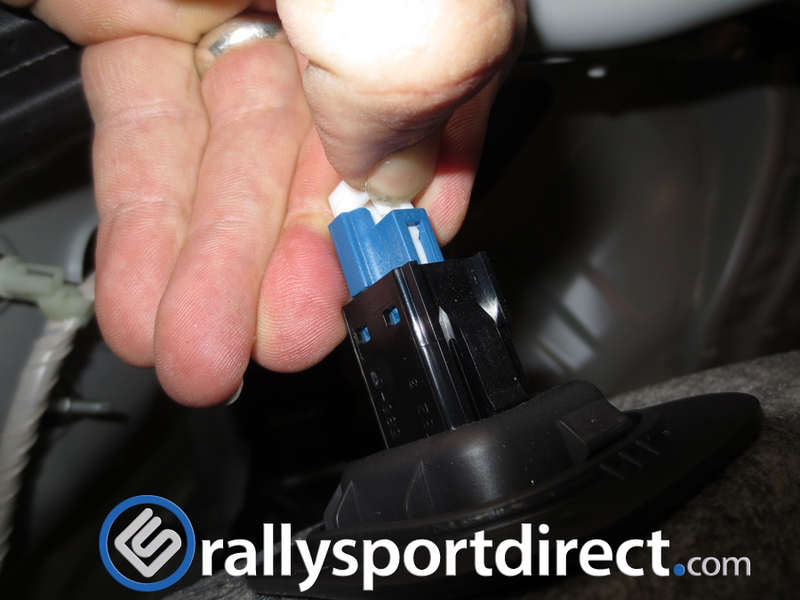 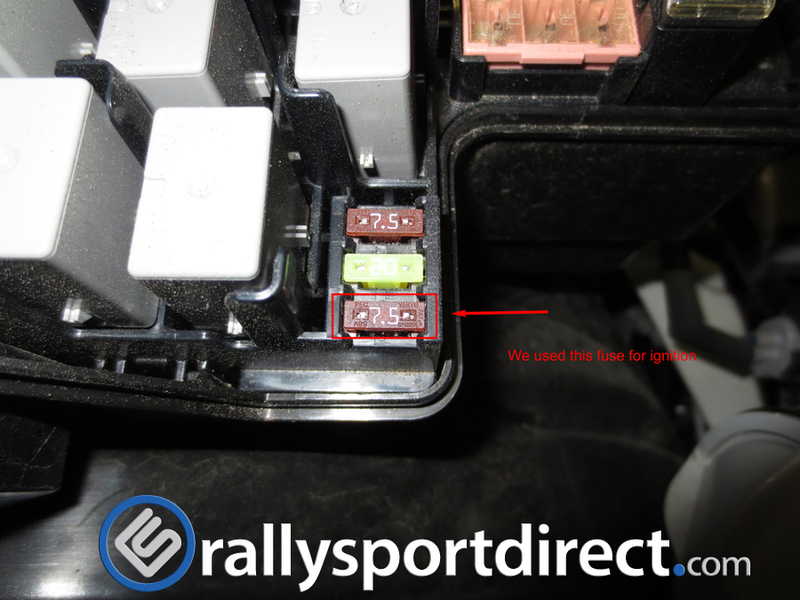 These parts are very easy to remove and are covered in the Autotech internals installation write-up I did if you need to reference it. 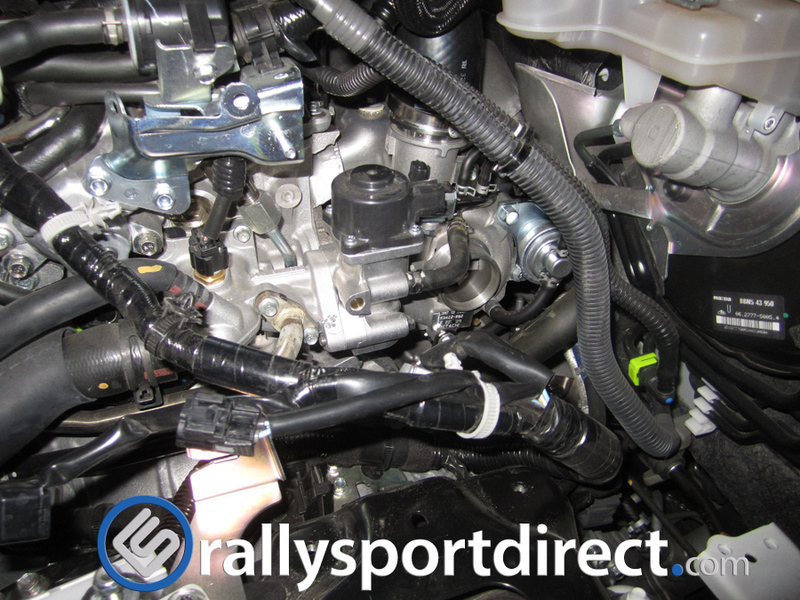 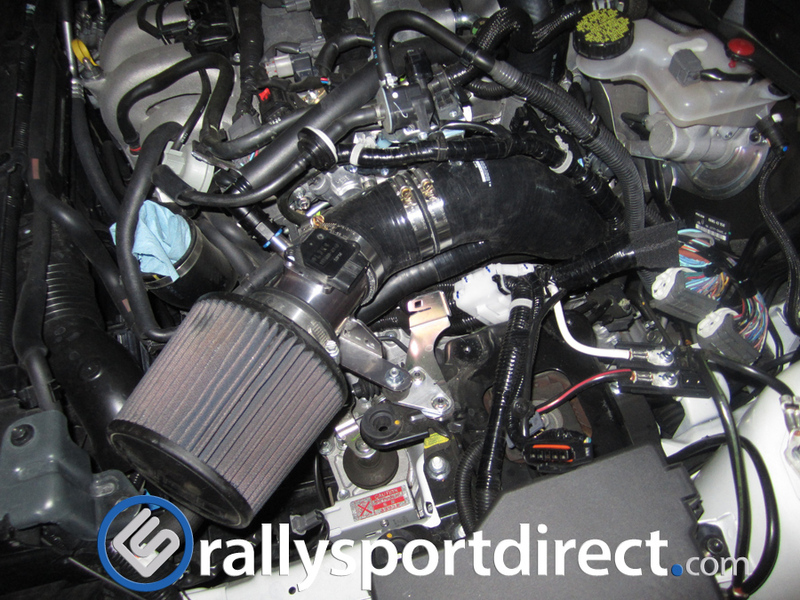 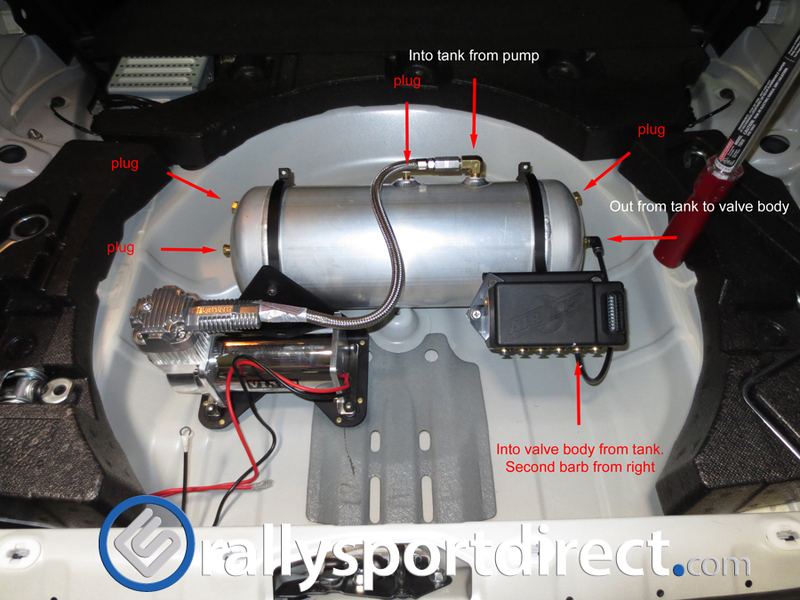 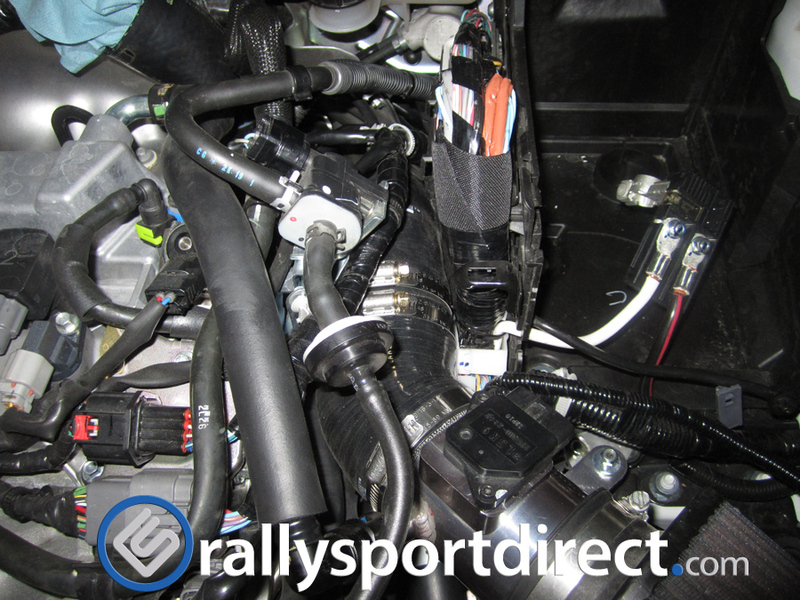 Remove everything connected to the factory turbo inlet. 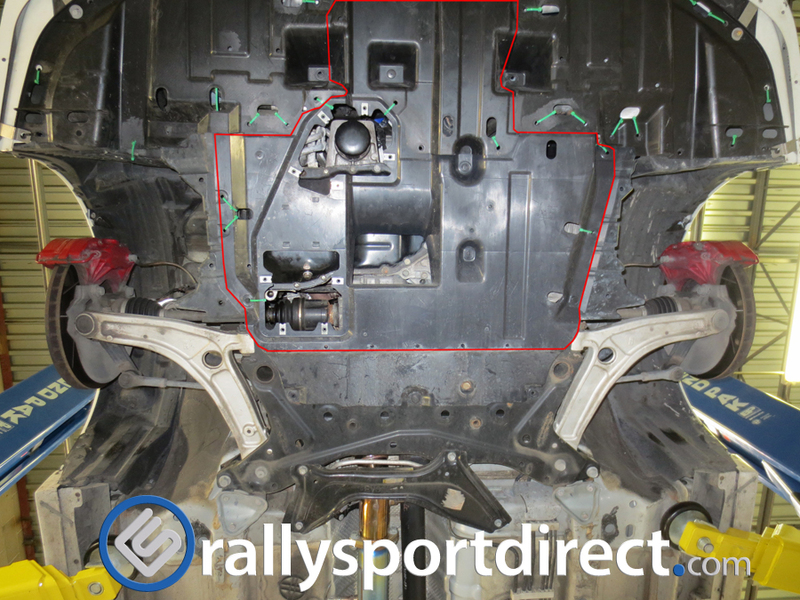 This part is a little tricky because there is little space to work in. 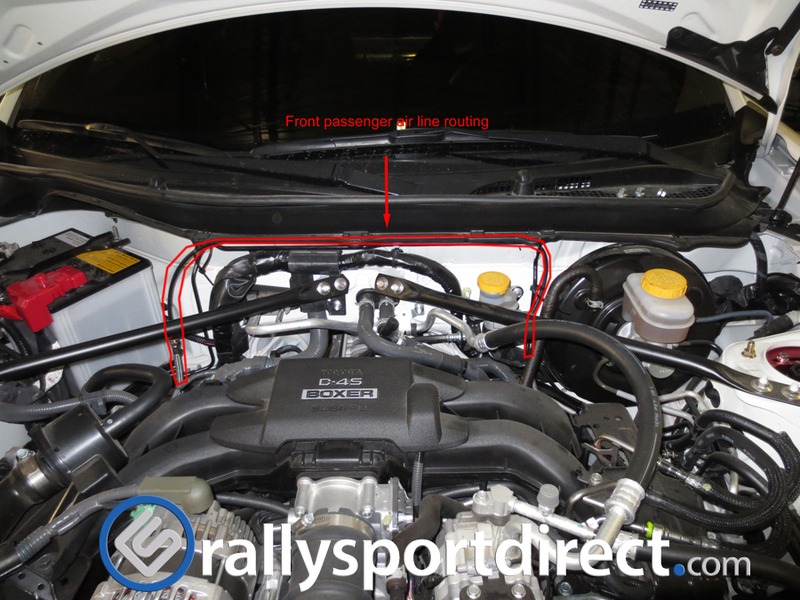 Go ahead and remove your factory intercooler by removing the 3 12mm nuts holding it down as well as loosening the 2 hose clamps, one on the inlet side and one on the outlet. 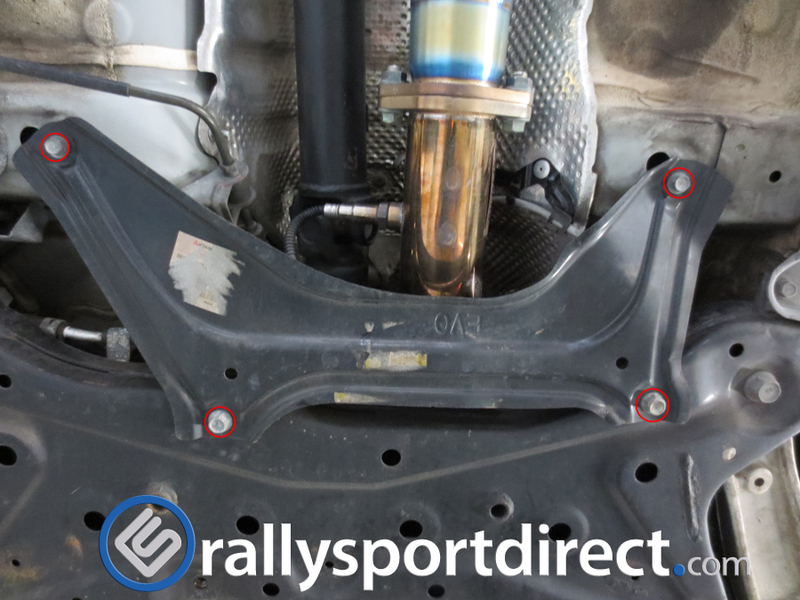 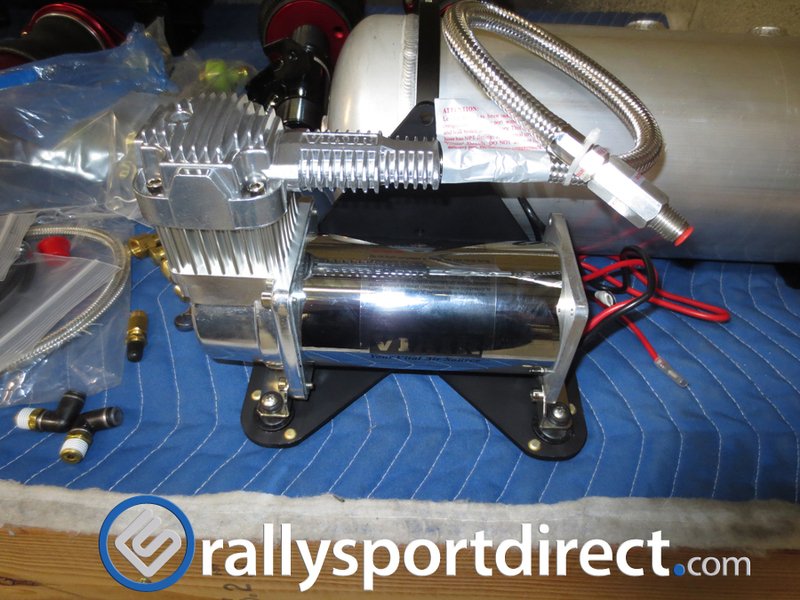 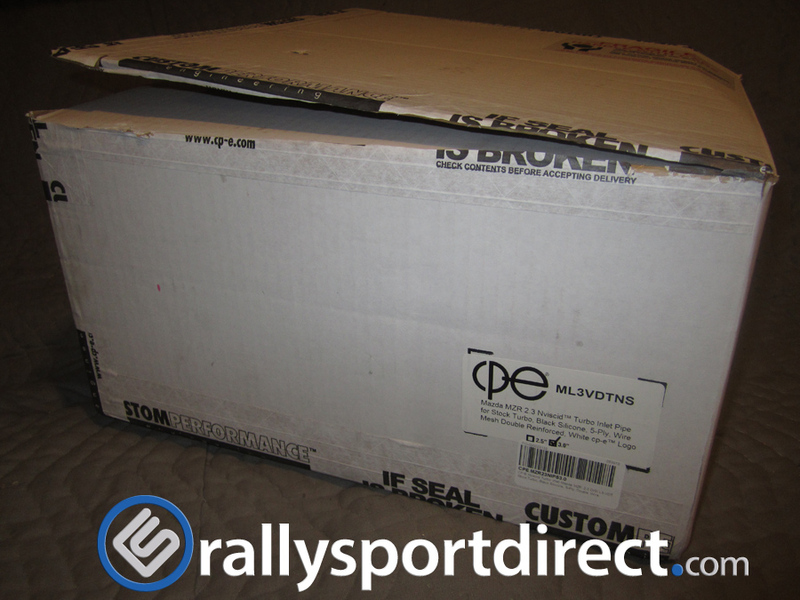 This will give you more room to work with when removing the factory inlet and installing the new one. 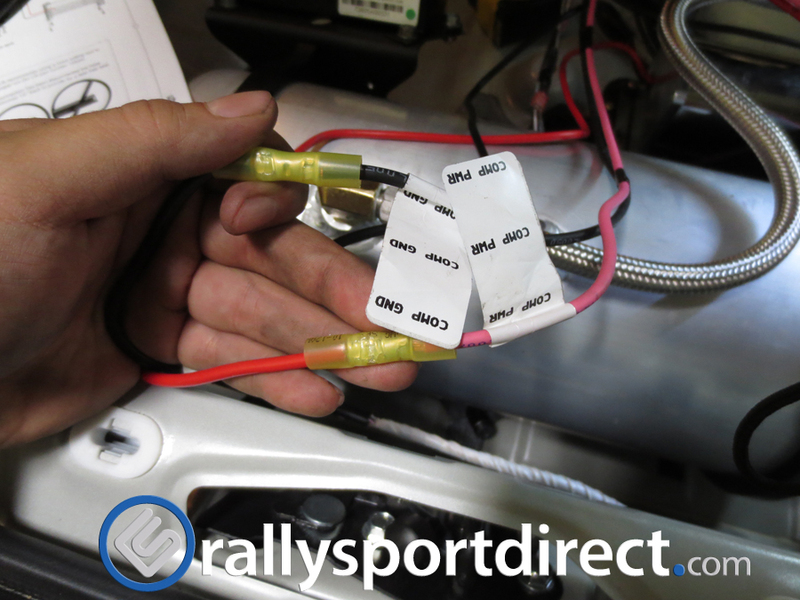 This part is a little tricky because there is little space to work in. 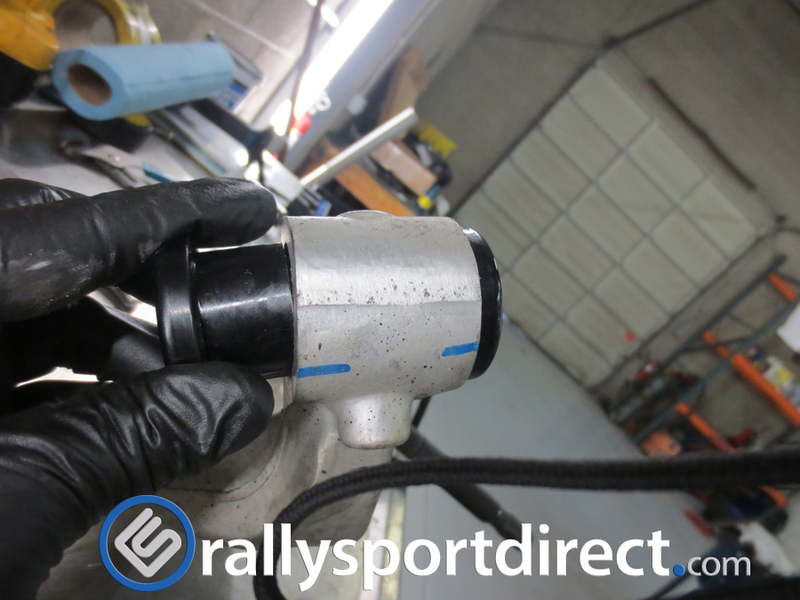 You are going to remove the vacuum line from the turbo inlet to the solenoid as well as unscrew the worm clamp holding the turbo inlet hose to the turbo inlet. 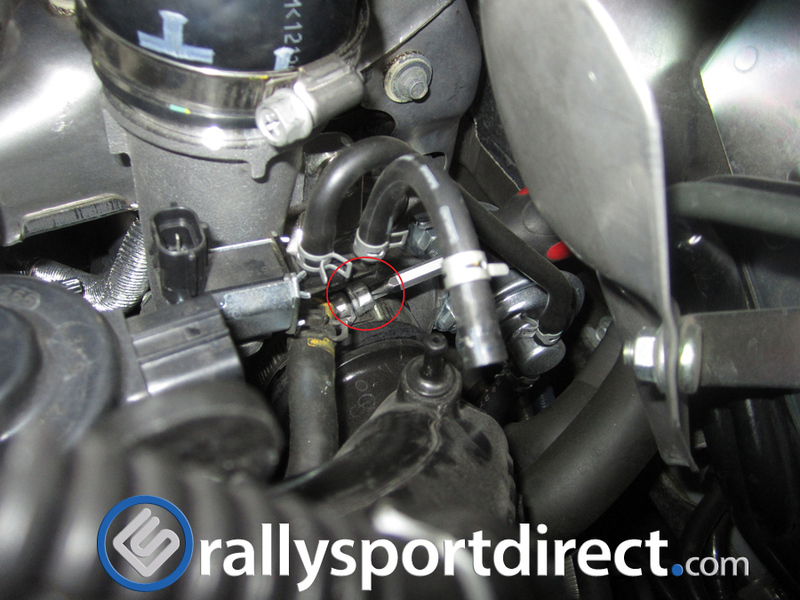 I used a pair of needle nose pliers on the small clamps and stubby phillips to loose the hose clamp. 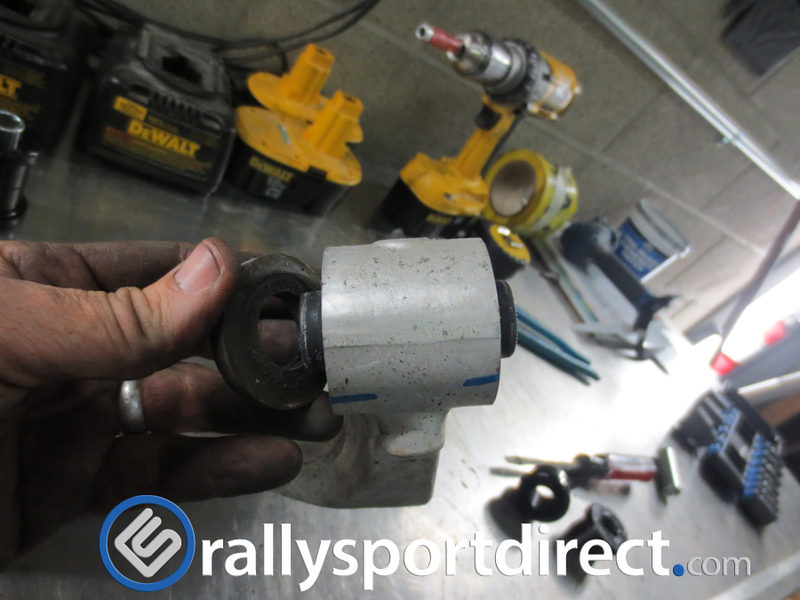 Factory turbo inlet hose removed exposing this tiny turbo. 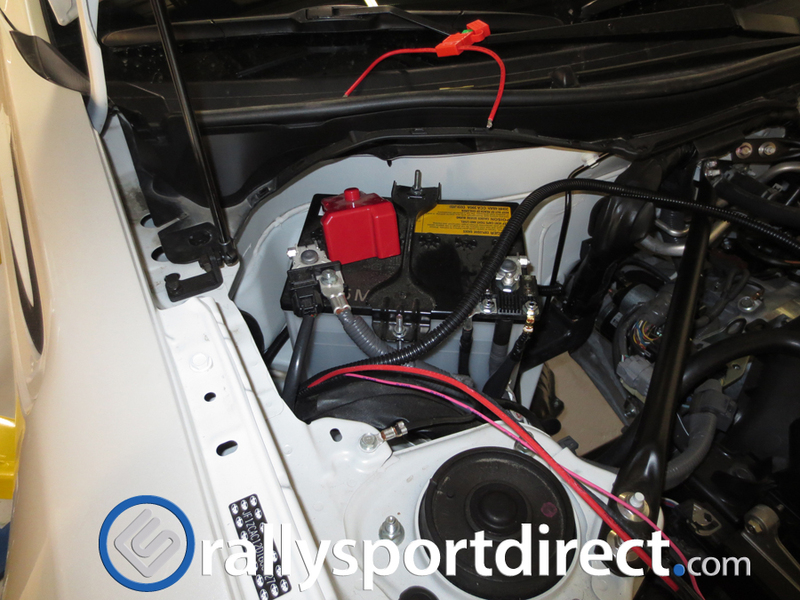 Everything has been removed that needs to be in order to install the new inlet. 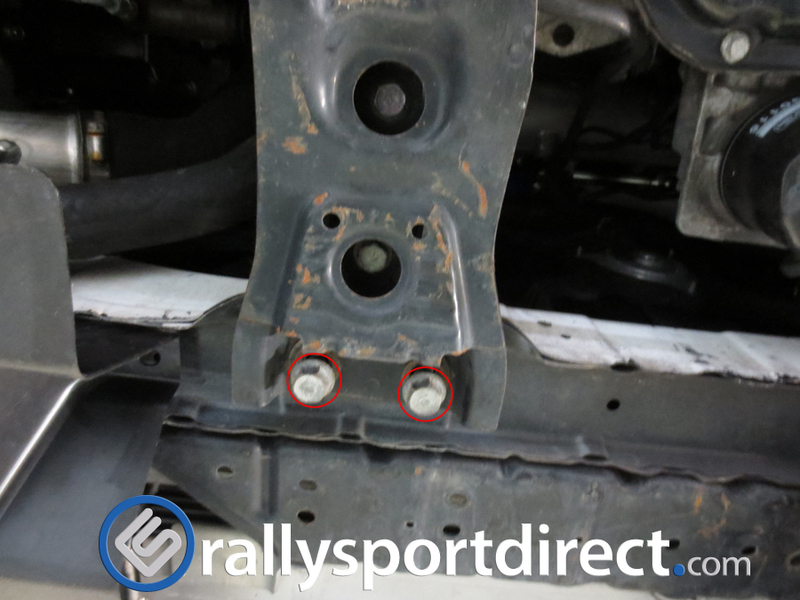 This shows how pinner the factory inlet is compared to CP-E’s. 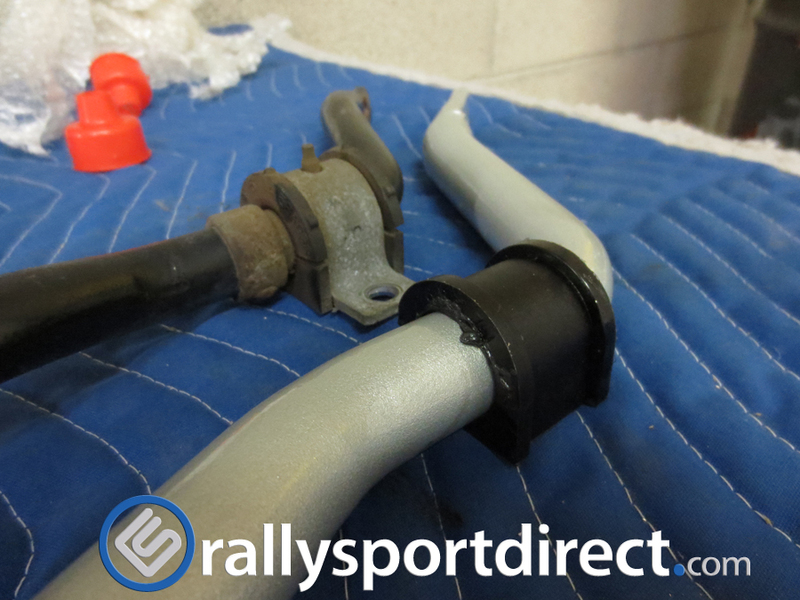 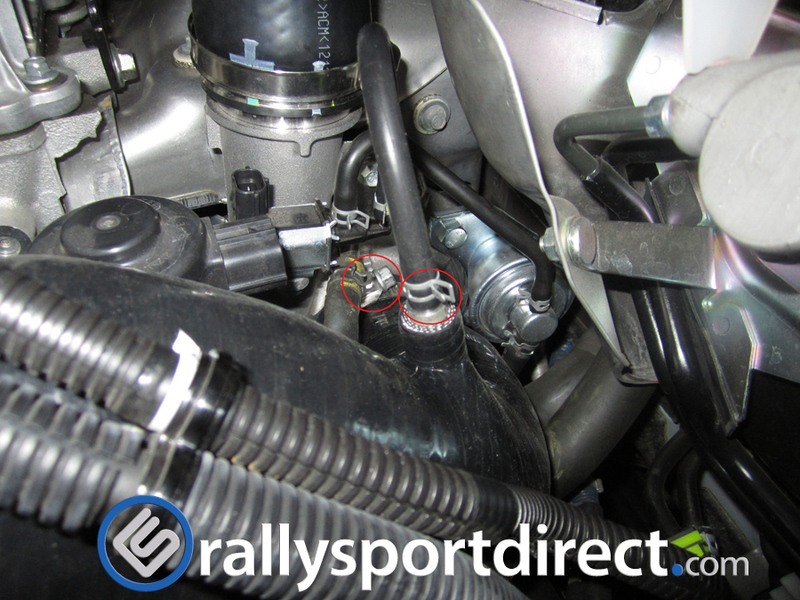 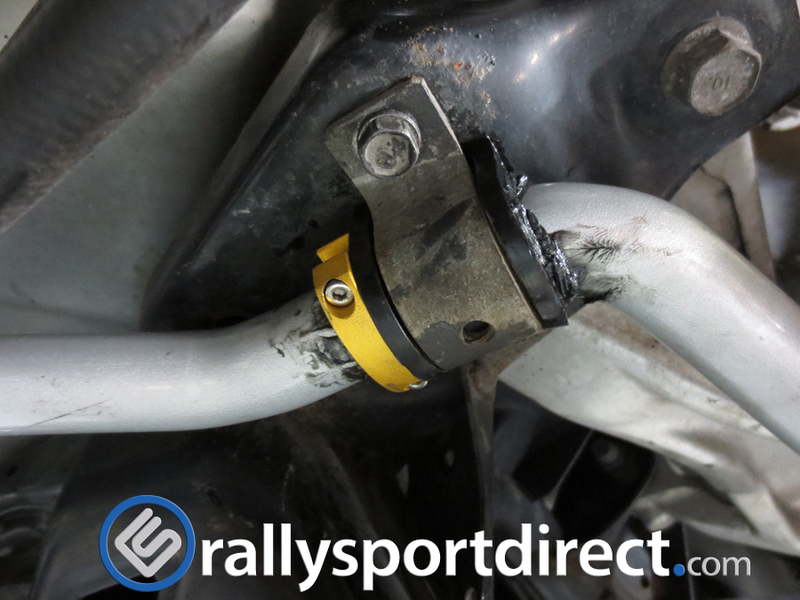 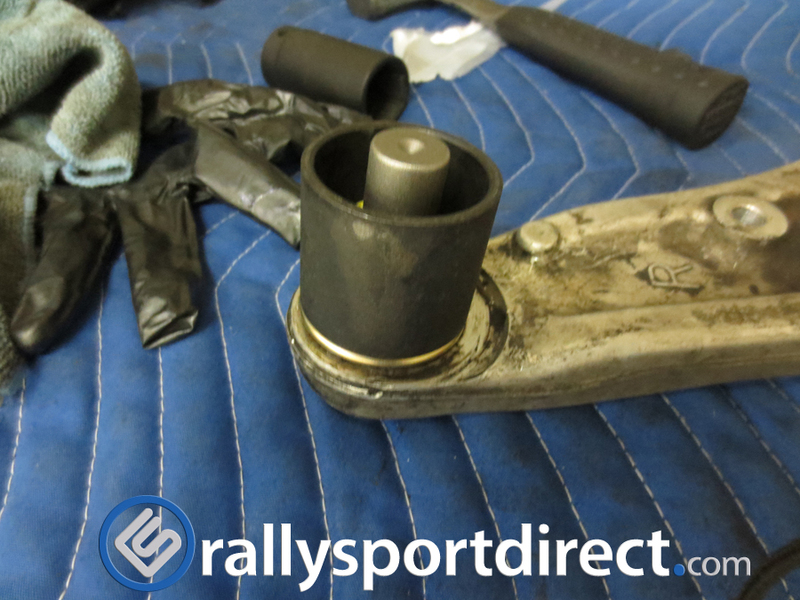 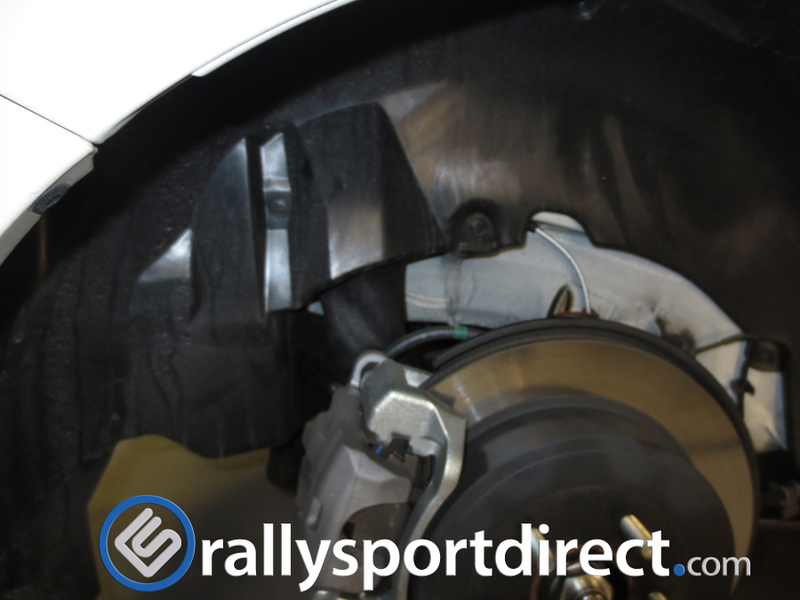 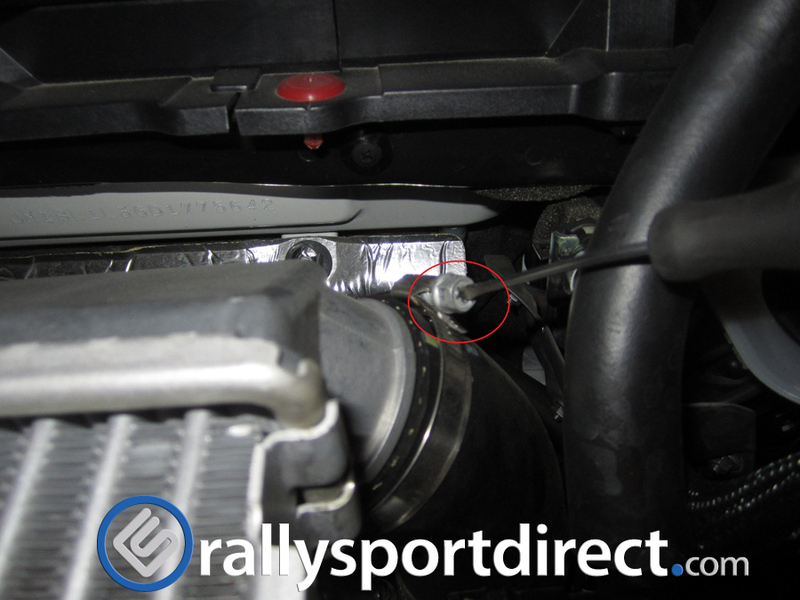 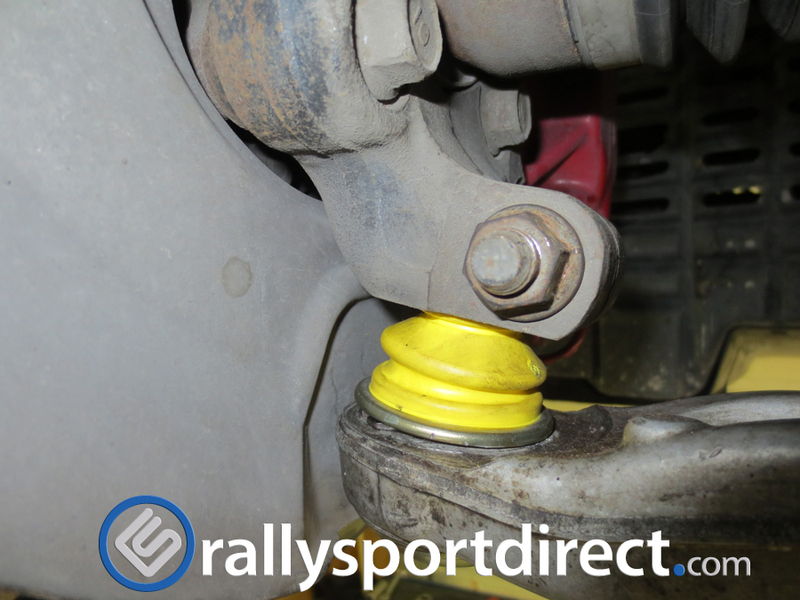 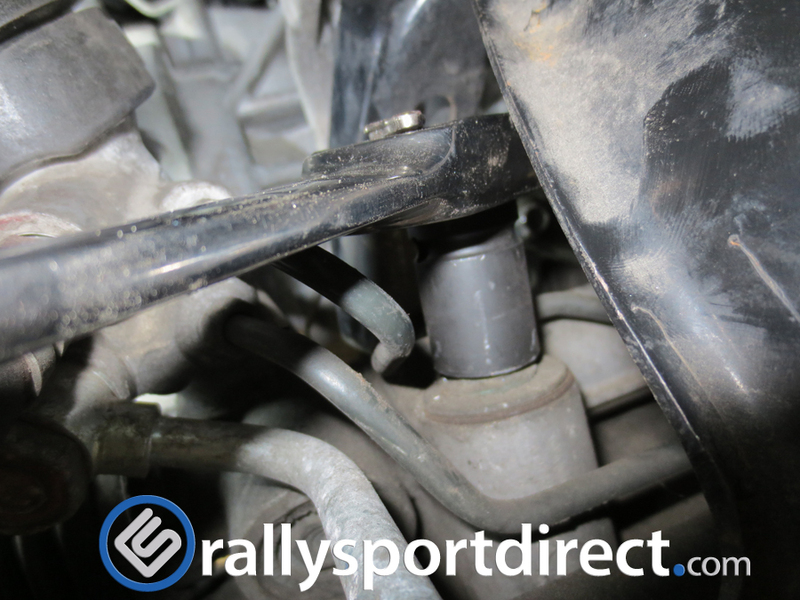 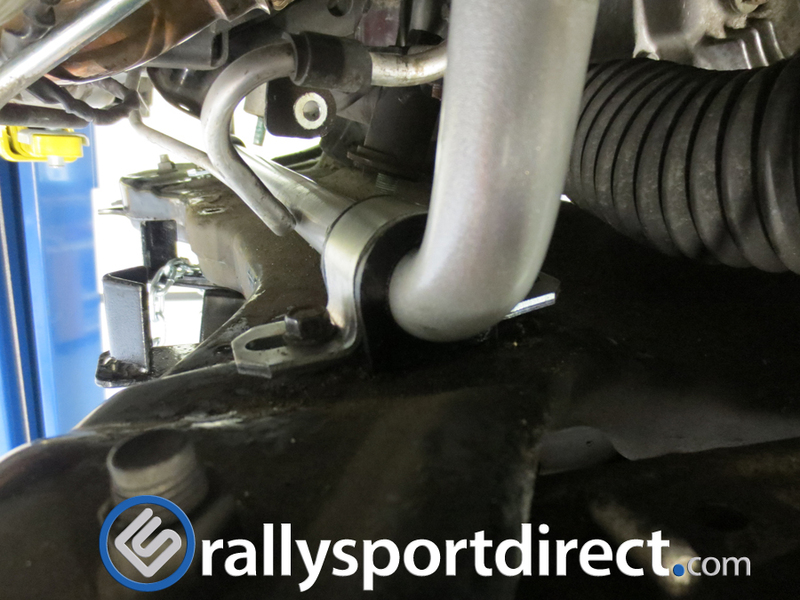 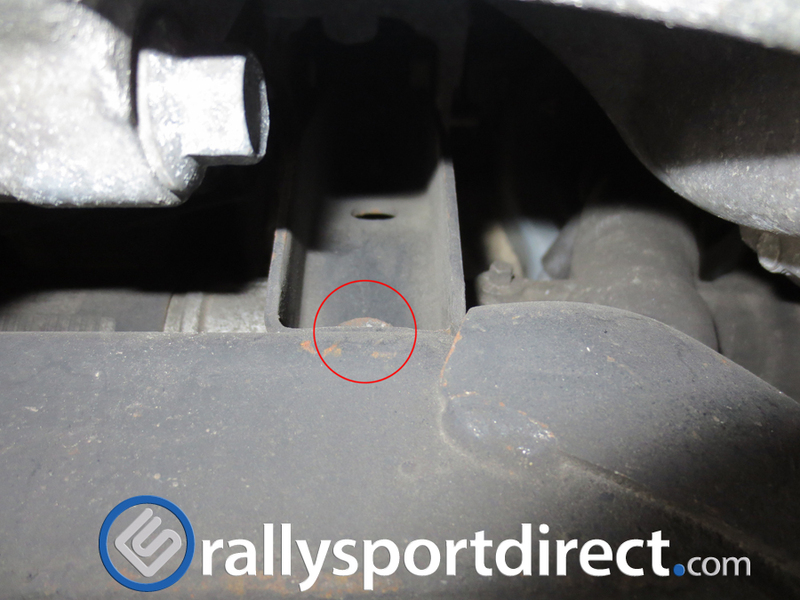 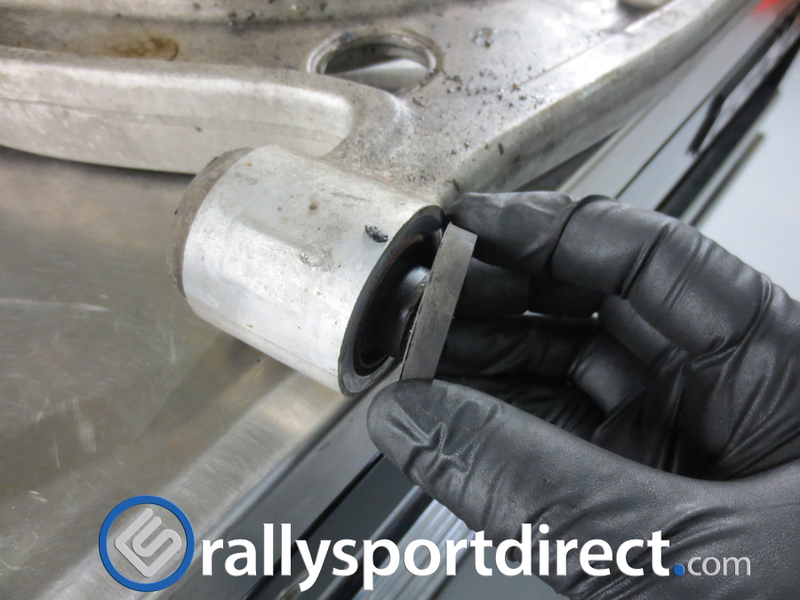 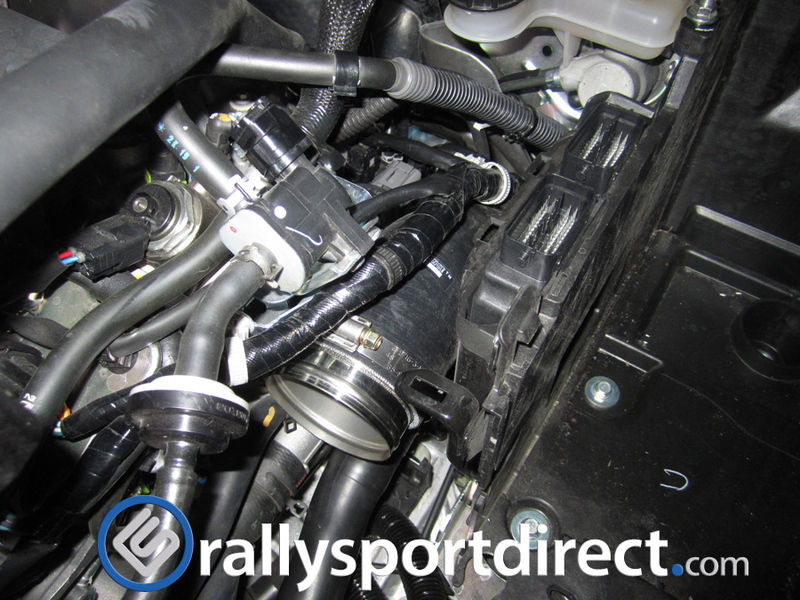 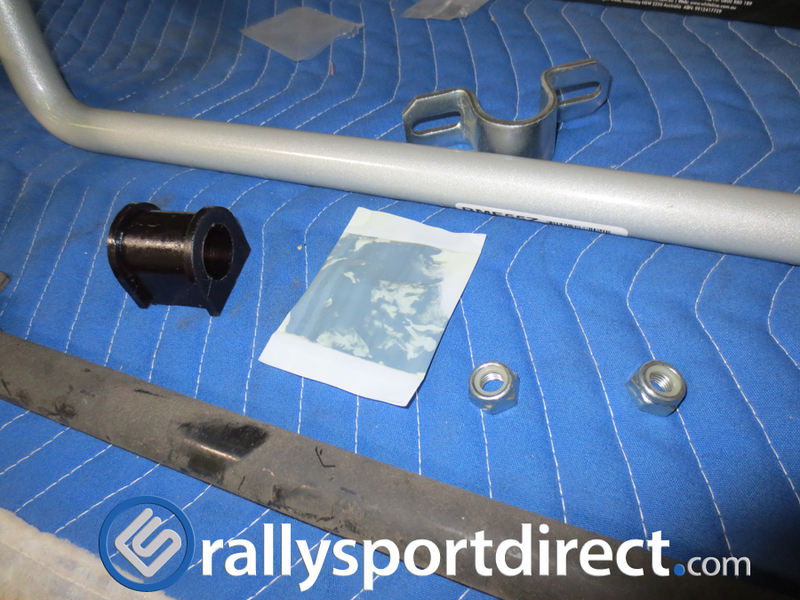 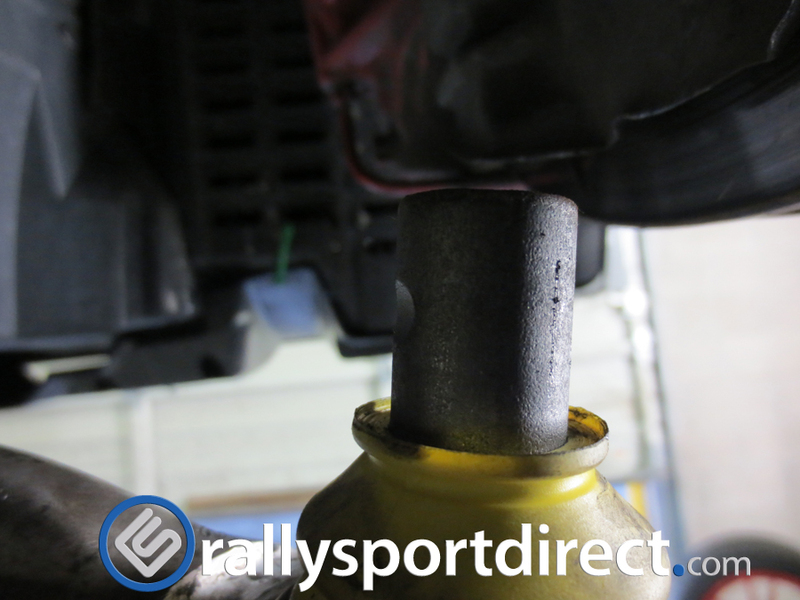 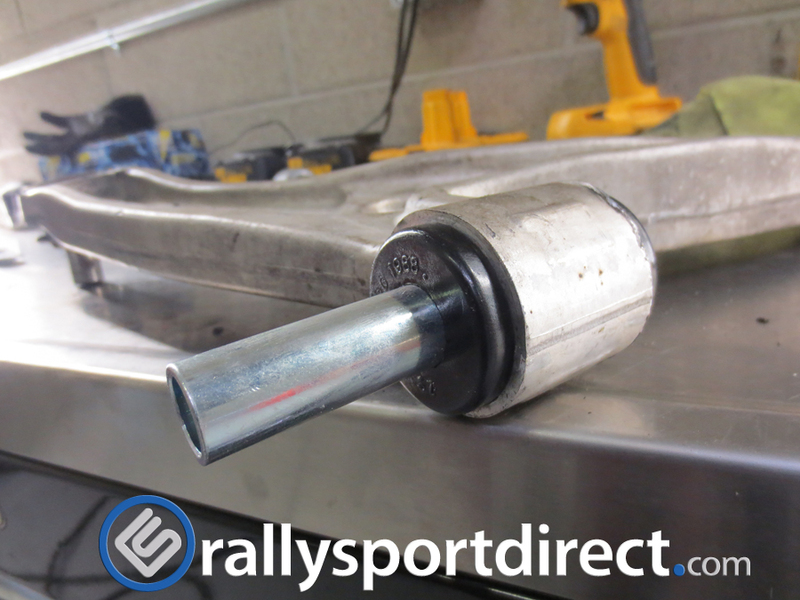 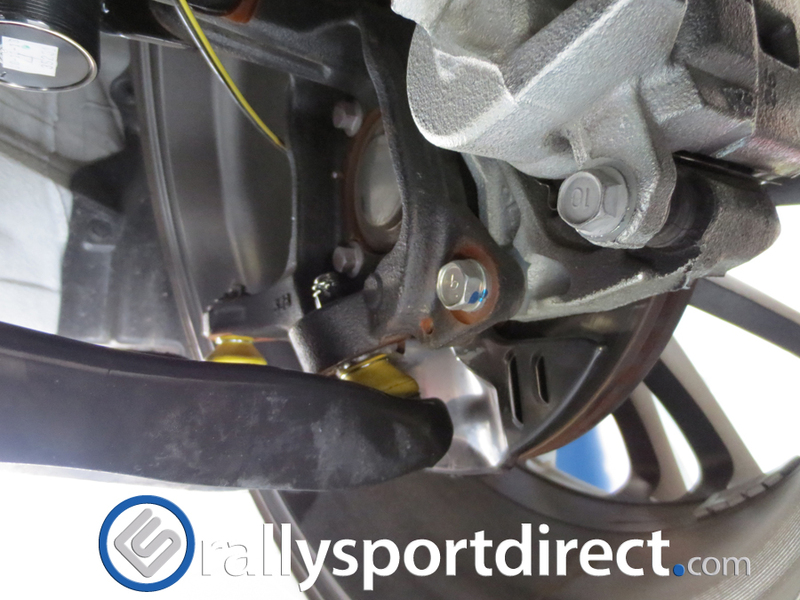 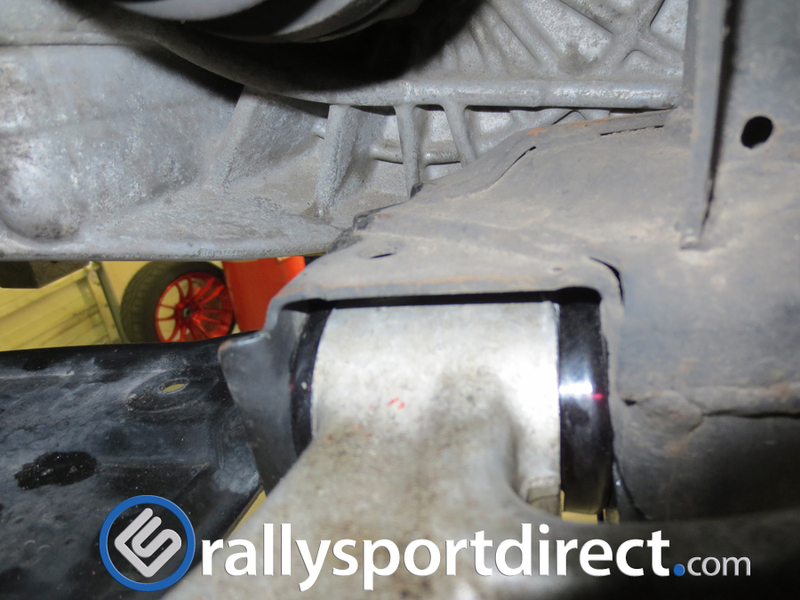 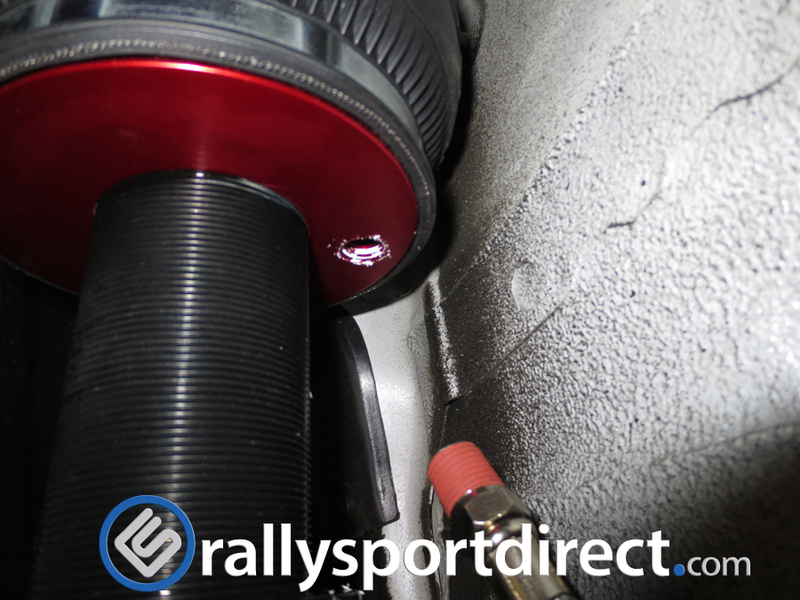 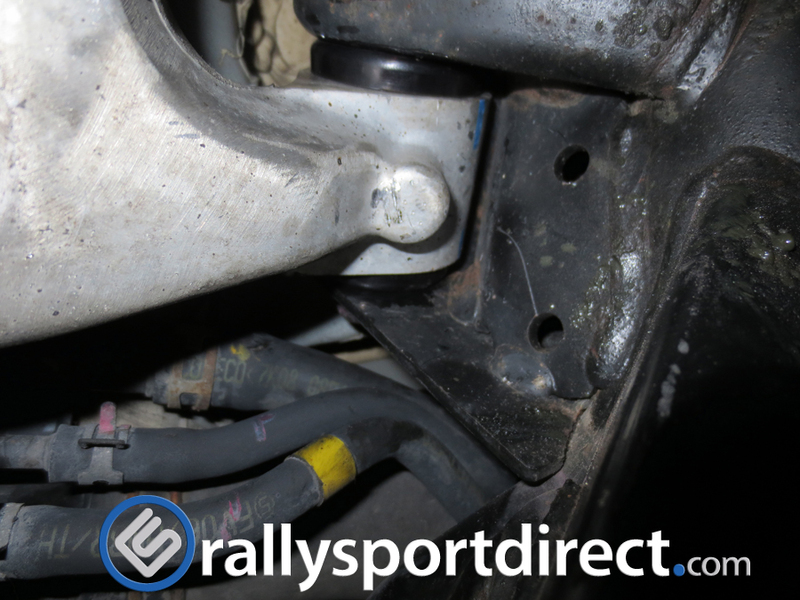 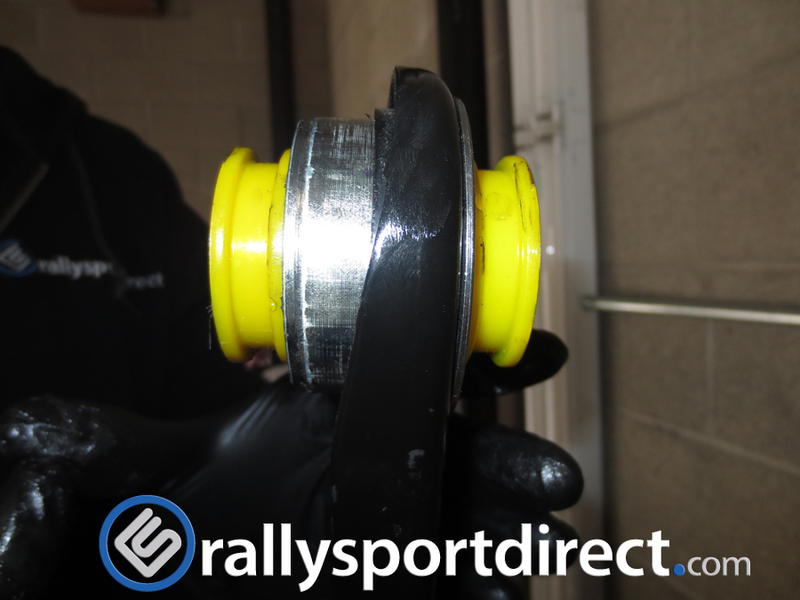 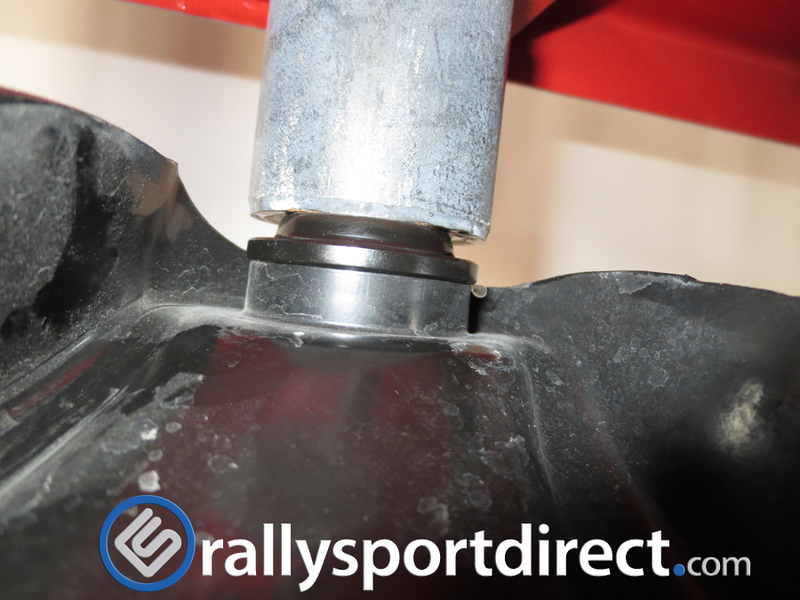 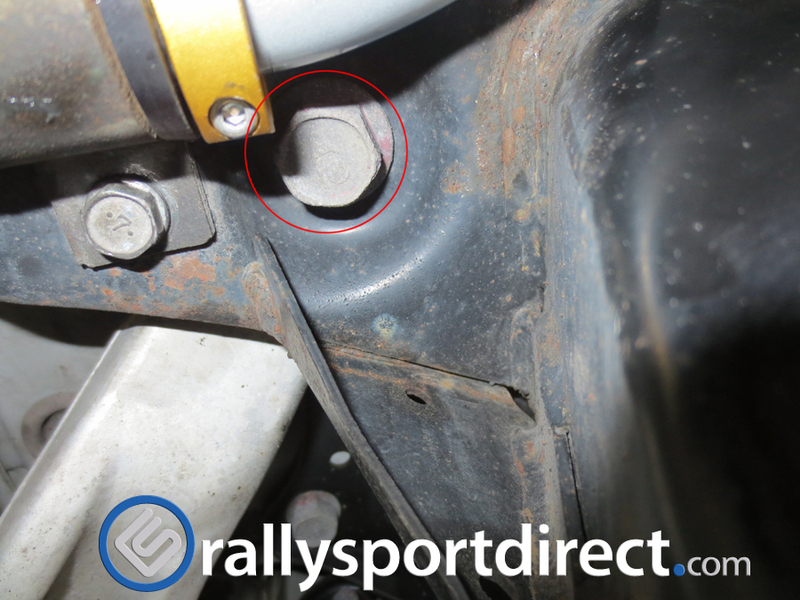 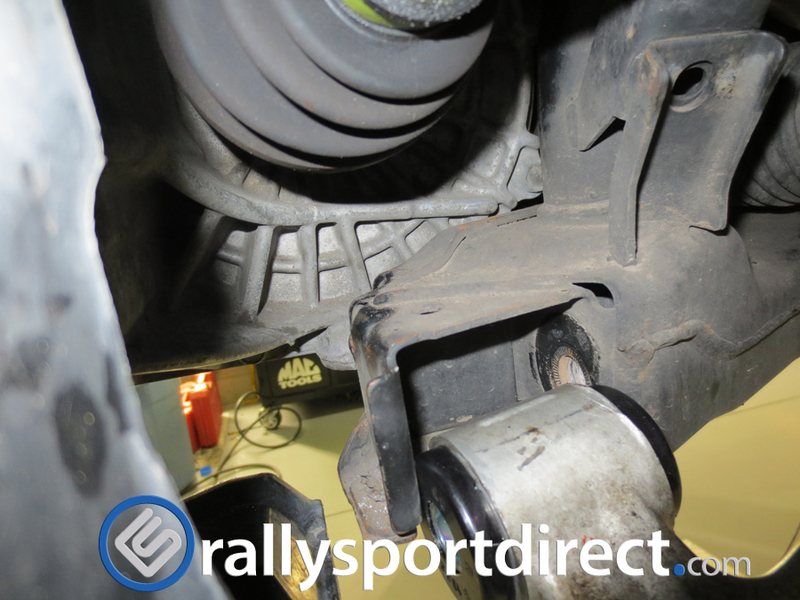 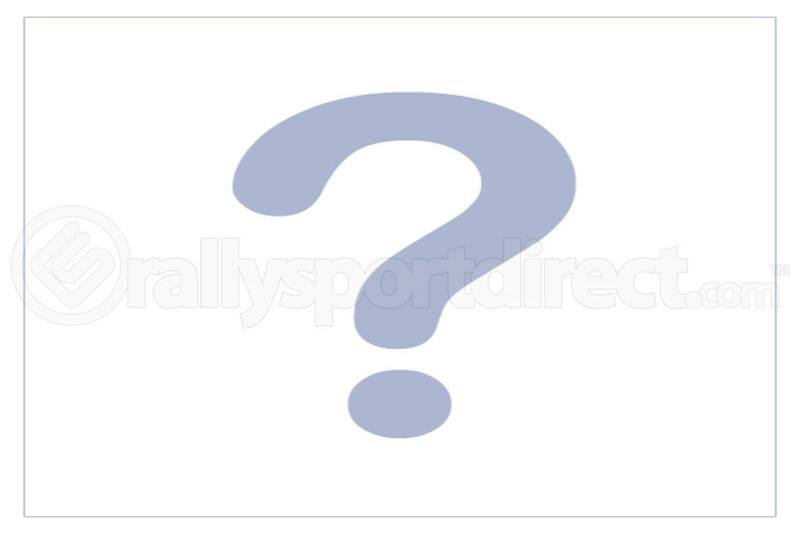 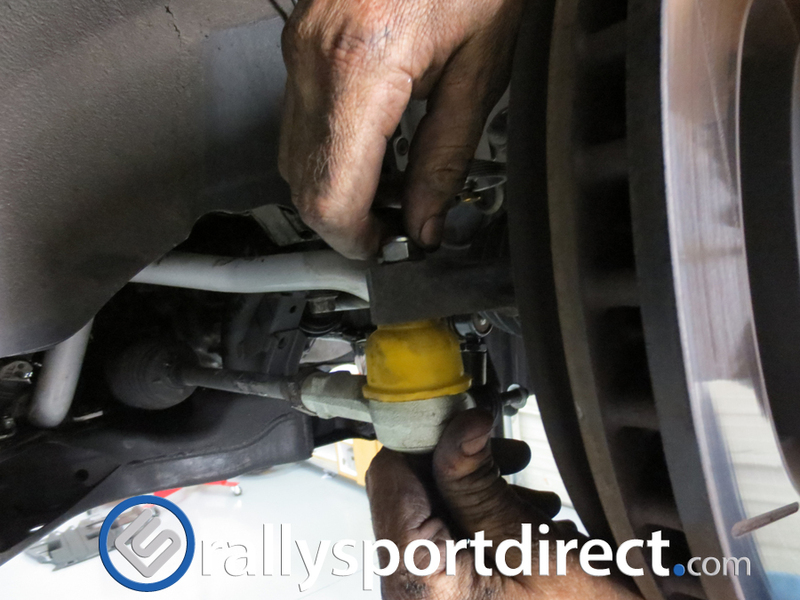 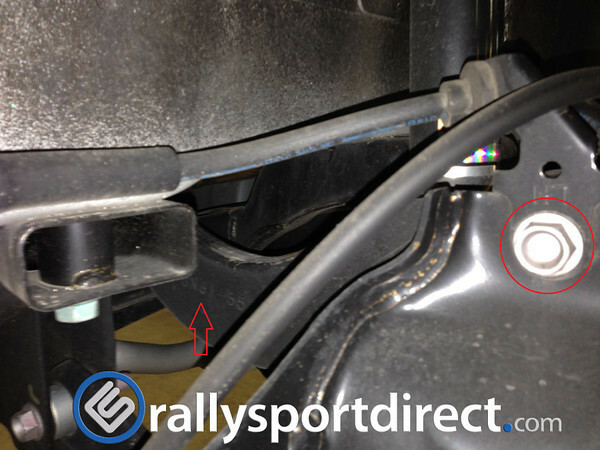 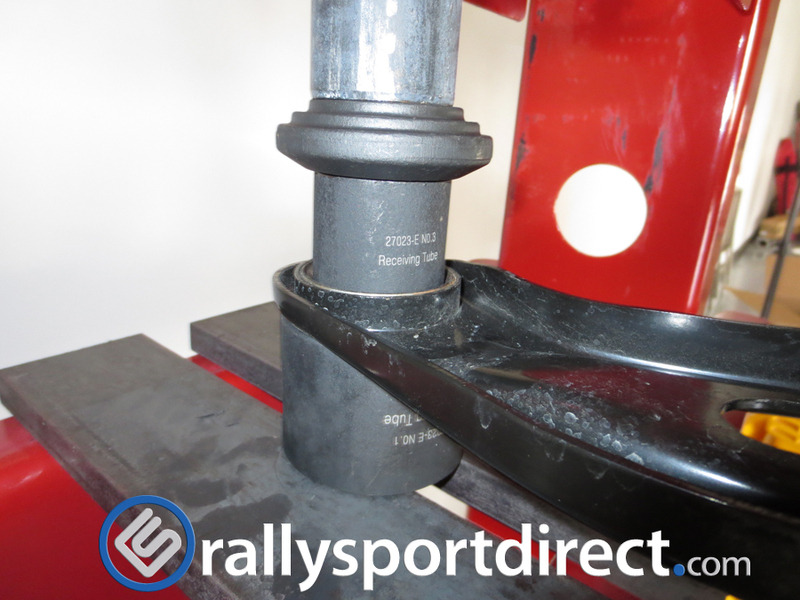 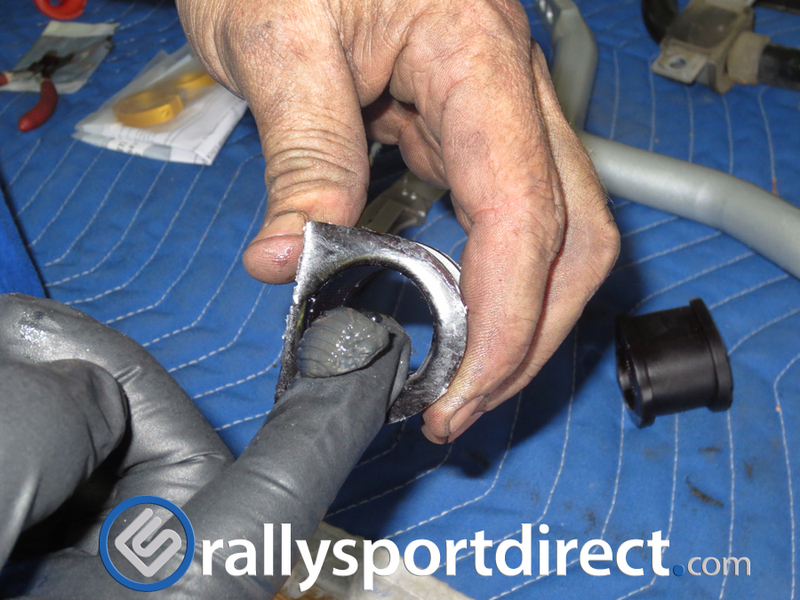 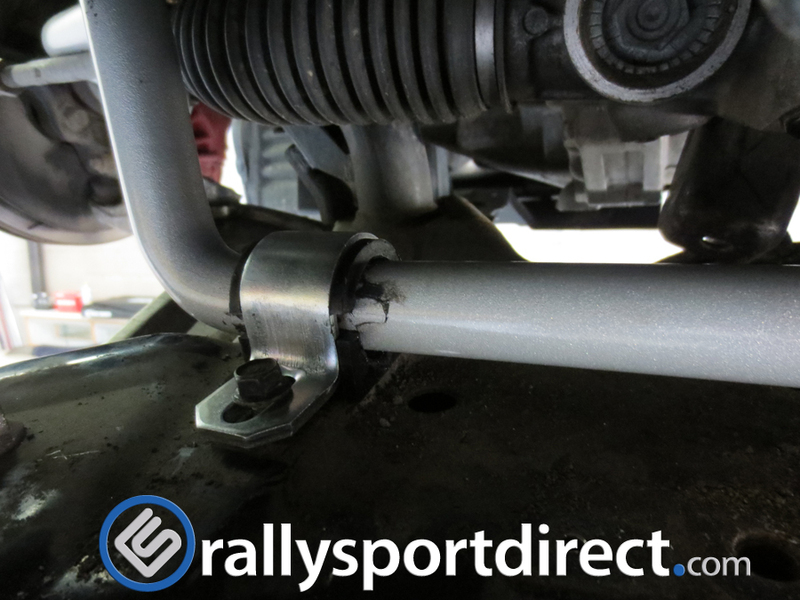 You will need to remove the rubber bushing from the factory inlet for use on your new one. 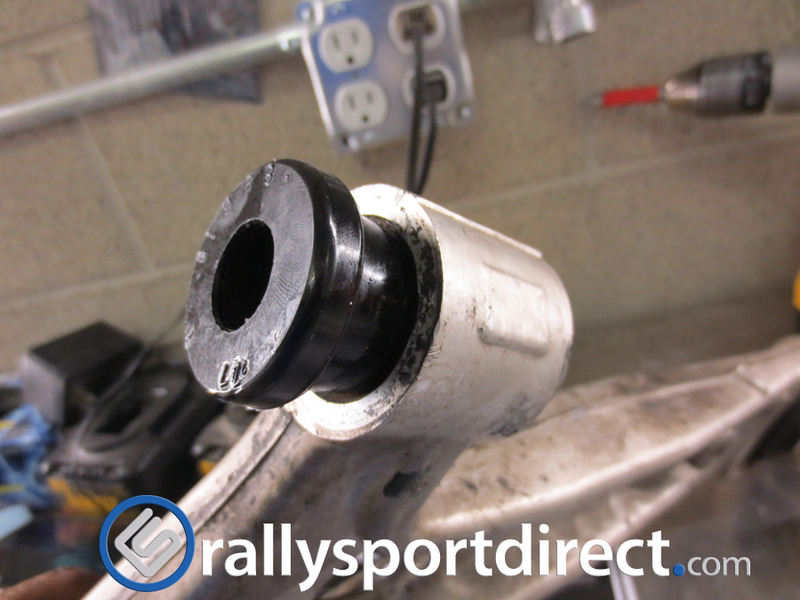 Remove the metal sleeve from the middle of the bushing and install onto your CP-E inlet. 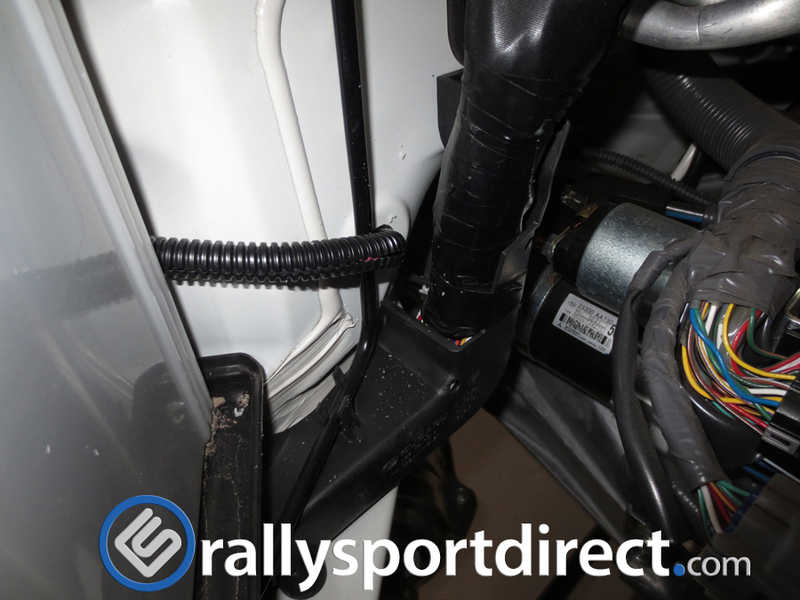 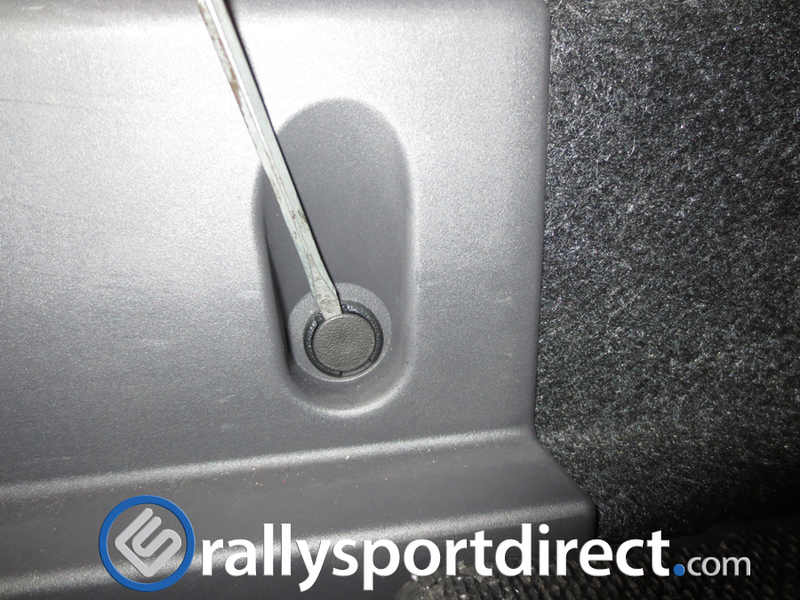 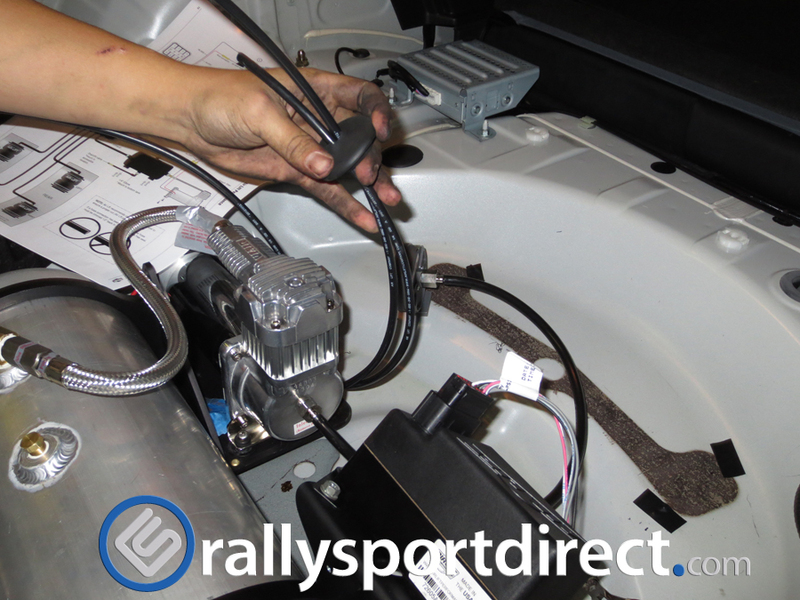 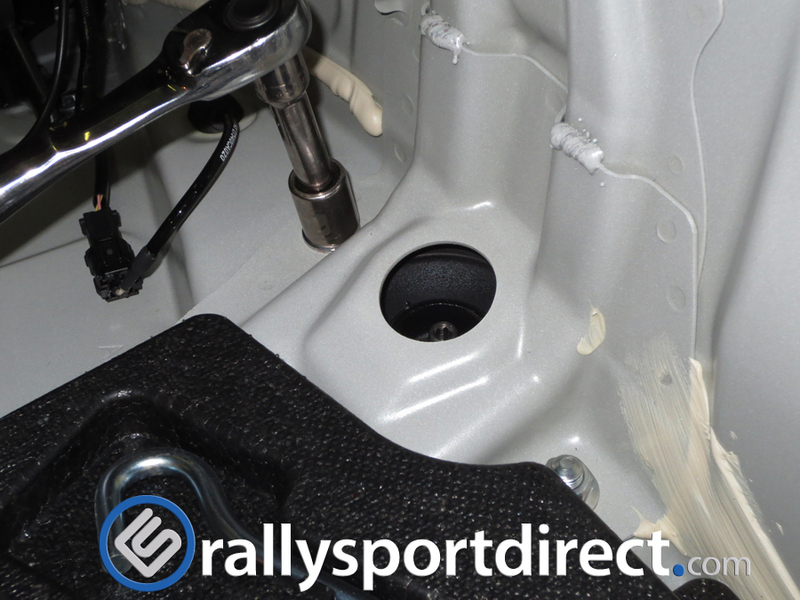 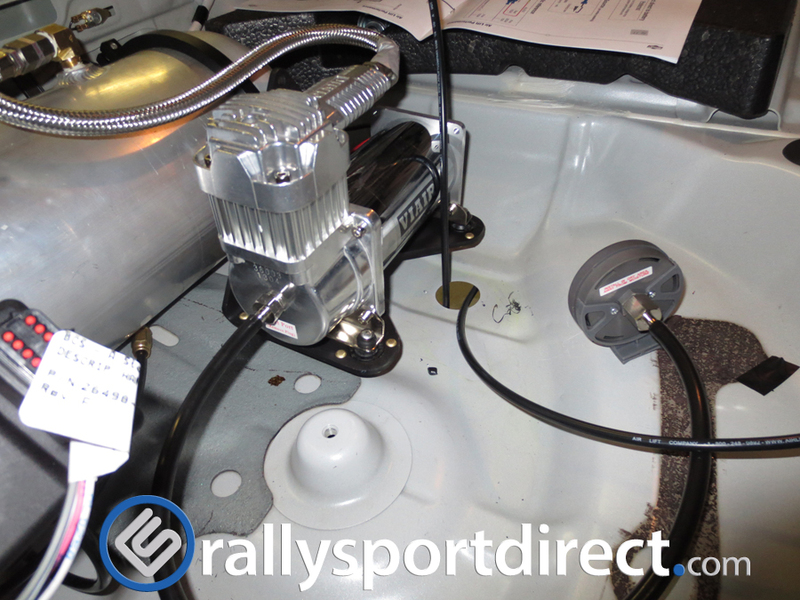 Install the metal tab on your inlet onto the factory stud and install the washer and nut. 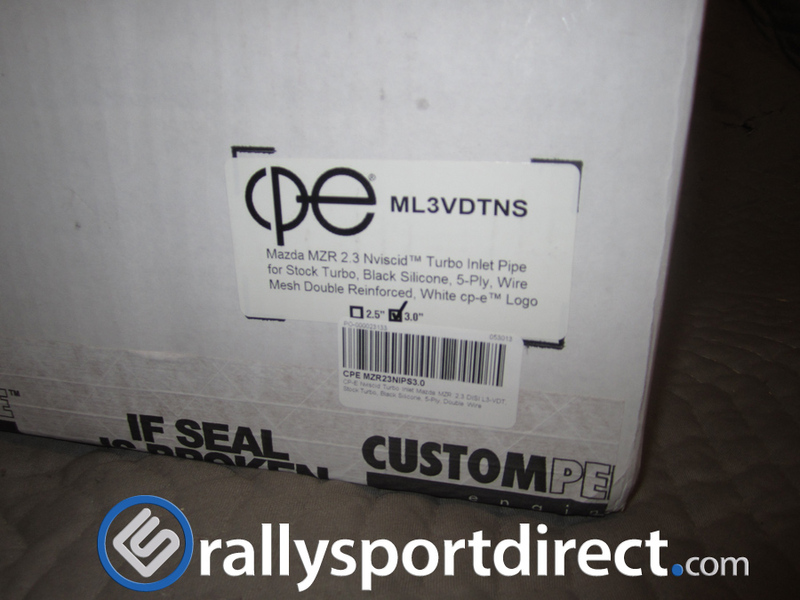 Take the vacuum hose CP-E includes with the inlet and trim it down to the length you want because it is a bit too long out of the box. 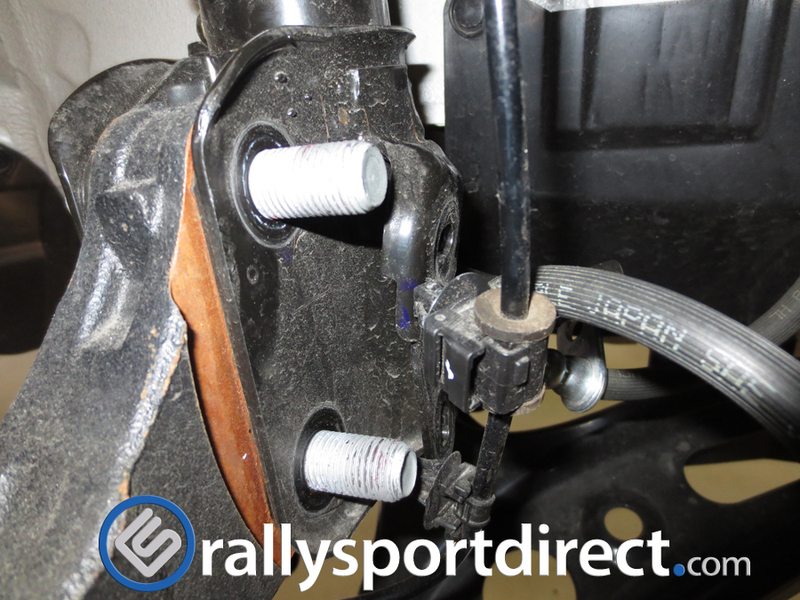 Reinstall with your factory clamps. 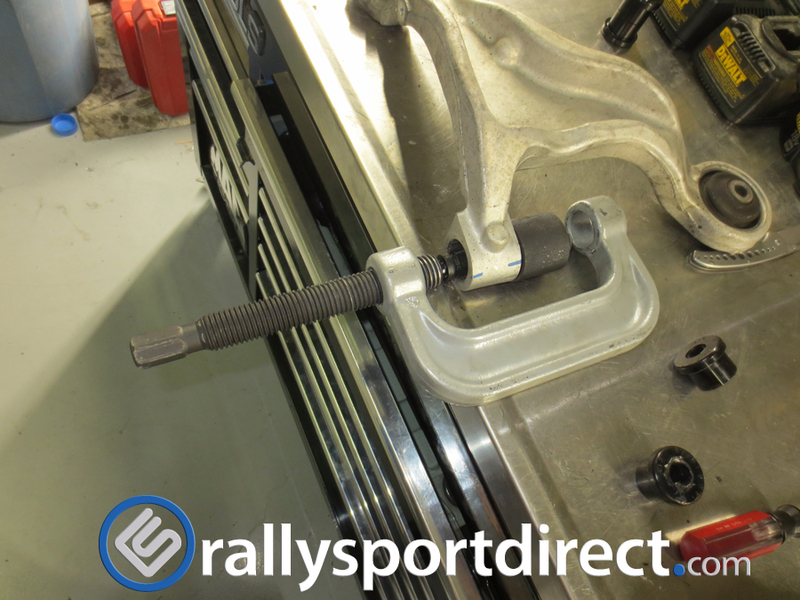 CP-E includes a new clamp for the inlet to the turbo but I opted to reuse the factory one which worked well. 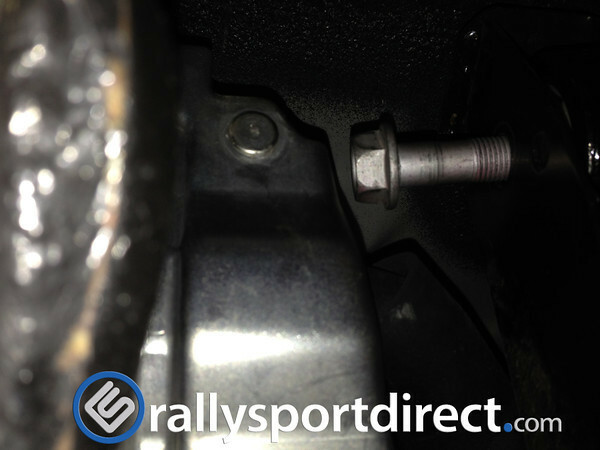 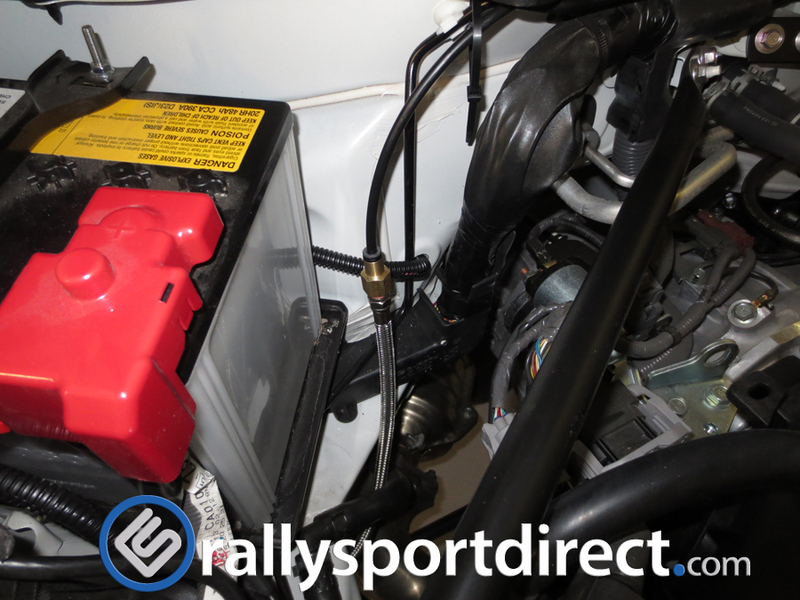 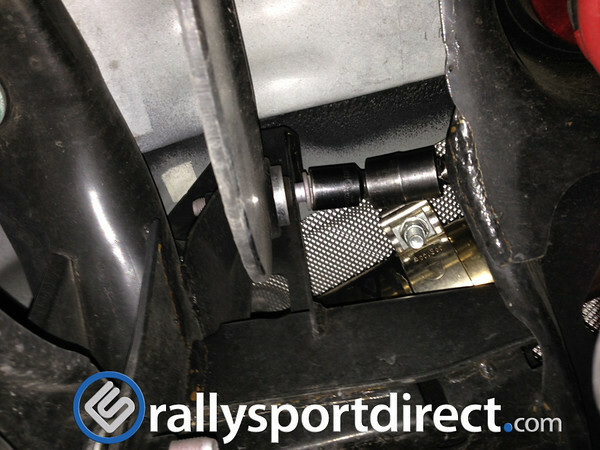 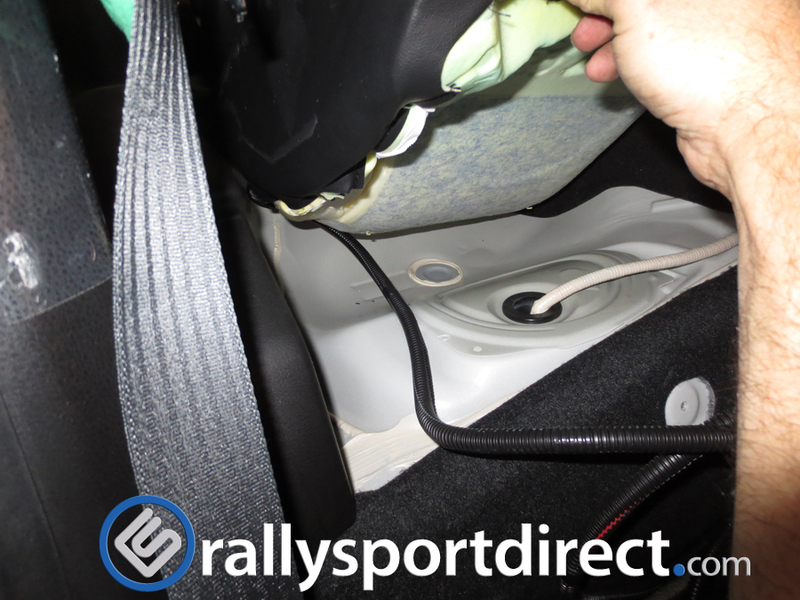 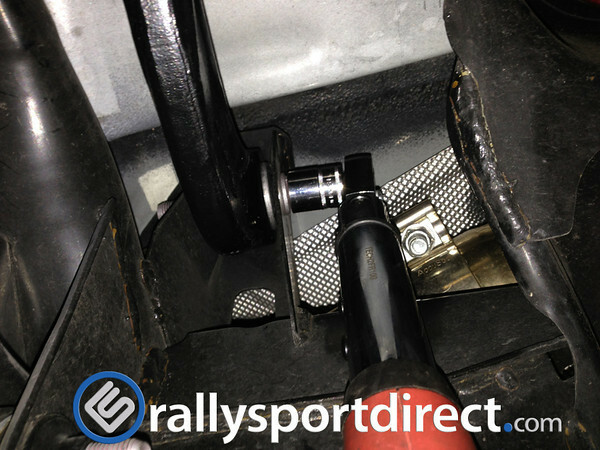 Position the clamps on the inlet appropriately so that you can access the screw on them and also keeping everything away from the engine harness so no damage occurs over time. 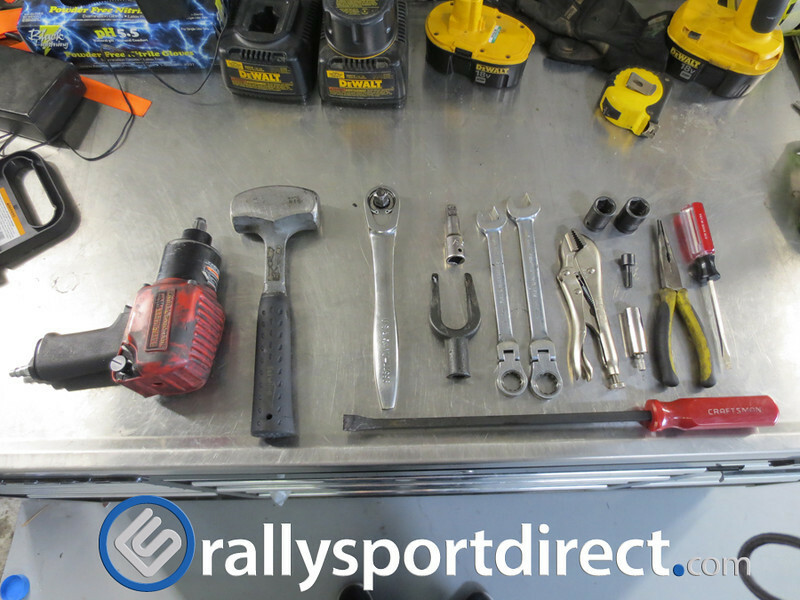 Go ahead and start putting everything back in the way you removed it and you are almost done. 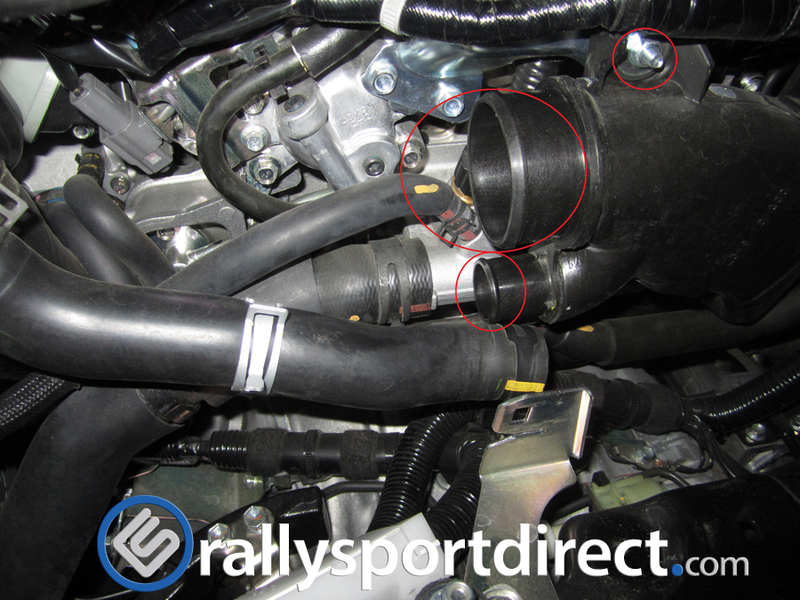 (Don’t mind the filter in these pictures it was a temporary unit until I was able to obtain the oil kit for the CP-E intake). 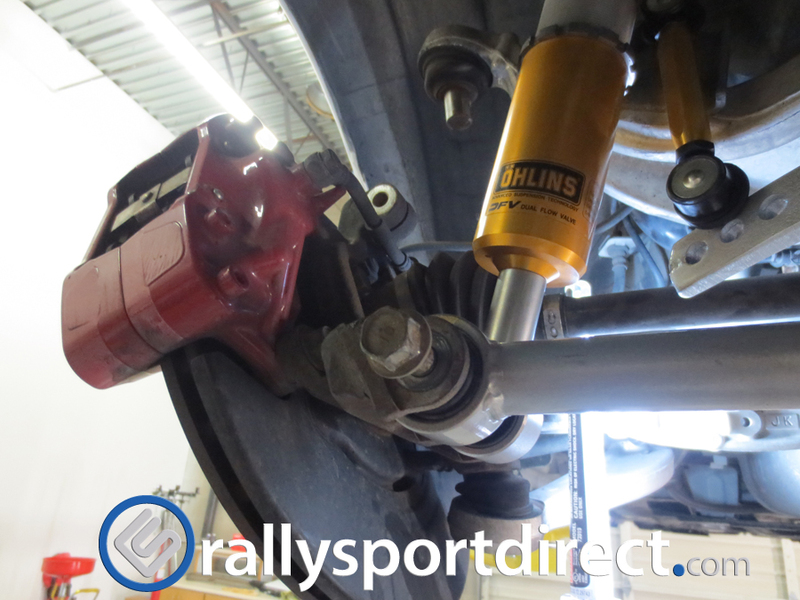 Location: ZipTie Dynoworks, Salt Lake City Utah. 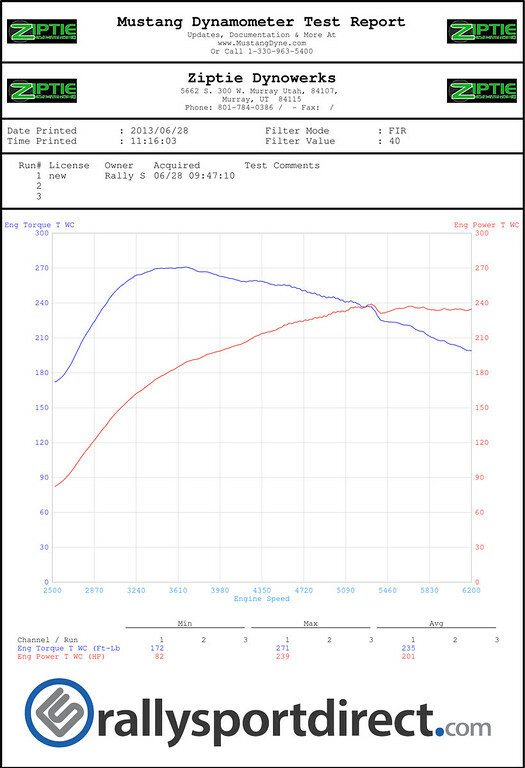 Unfortunately we didn’t see the gains we were expecting. 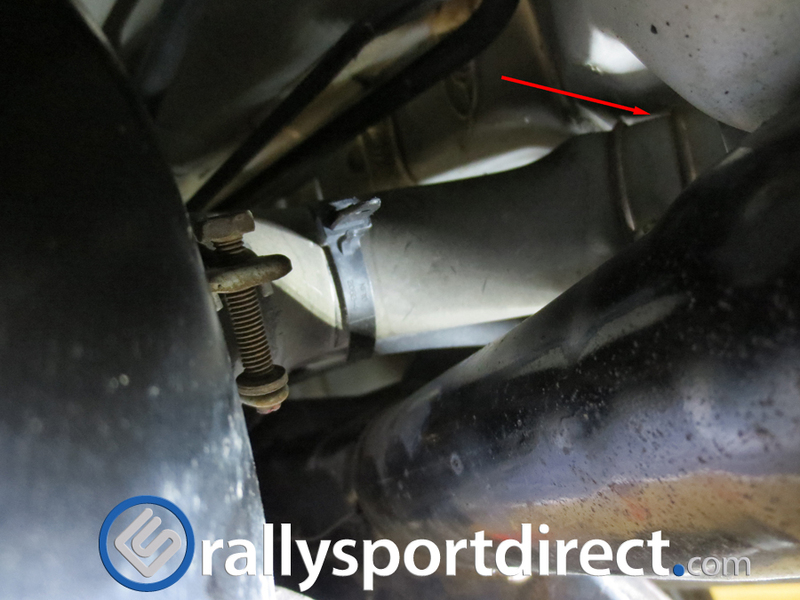 I believe in part due to the temperature being very hot compared to the dyno prior and the facility did not have the proper amount of ventilation. 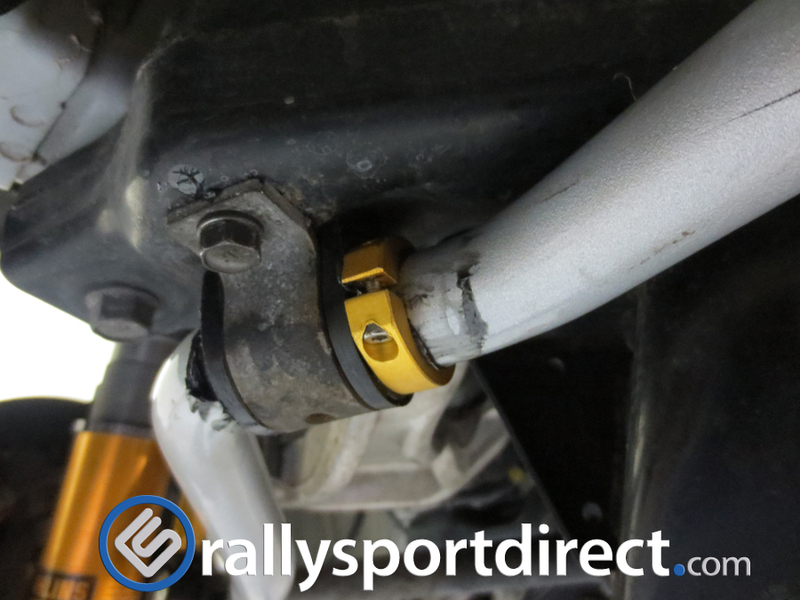 This inlet is still a very highly recommended upgrade and I suggest everyone to put this on their mod list.